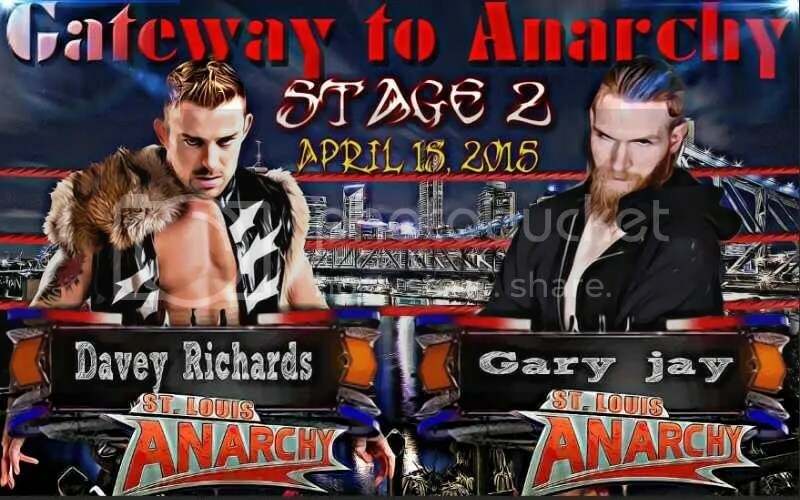 Five years ago Kansas City was virtually a ghost town for pro wrestling. 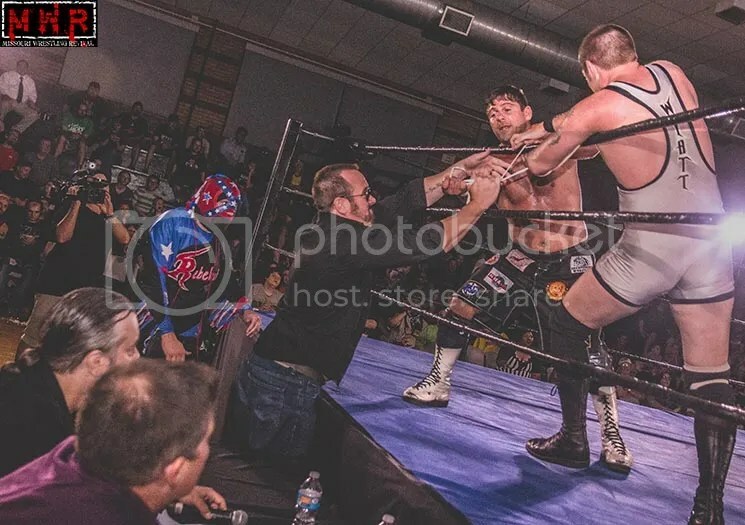 Thanks to the hard work, dedication and professionalism of Chris Gough pro wrestling would not only return, but earn a reputation as one of the most respected Independent promotions in the country by fans and wrestlers alike. 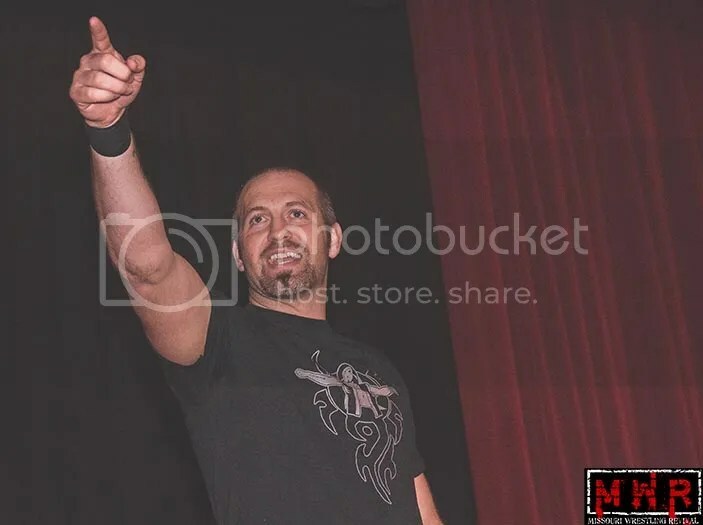 Chris Gough’s road to reviving pro wrestling in the Midwest started off as a graduate at the University of Missouri that opened the road for a job at the top as a writer for the WWE during the beloved Attitude era. 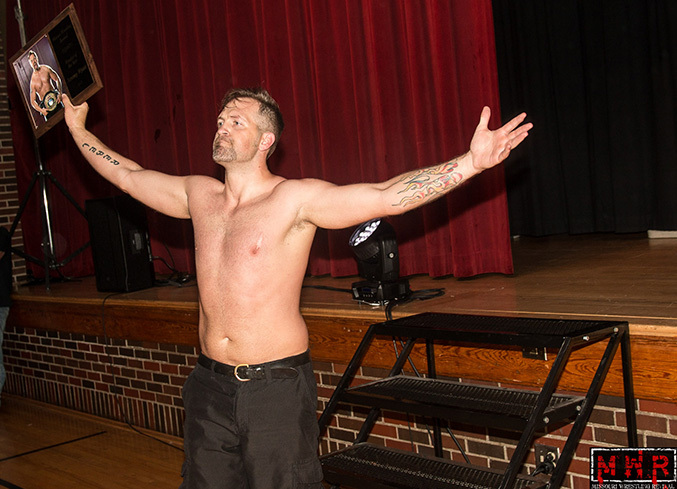 Gough would return home in the Kansas City area to start a new life in the world of pro wrestling as a promoter, under the banner of Metro Pro Wrestling with a TV taping at the historic Memorial Hall on June 5, 2010. 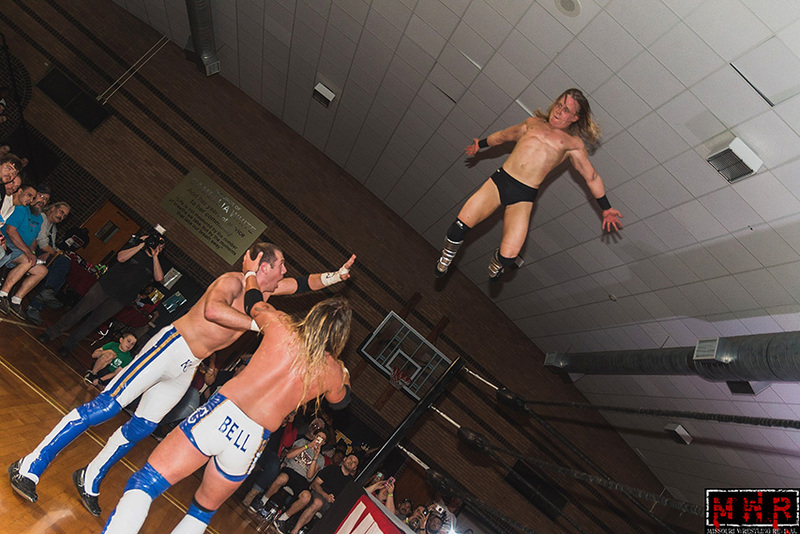 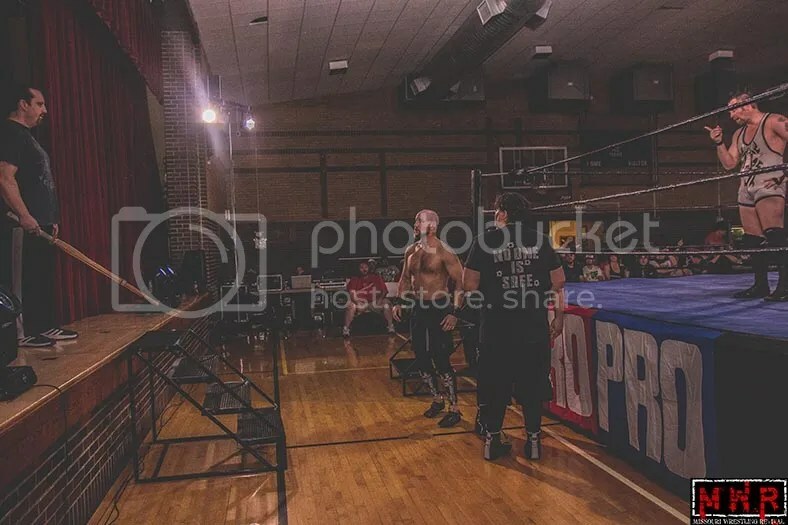 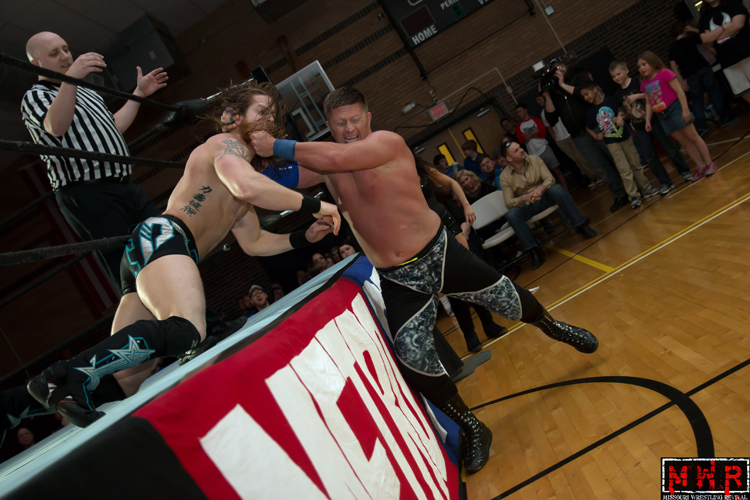 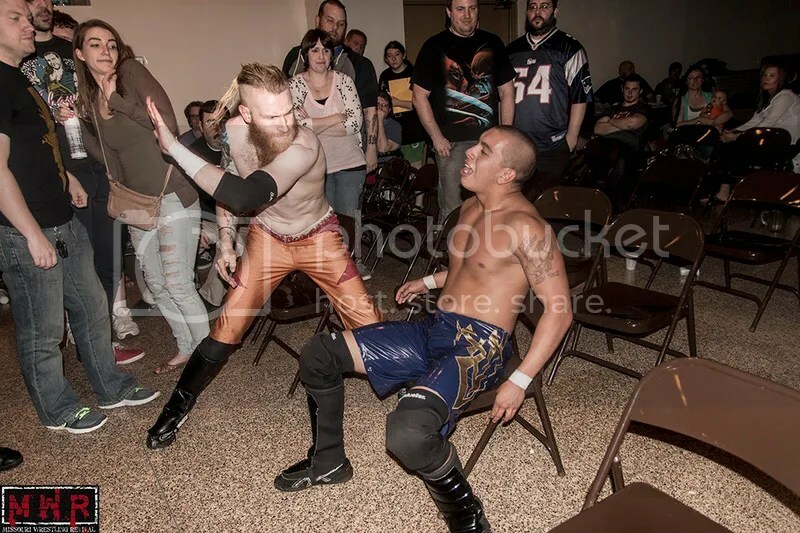 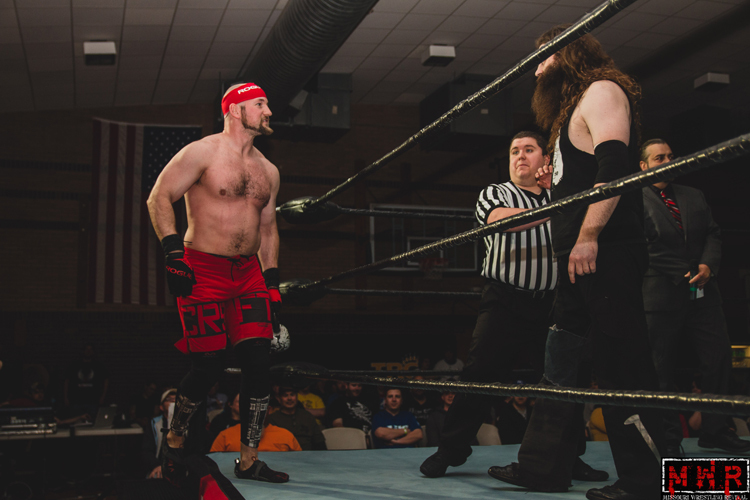 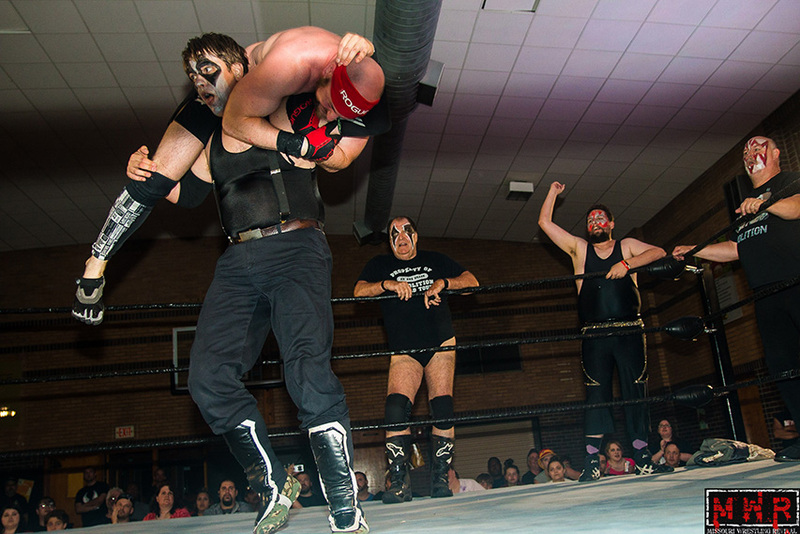 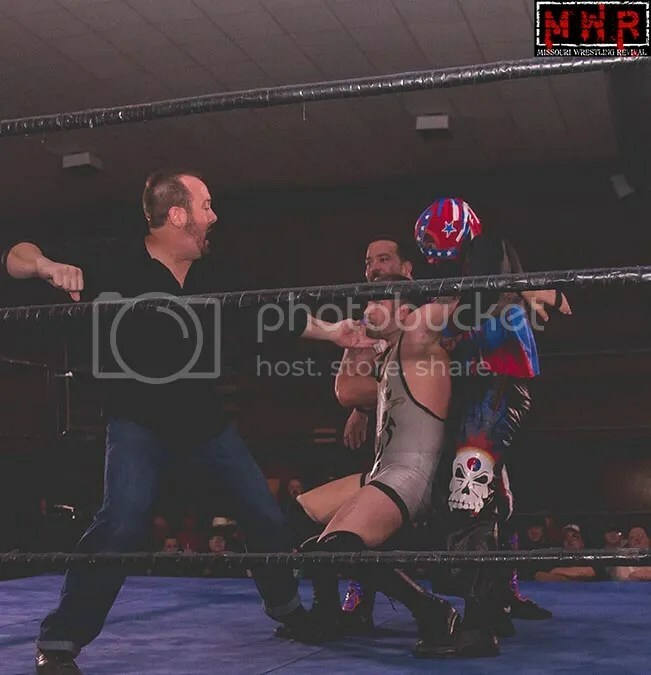 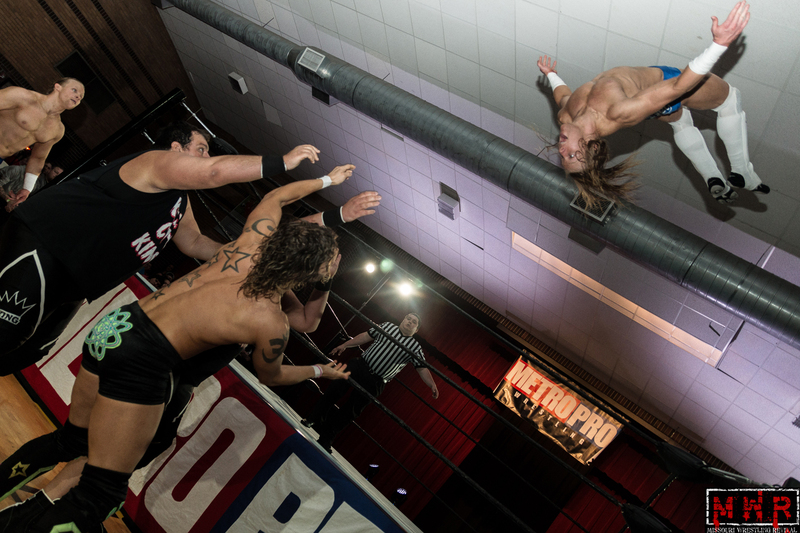 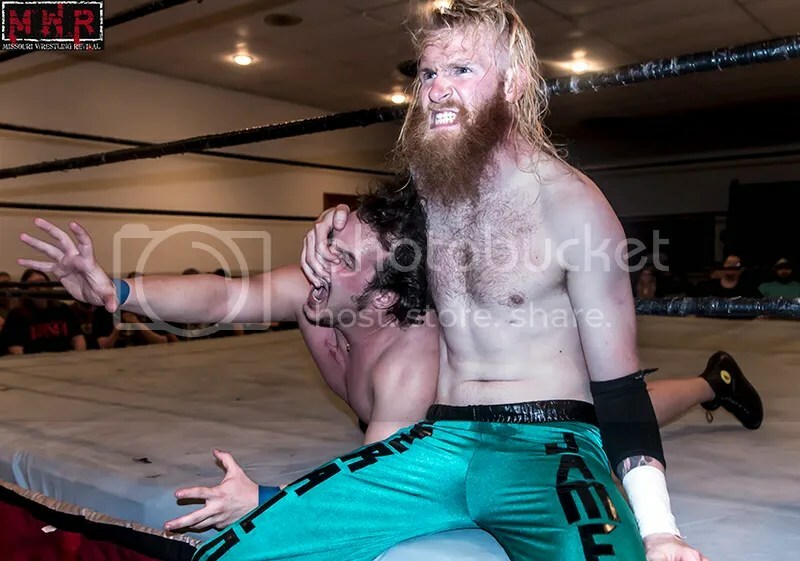 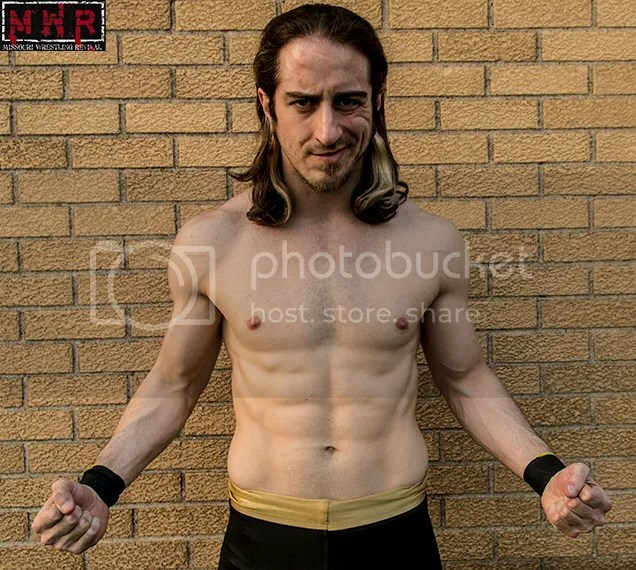 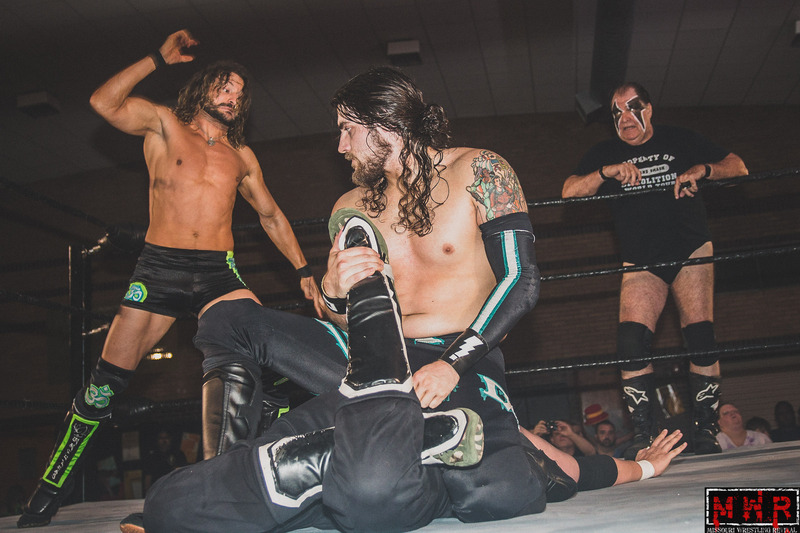 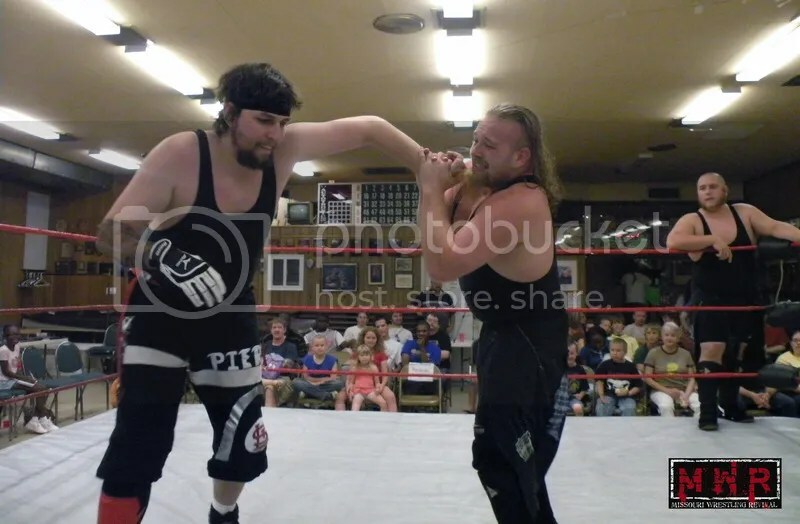 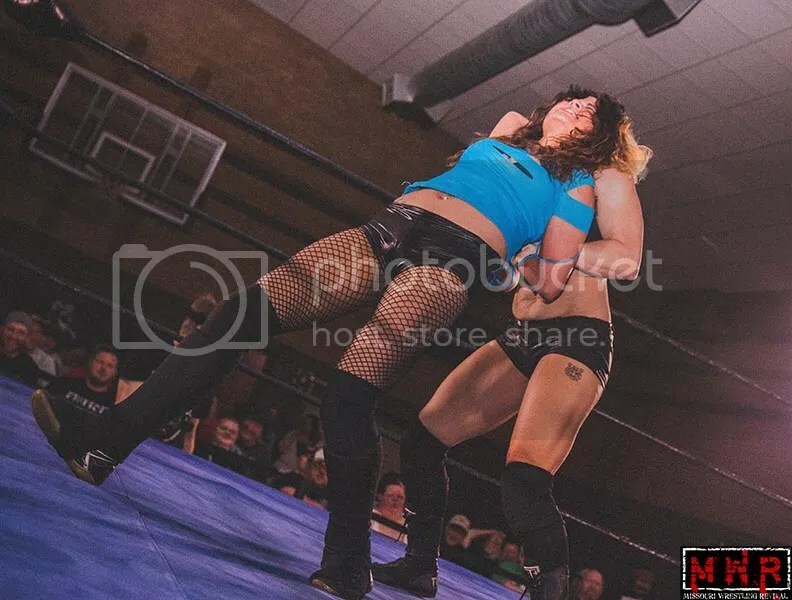 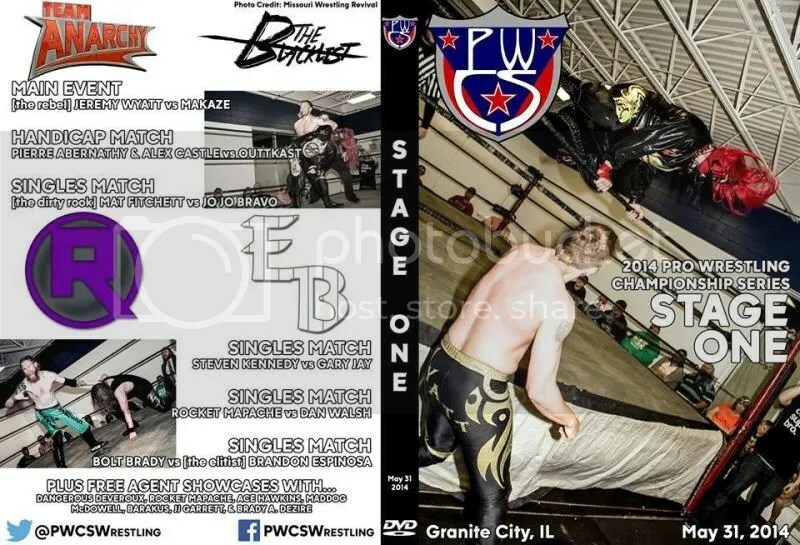 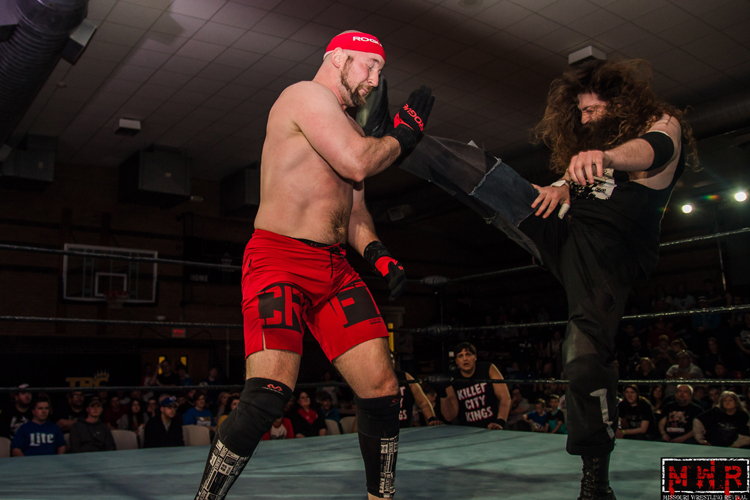 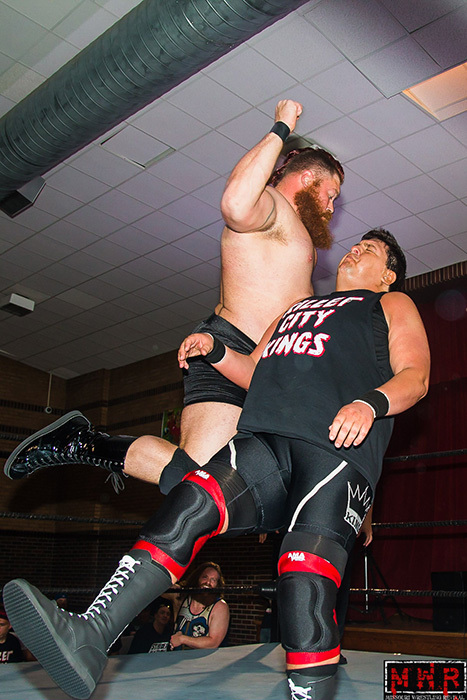 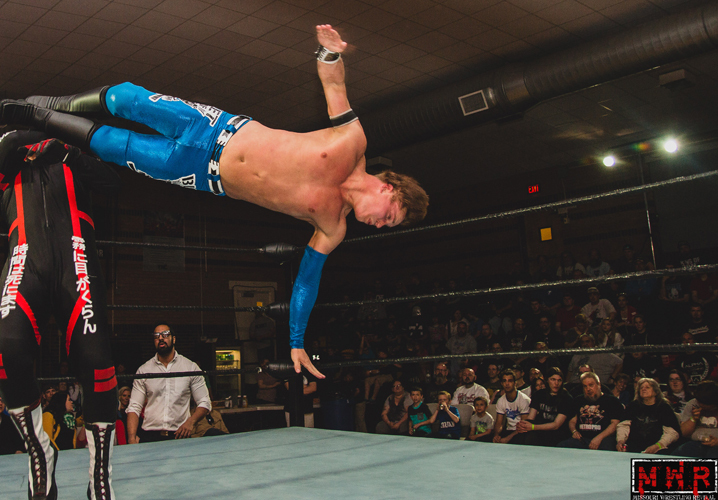 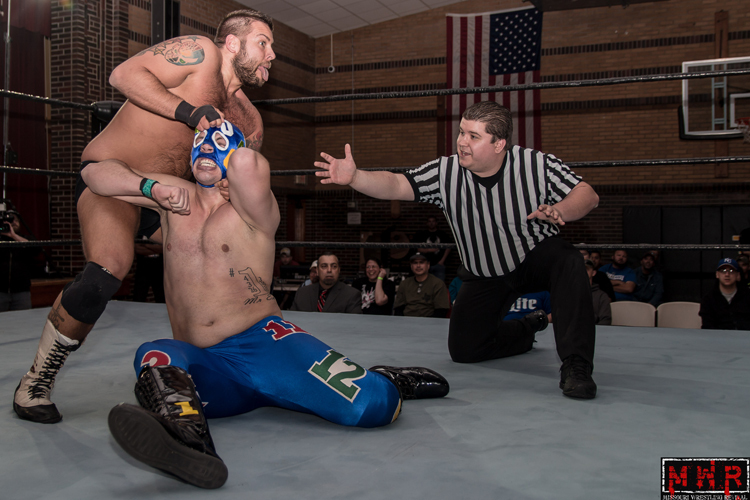 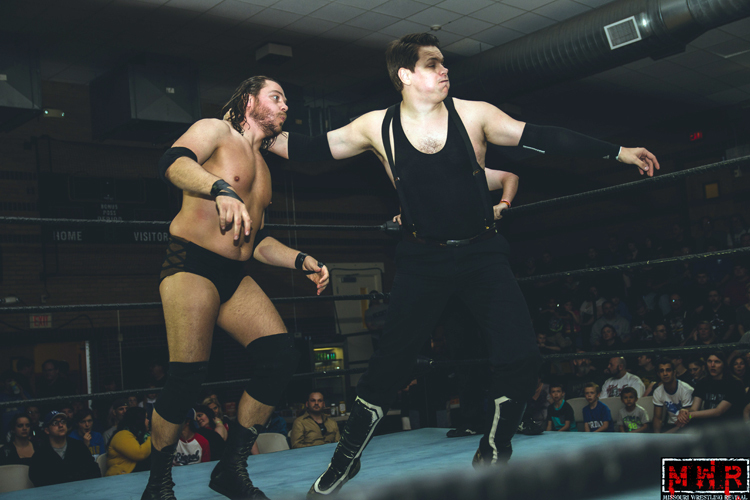 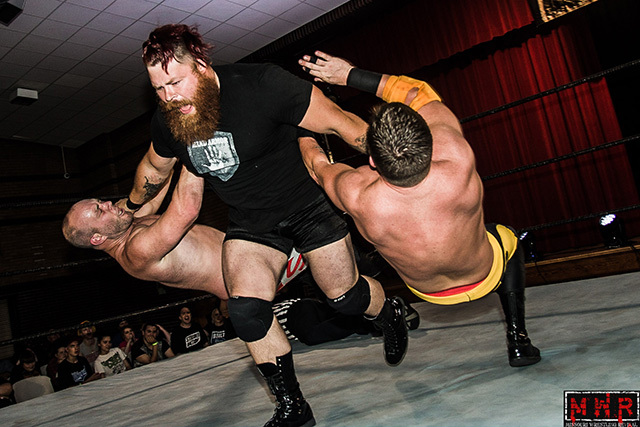 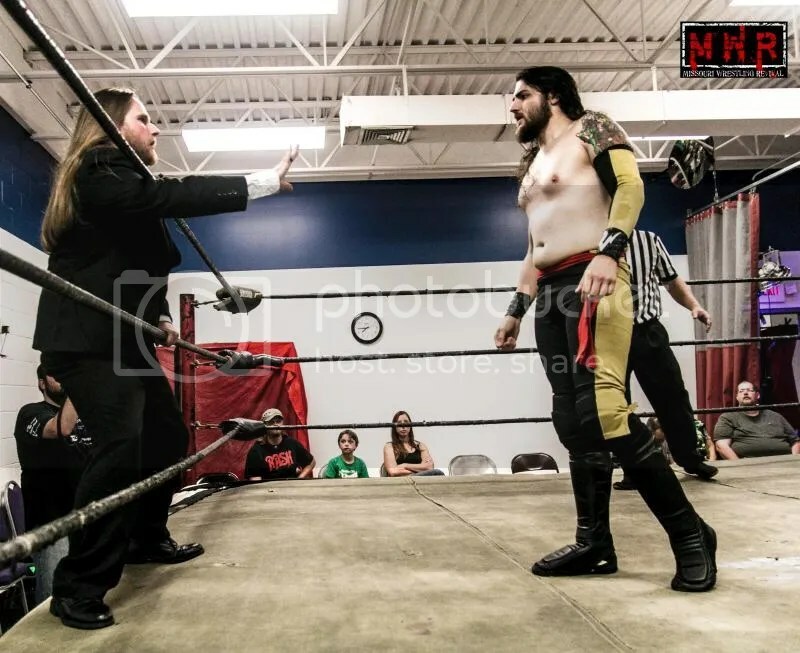 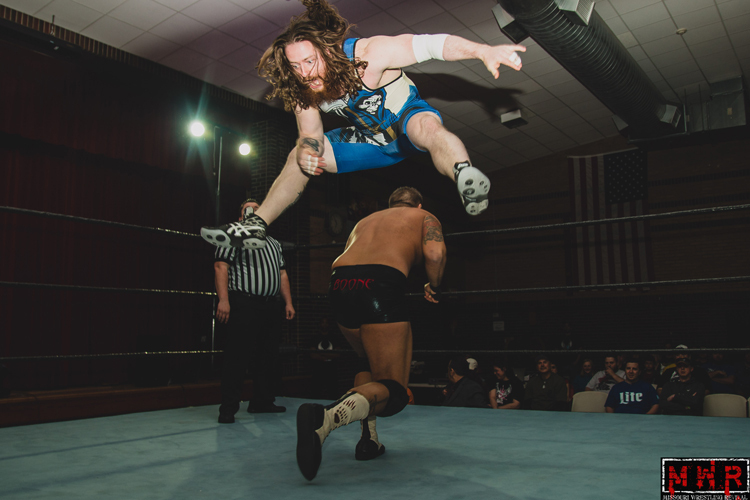 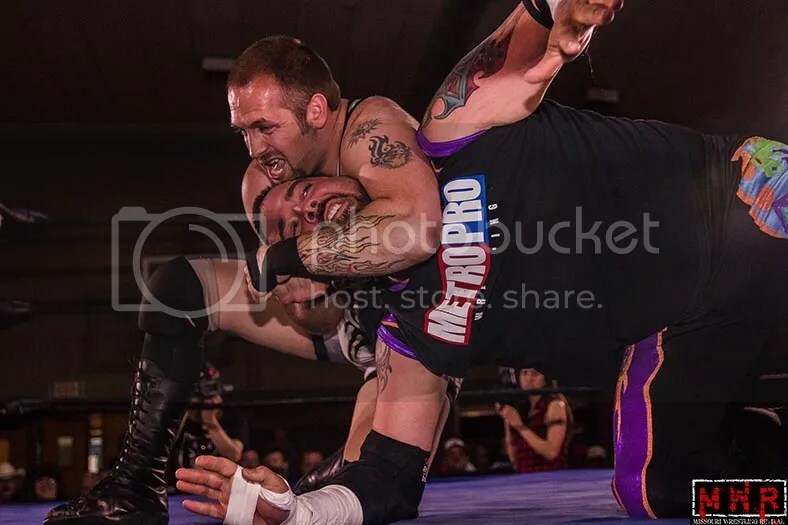 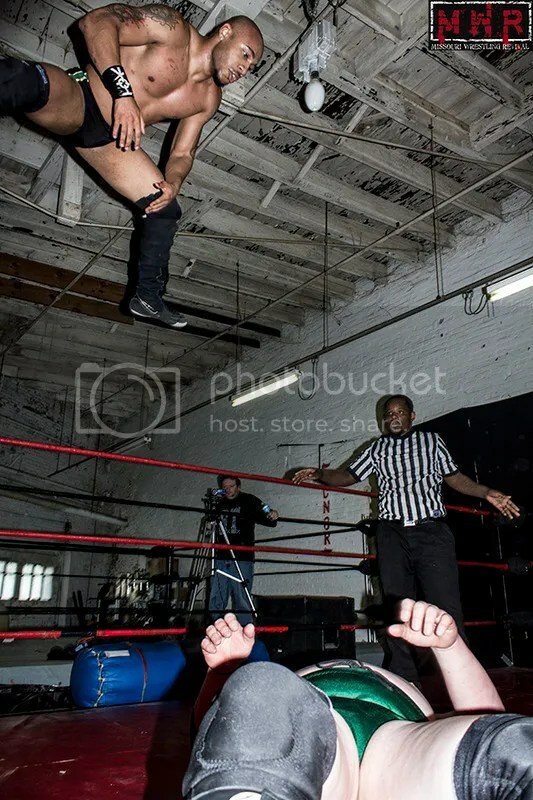 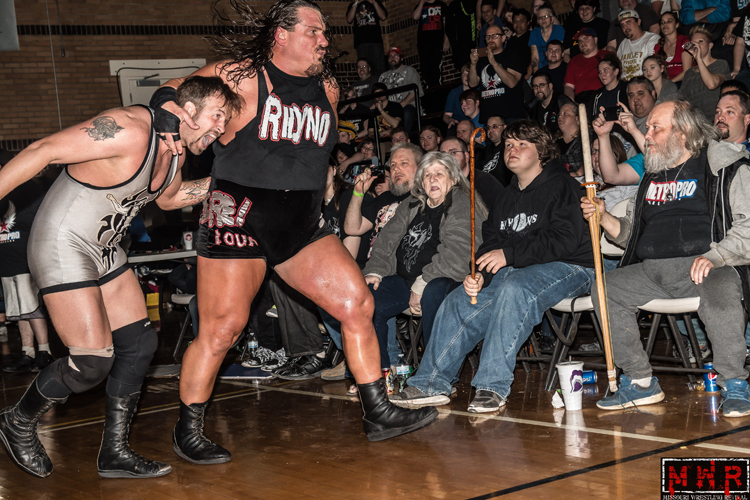 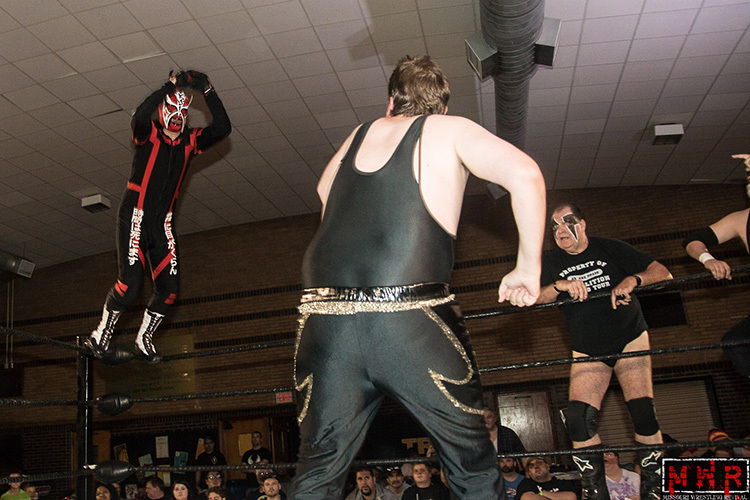 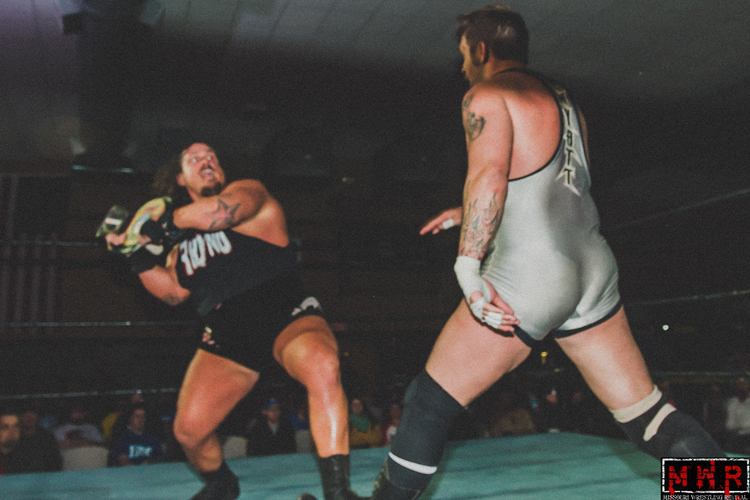 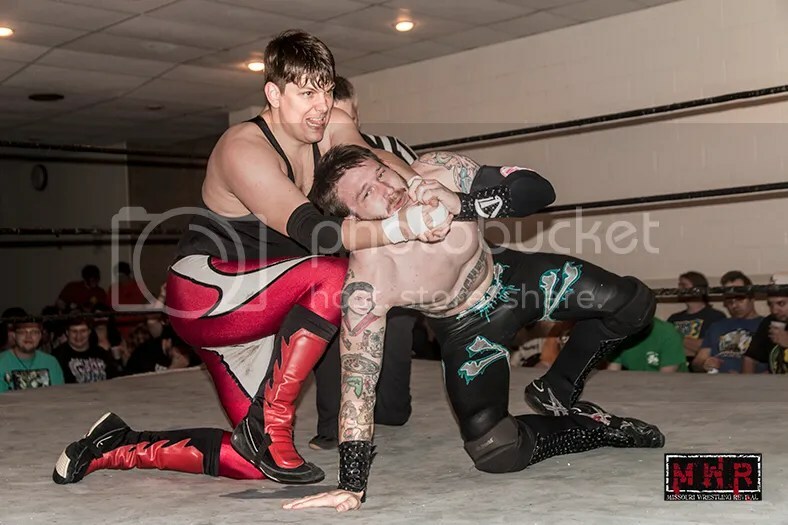 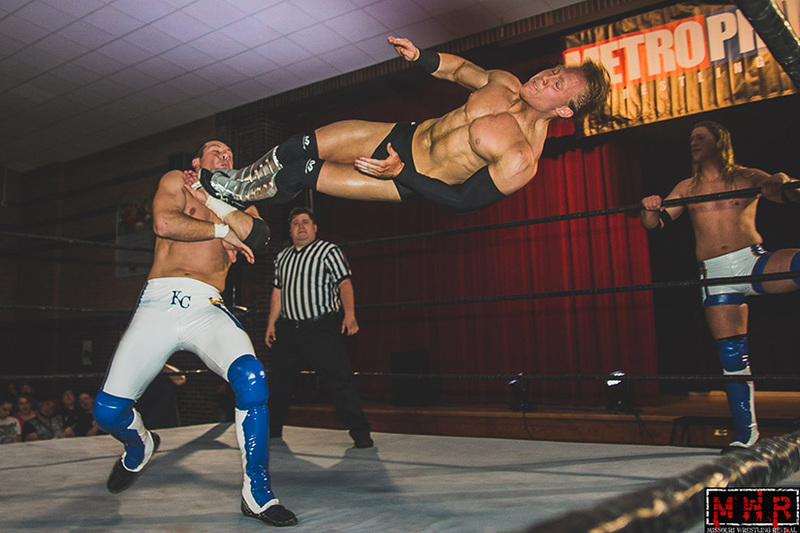 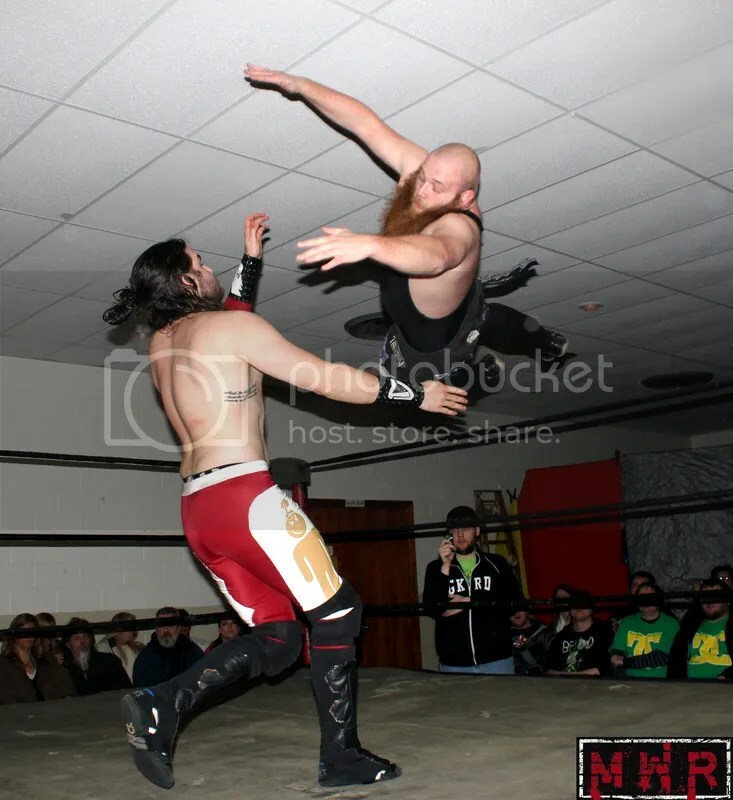 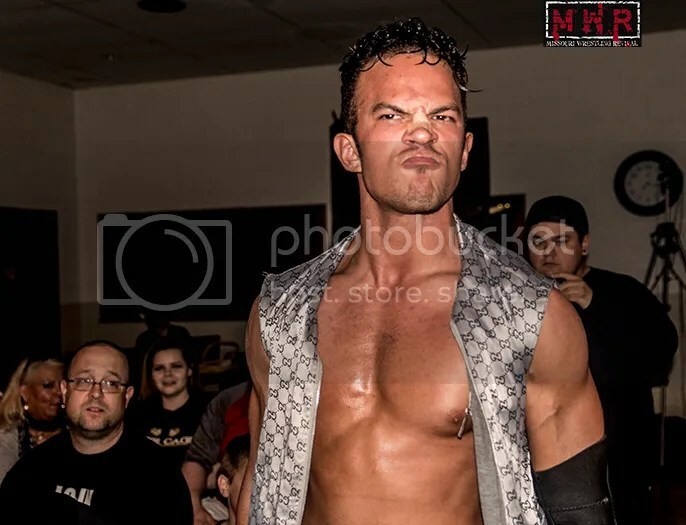 For the past five years fans have been able to keep up with Metro Pro Wrestling on Time Warner Cable SportsChannel , while YouTube features close to one hundred and fifty episodes of the red hot action. 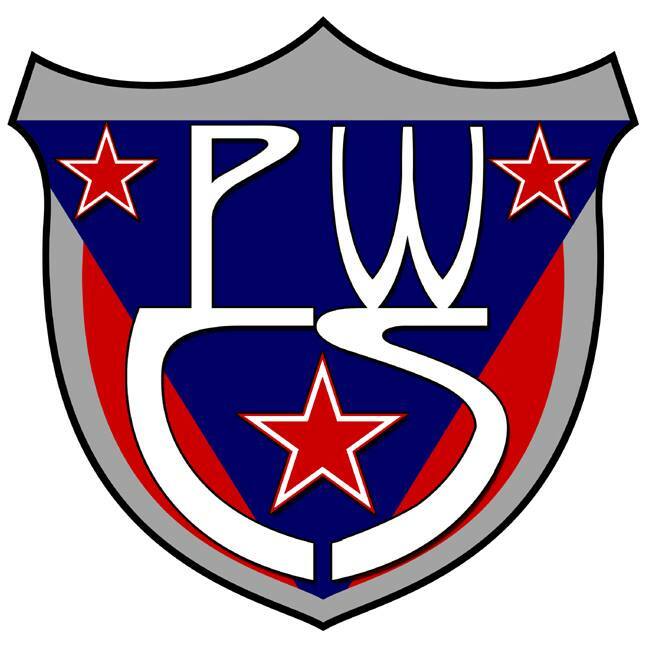 We caught up with just a few of the people that have enjoyed the hard work of Chris Gough and MPW to get their thoughts on the past five years. 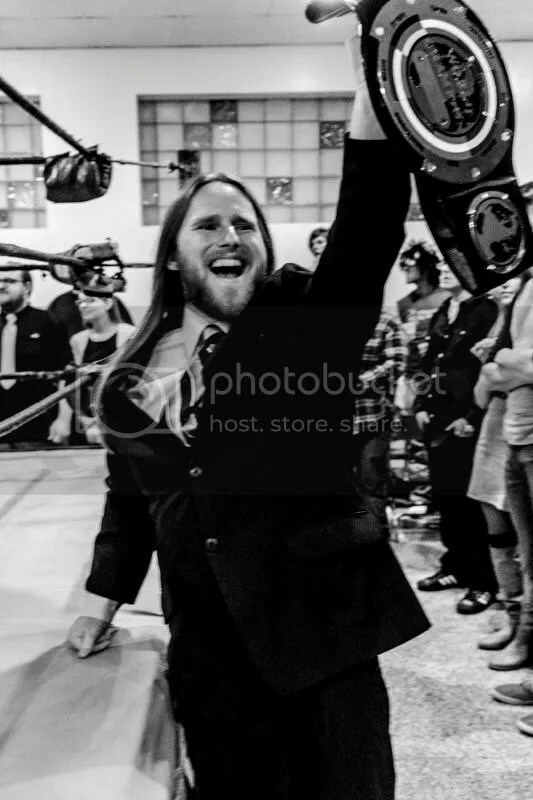 Former three time Metro Pro Wrestling Champion Jeremy Wyatt – Metro Pro has been thru its ups and downs. 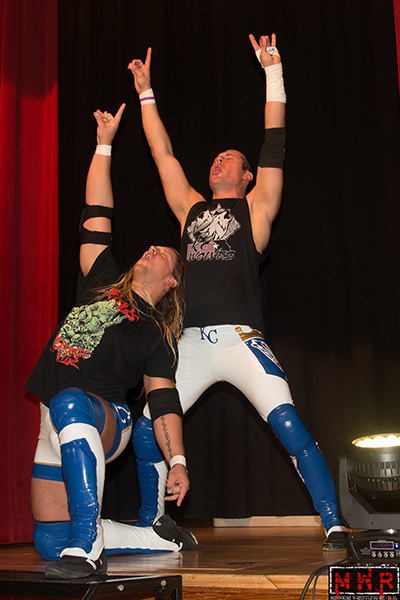 The downs have nearly been devastating, but the promotion has always came out on the other end even better. 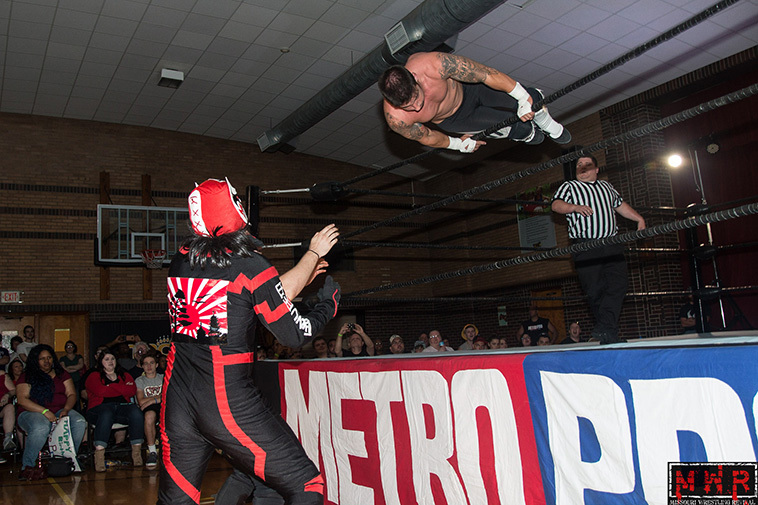 You take Metro and put it on one of the coast, and it’s easily considered one the top promotions in the country. 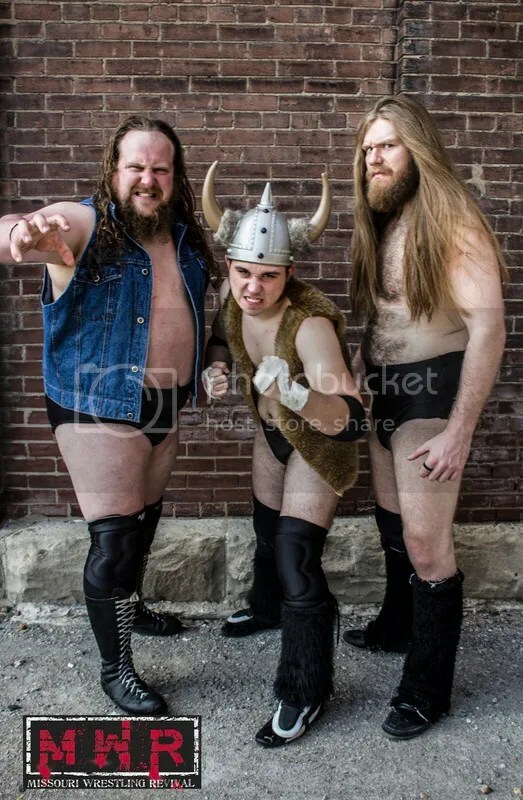 Being in the Midwest, it somewhat gets overlooked. 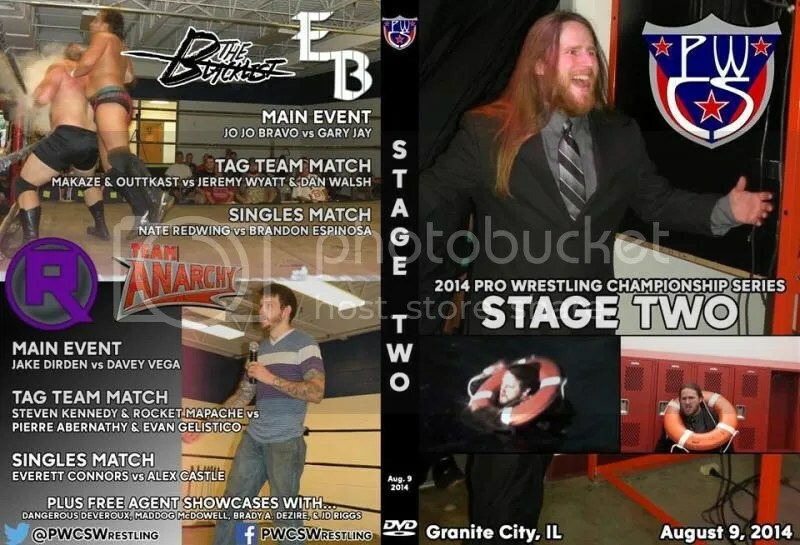 I couldn’t be prouder to have been a part of this promotion since day one. 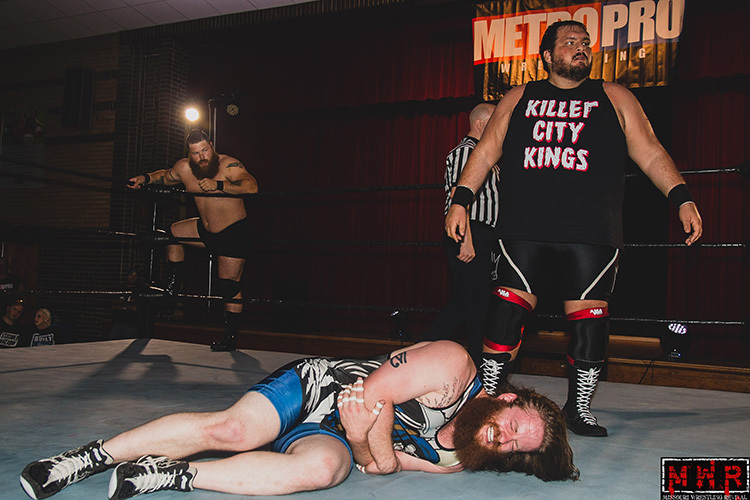 Kansas City was a ghost town for so long, Metro made wrestling a big deal here again. 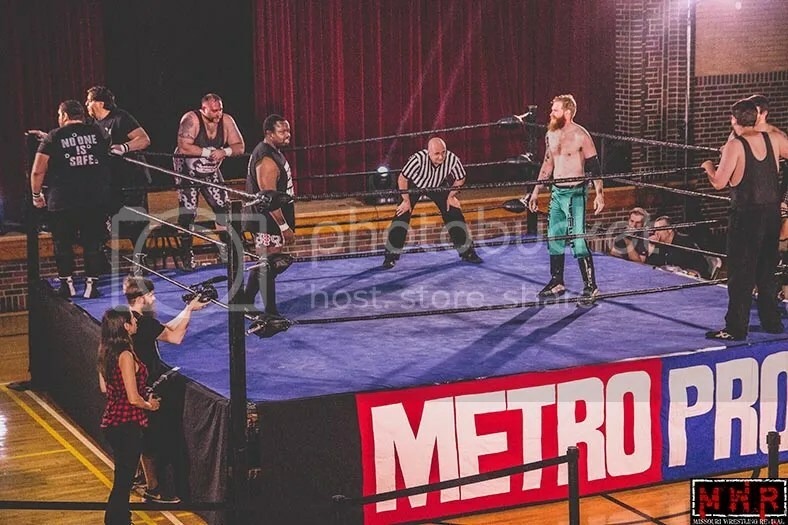 I’m obviously winding down, but knowing Metro is only going to continue to get bigger and better makes a small part of me wish I could wrestle forever. 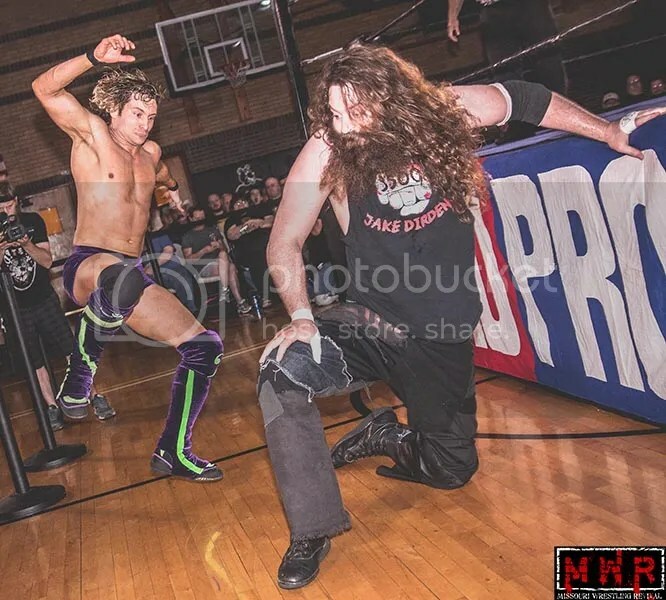 Current Metro Pro Wrestling Kansas State Champion Mike Sydal – When Chris Gough started Metro Pro Wrestling, he revived wrestling in KC. 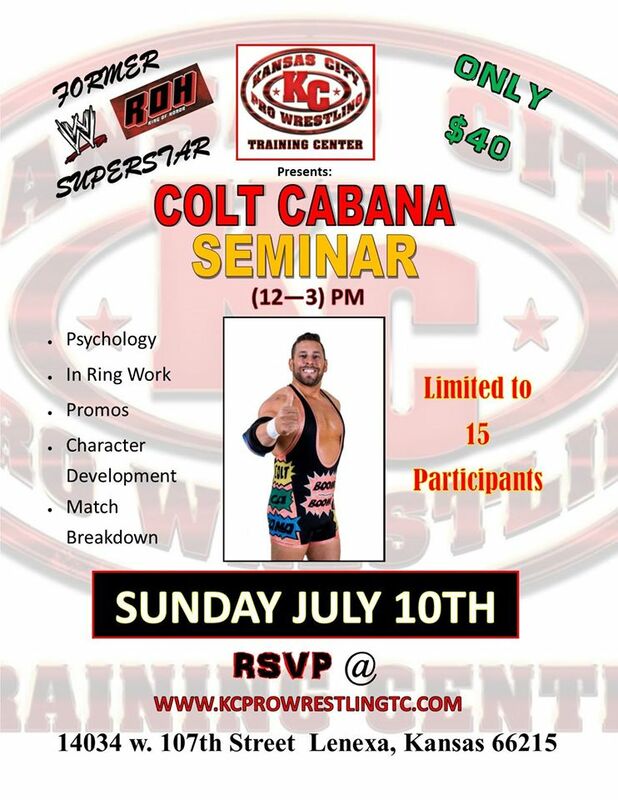 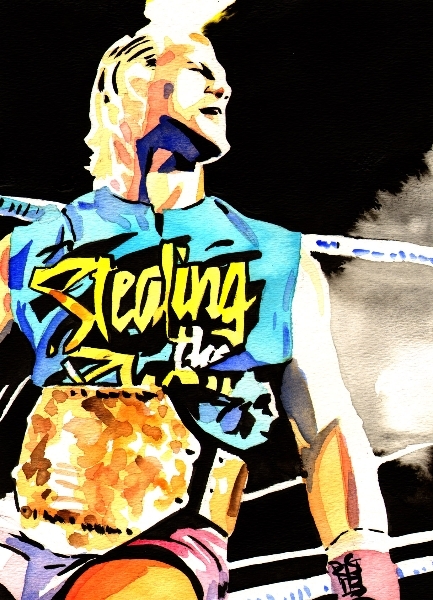 He created something special for the Kansas Citians who love wrestling. 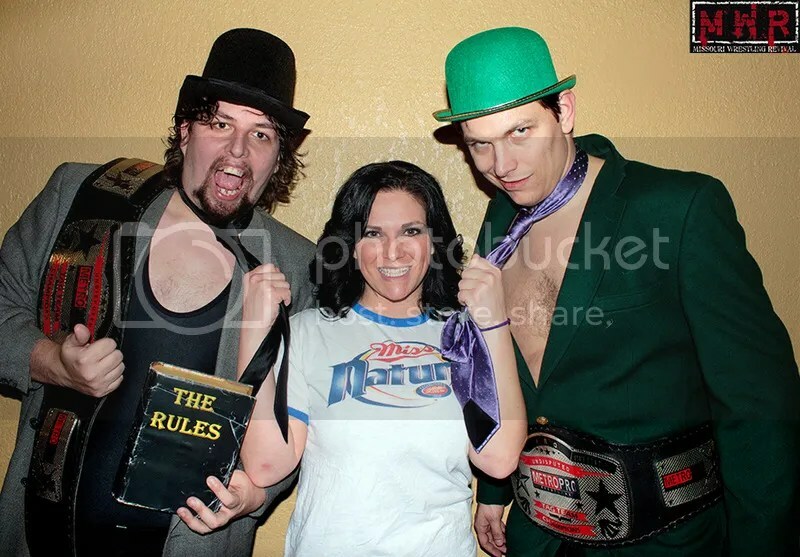 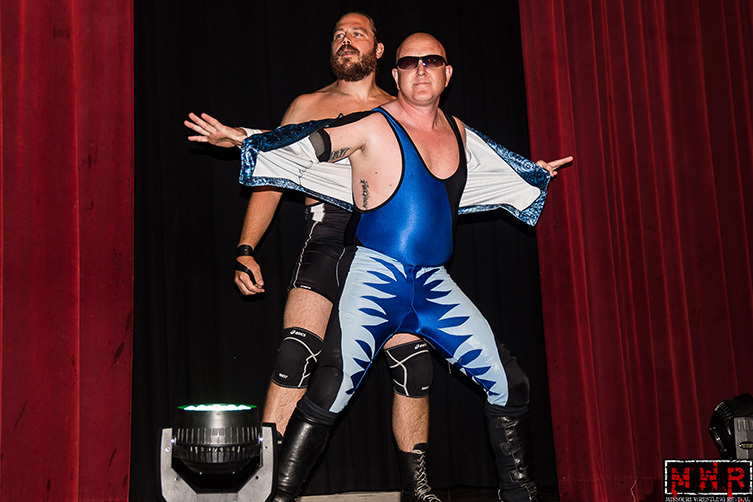 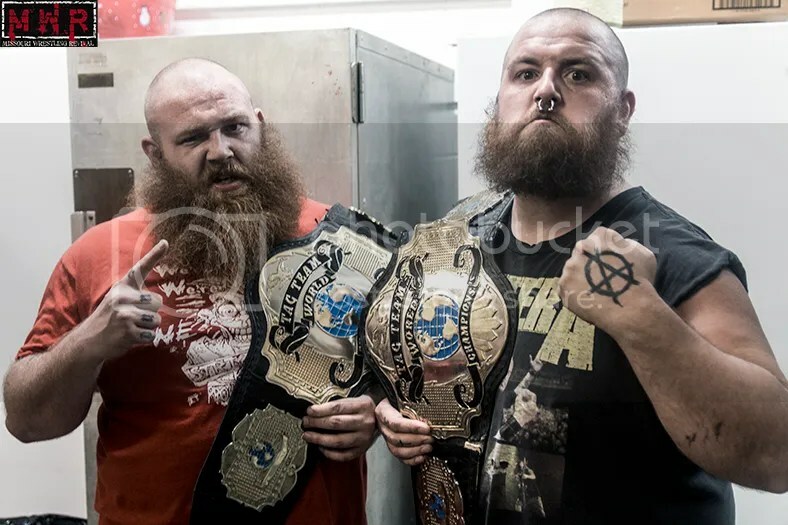 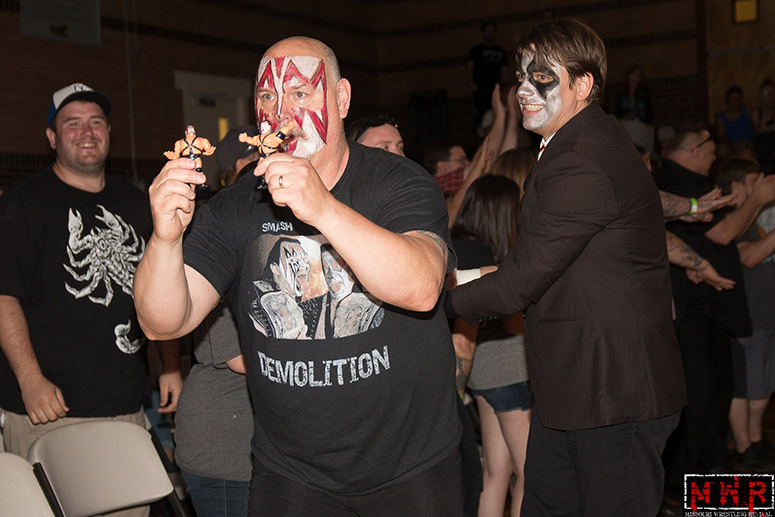 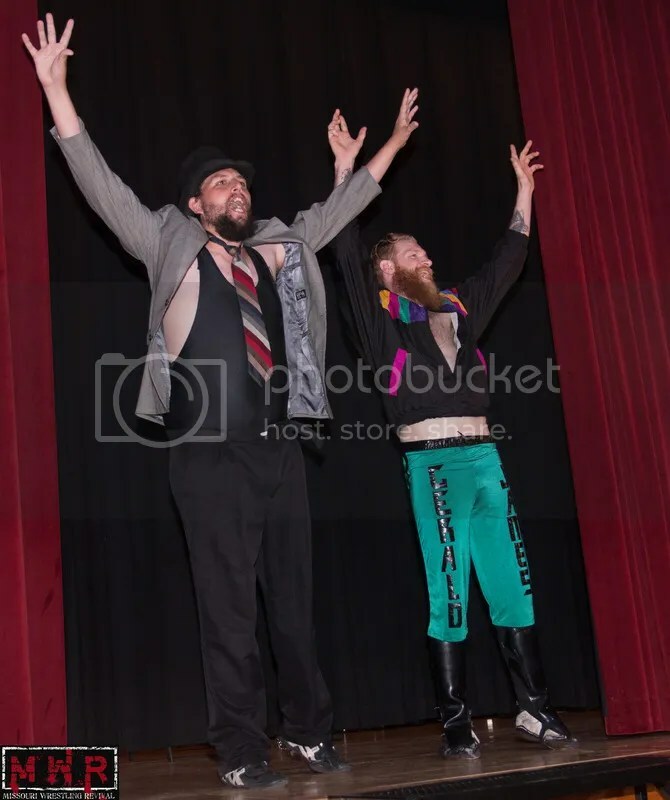 Former one half of the Metro Pro Wrestling Tag Team Champions Mark McDowell – Metro Pro & Chris G. had brought back the missing tradition of pro wrestling to the K.C. 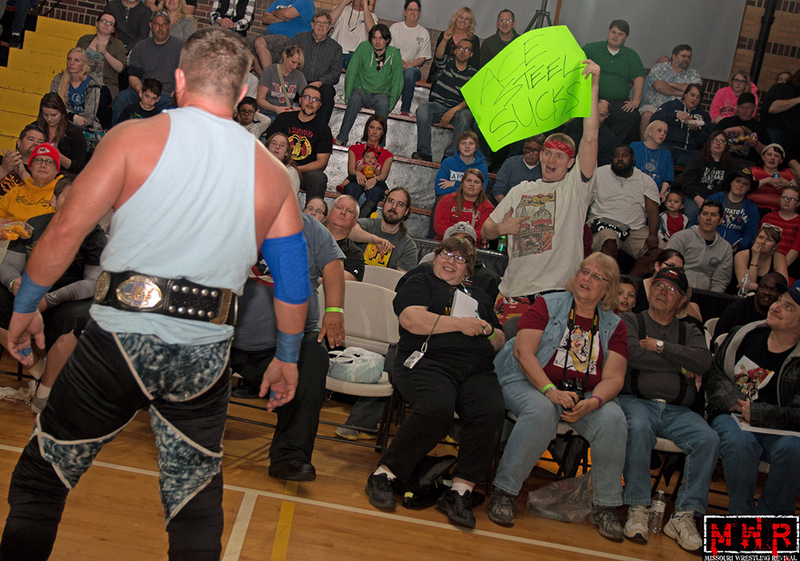 region and continues to bring a magic that fans and families can continue to enjoy. 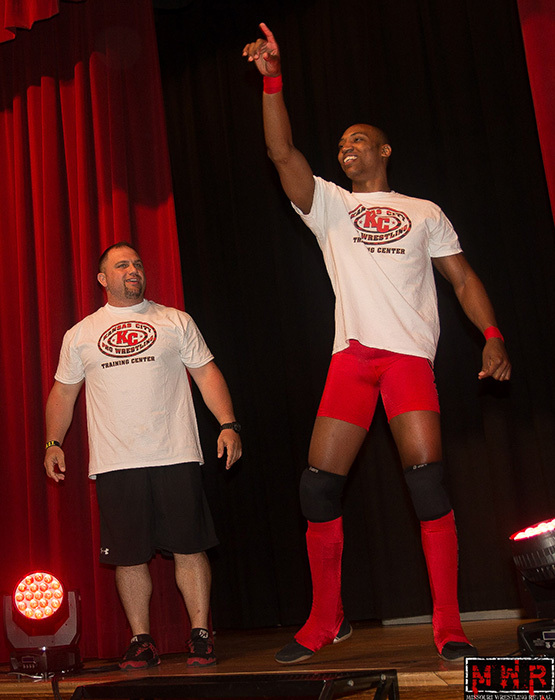 Metro Pro Wrestling Wrestler The Iceman – When Chris started Metro Pro you had a good feeling from day one it was going to be something great and since Metro Pro bursted on the scene 5 years ago and made KC a hotbed for professional wrestling again it has given KC something else to be excited about…The Royals, The Chiefs and for the past 5 years Metro Pro Wrestling…Thank you Chris and thank you Metro Pro fans! 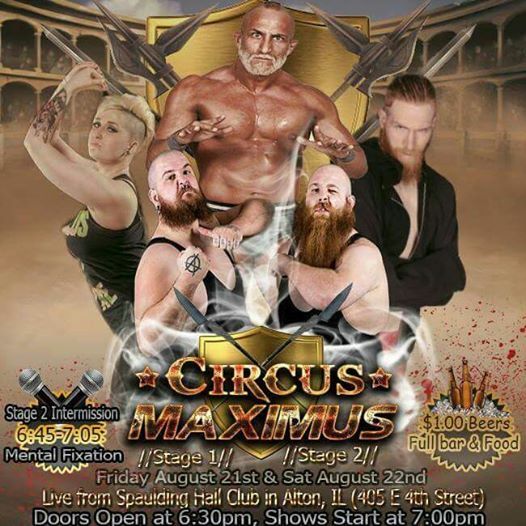 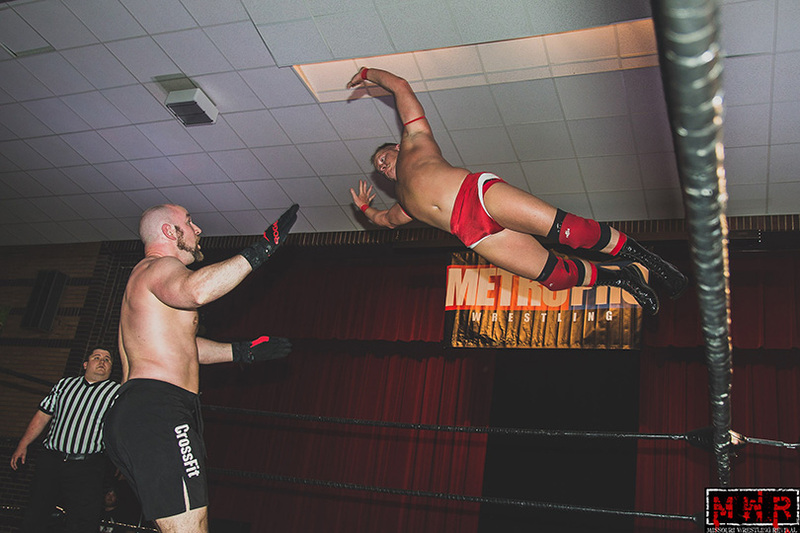 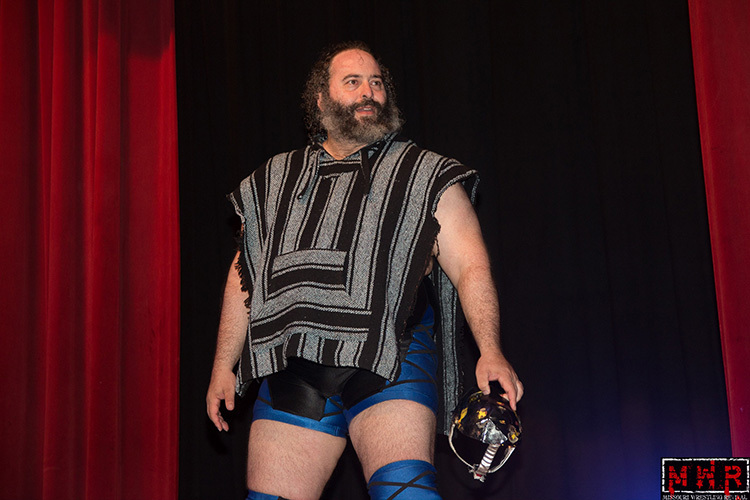 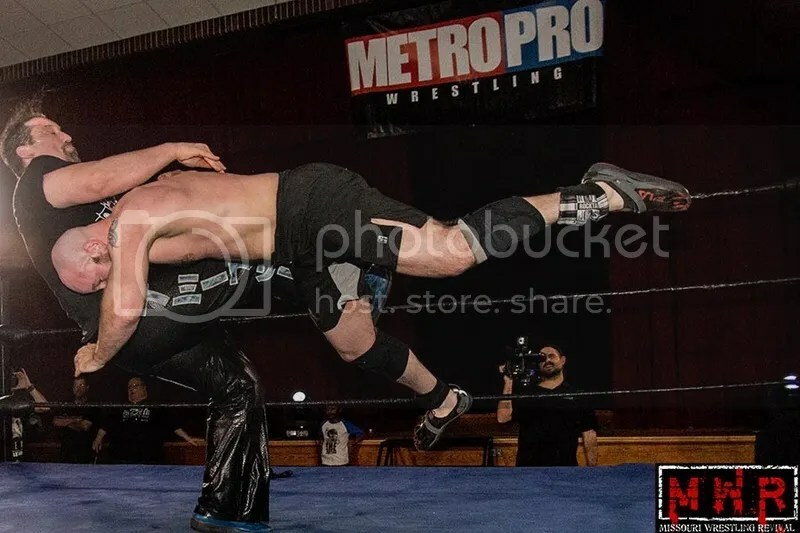 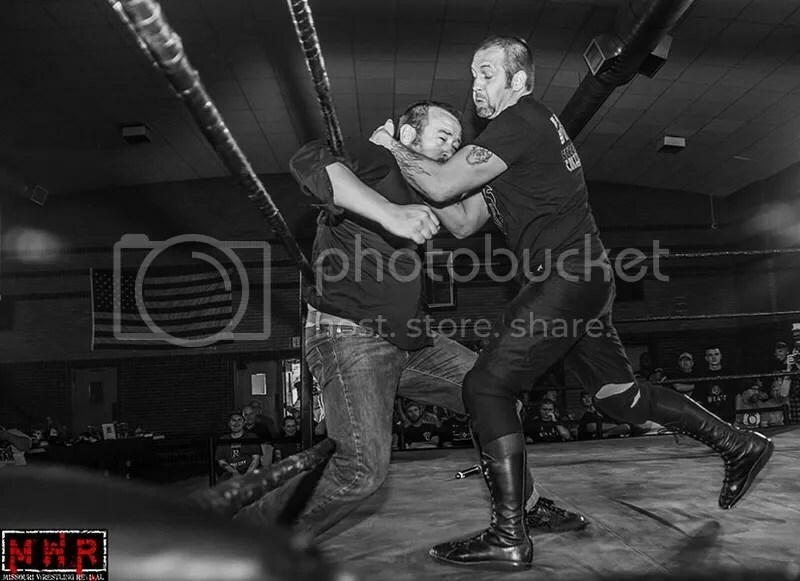 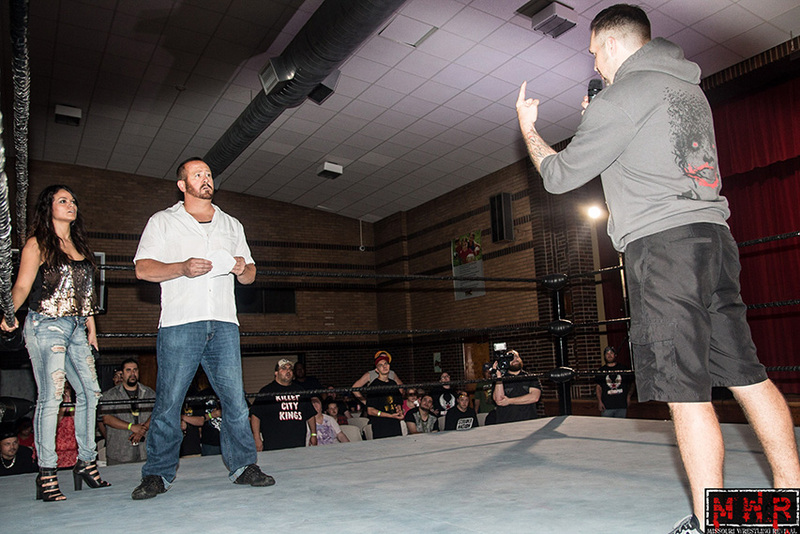 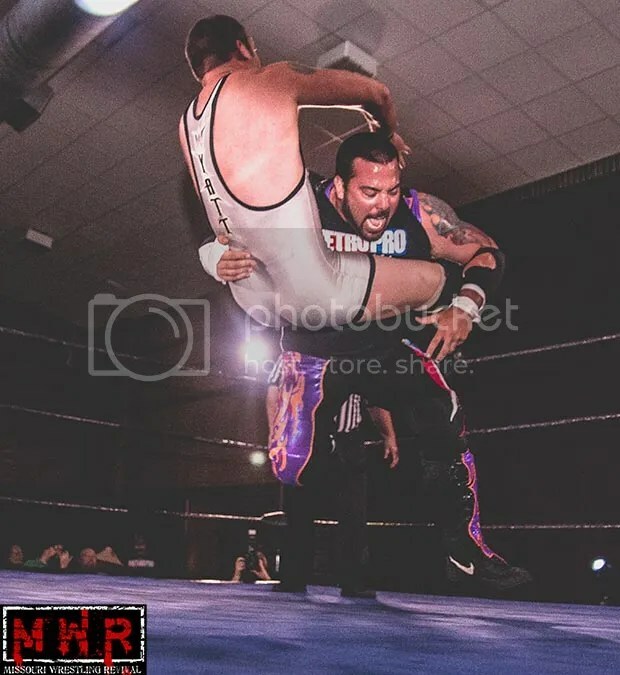 Metro Pro Wrestling fan Glen Enloe – Metro Pro Wrestling has grown from a hope to a thriving reality in just 5 short years. 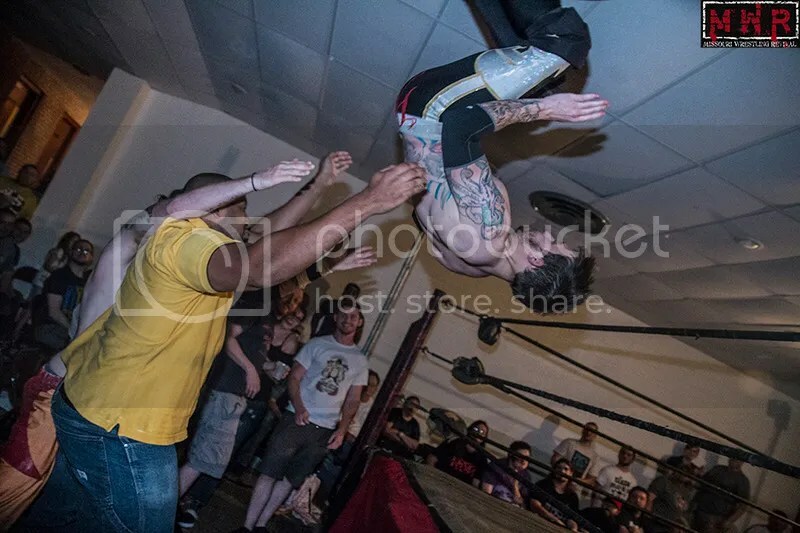 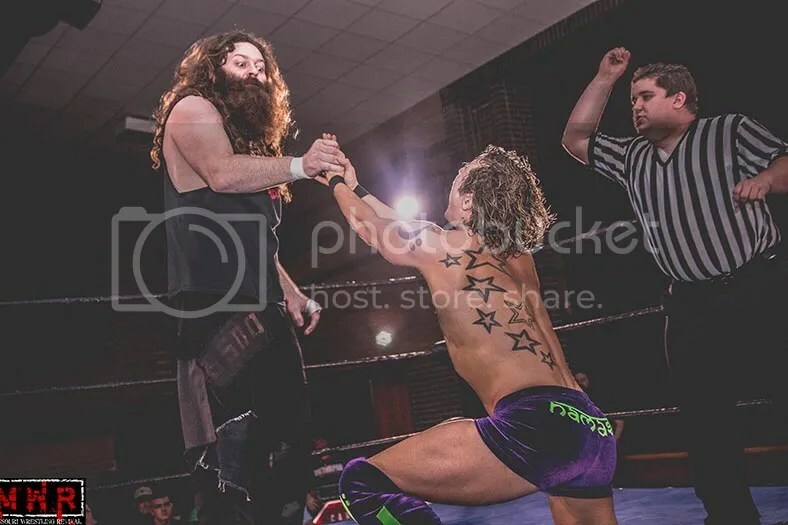 It has been a combination of exciting & creative matches along with a friendly atmosphere both on stage & back stage puts it ahead of many independent wrestling promotions. 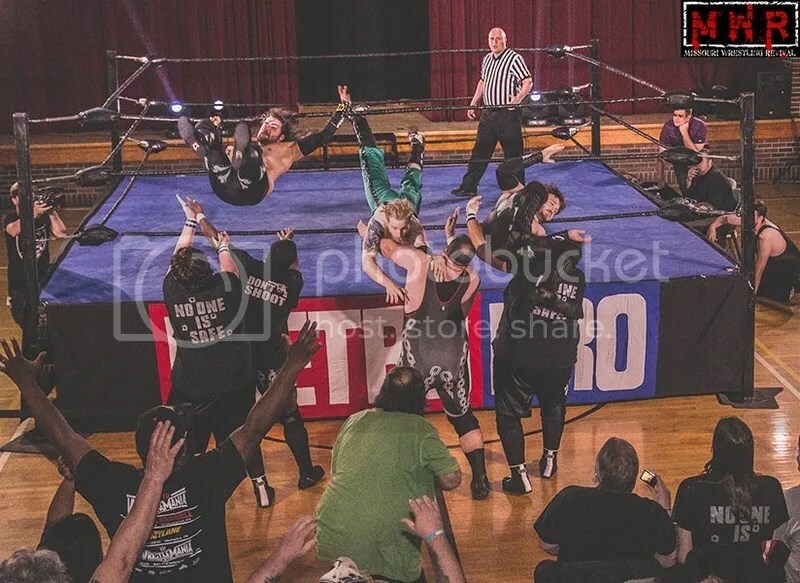 While we all hoped it would bring back the good old days of KCK’s Memorial Hall wrestling, I think we are all a little surprised & pleased that Metro Pro has lived up to the bill & in some ways surpassed it. 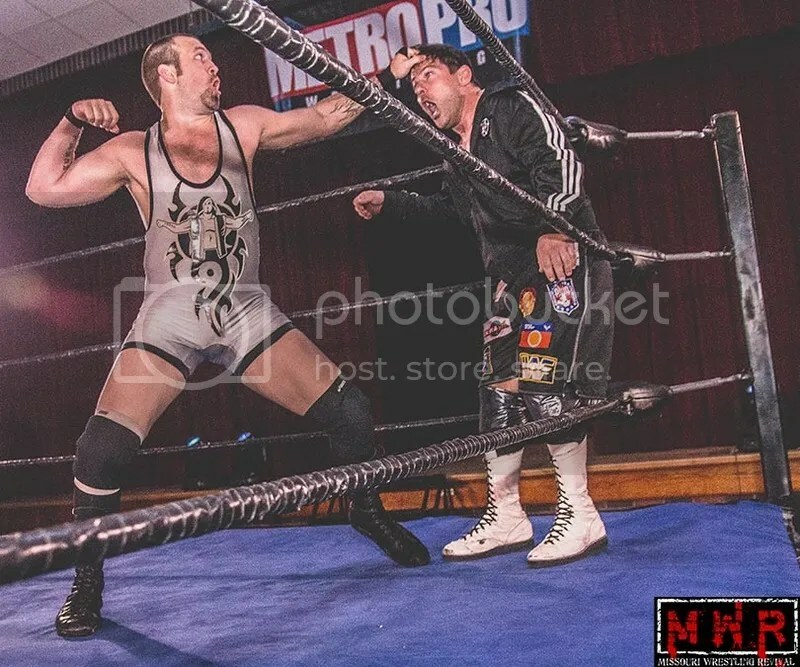 Long live Metro Pro! 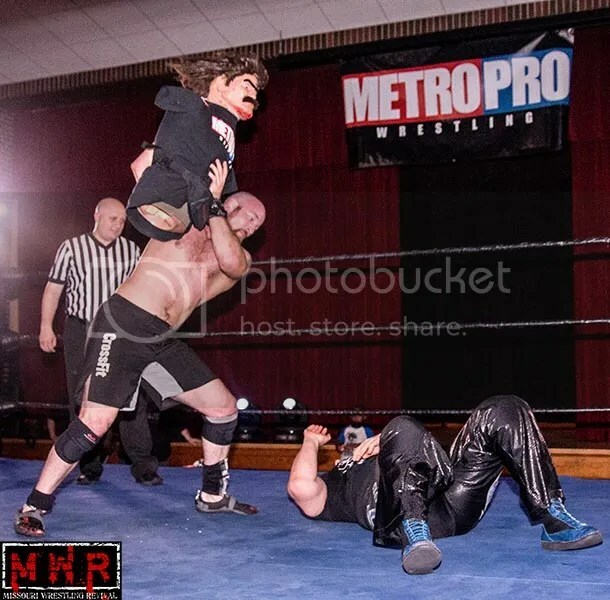 Metro Pro Wrestling fan Paul Johnson – I like to think of metro pro wrestling as one big happy family. 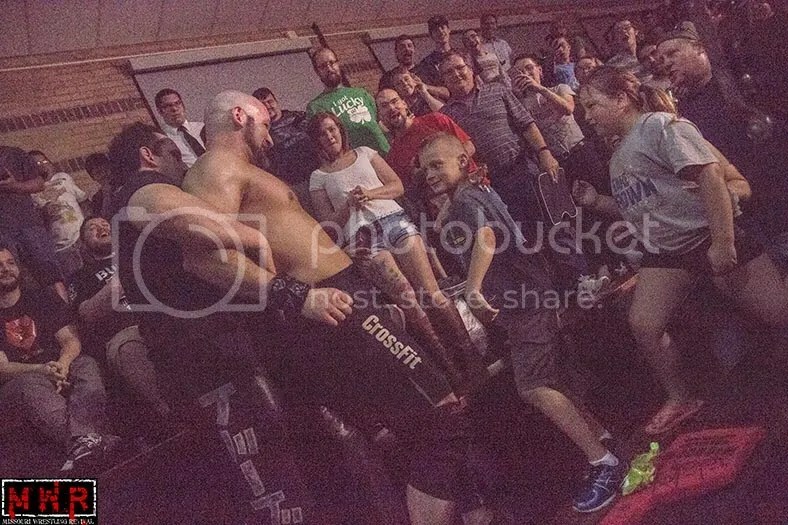 The connection between fans and wrestlers is awesome. 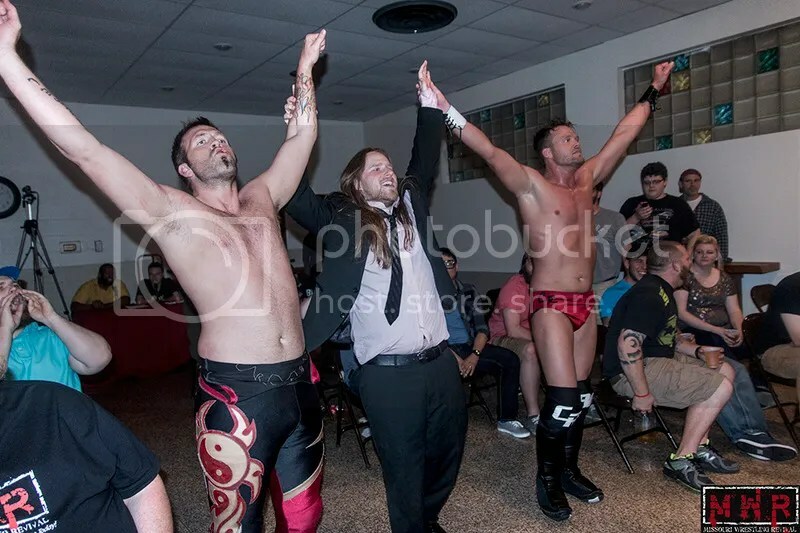 It’s what makes it the success it is today and will be in the future. 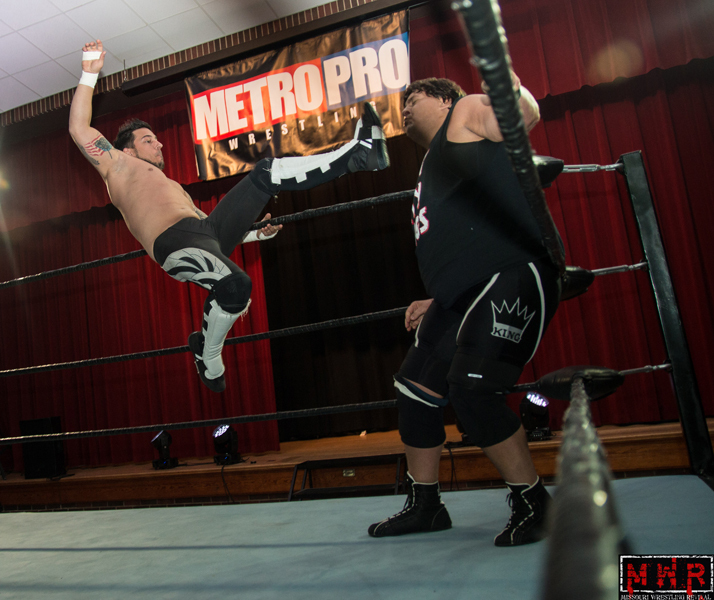 They say when you are having fun, time flies and that has been so true with Metro Pro Wrestling. 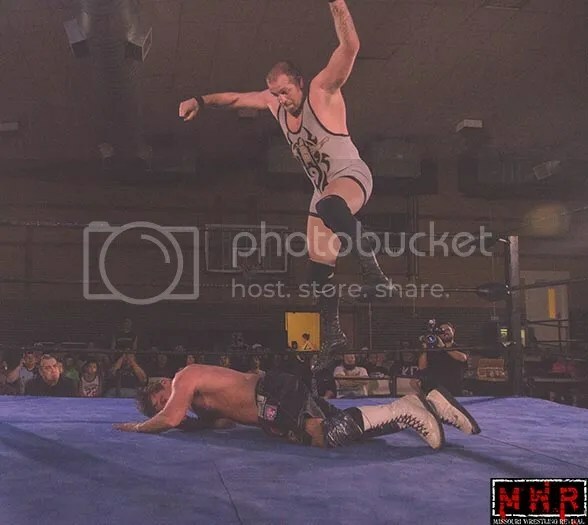 Metro Pro fans have had the chance to meet the 8-time NWA World Champion Harley Race, while witnessing the NWA World Title would change hands for the first time since September 17, 1981, (Ric Flair defeated Dusty Rhodes) when Adam Pearce defeated Colt Cabana on July 21st, 2012. 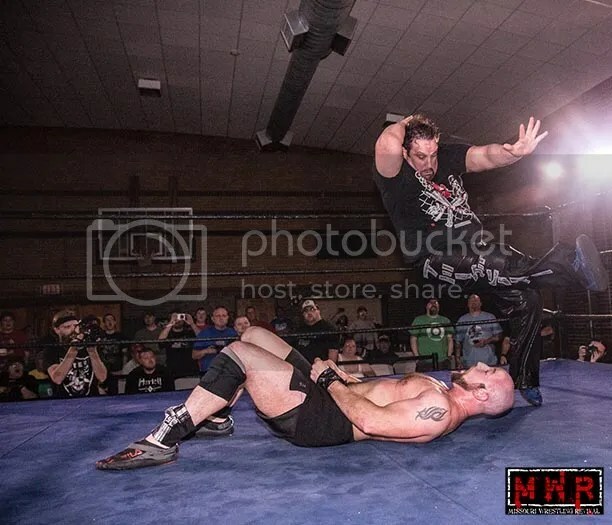 Many of today’s national superstars have made their way to MPW including Tommy Dreamer, Christopher Daniels, Santana G, T.J. Perkins, Stevie Richards, Ace Steel and Kyle O’Reilly. 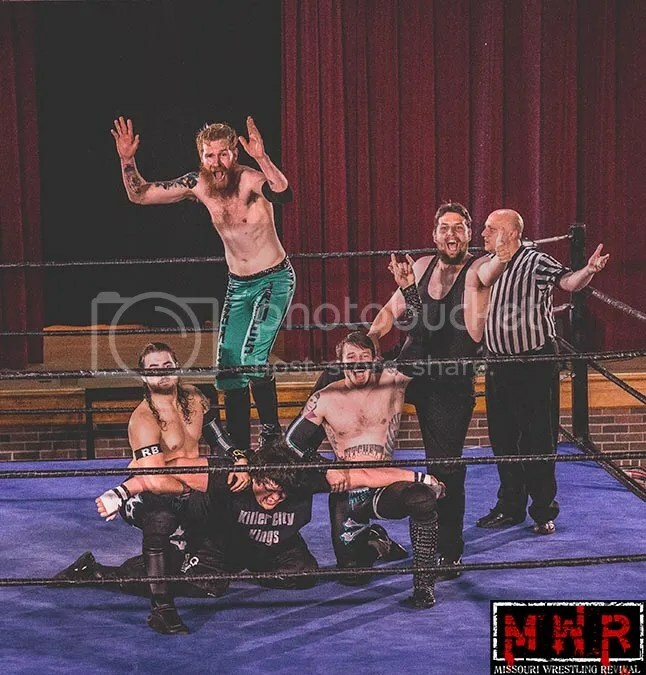 Though it may have been a great treat to have the world wide superstars appear at Metro Pro Wrestling, it has been a plethora of young talents that have gave their heart and soul to the promotion that has made sure that the fans clear their calendar. 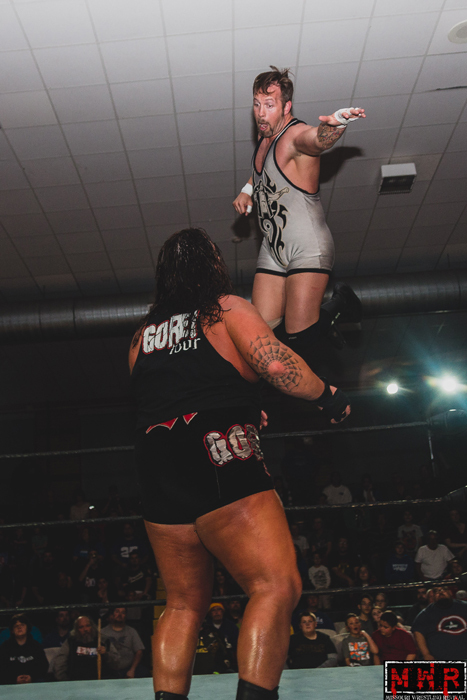 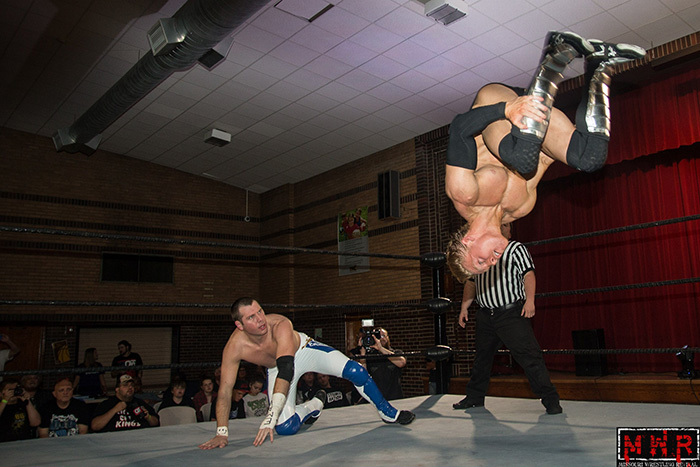 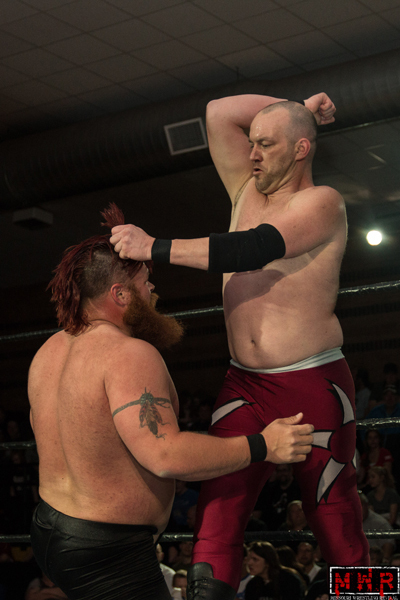 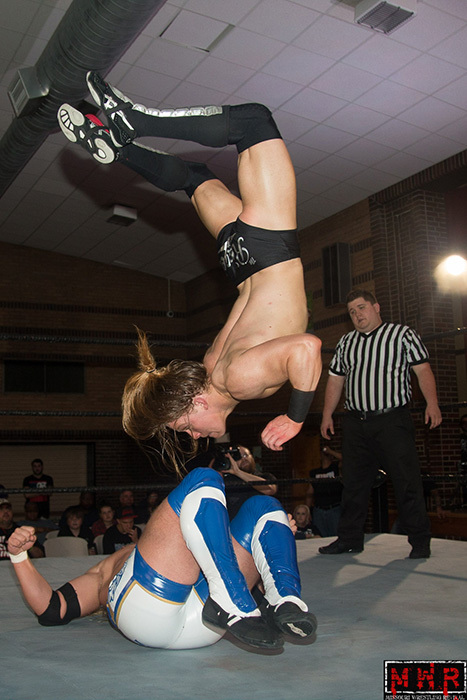 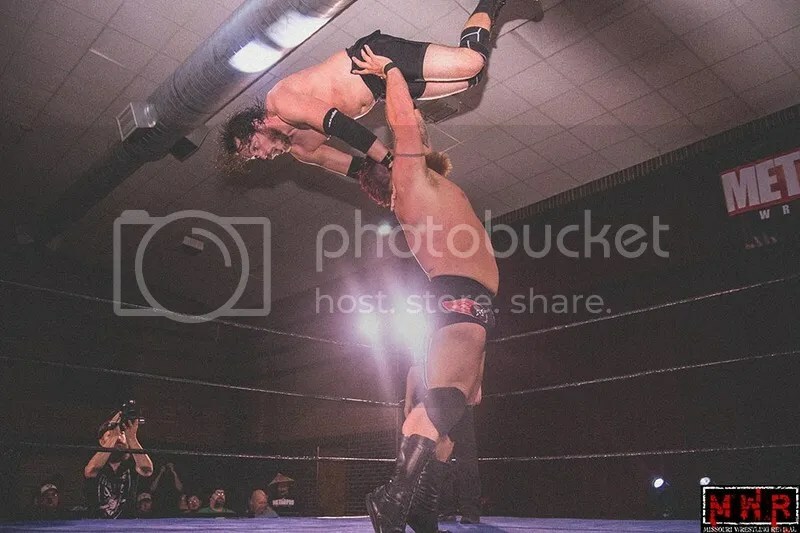 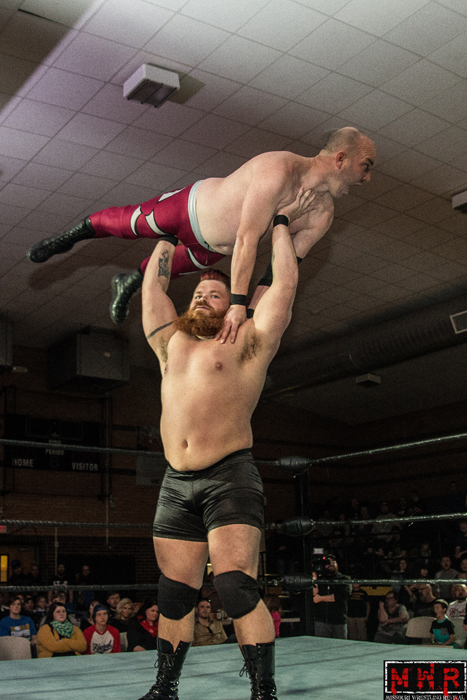 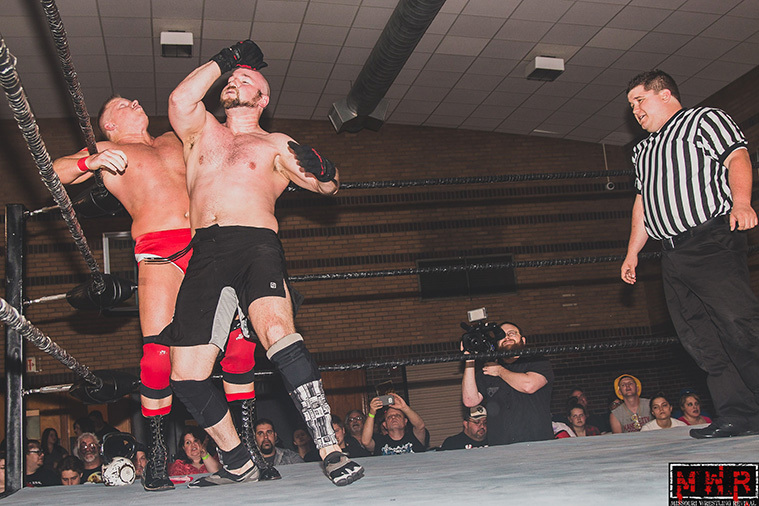 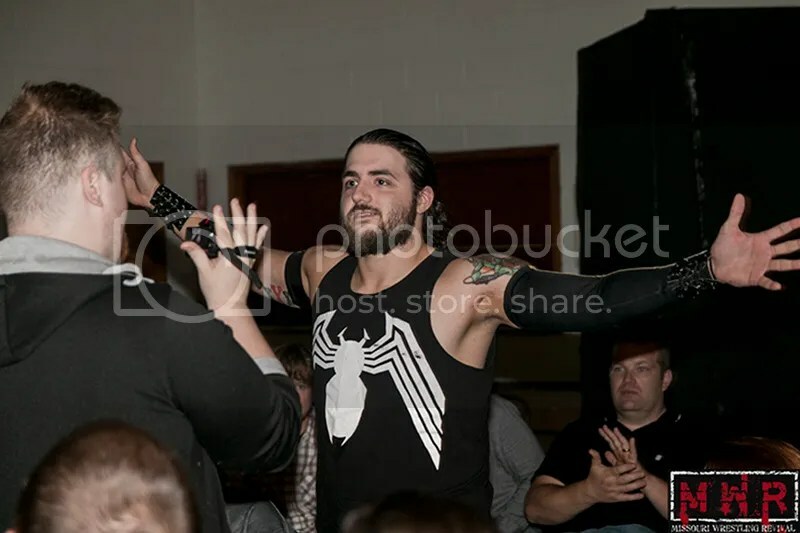 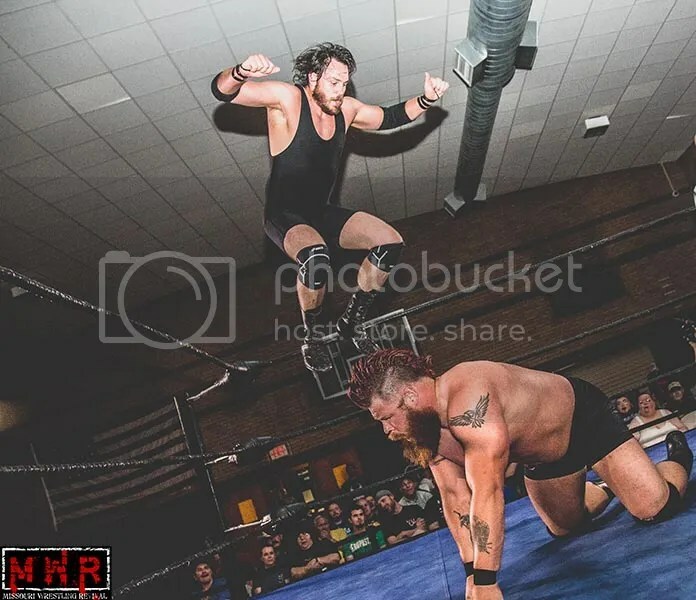 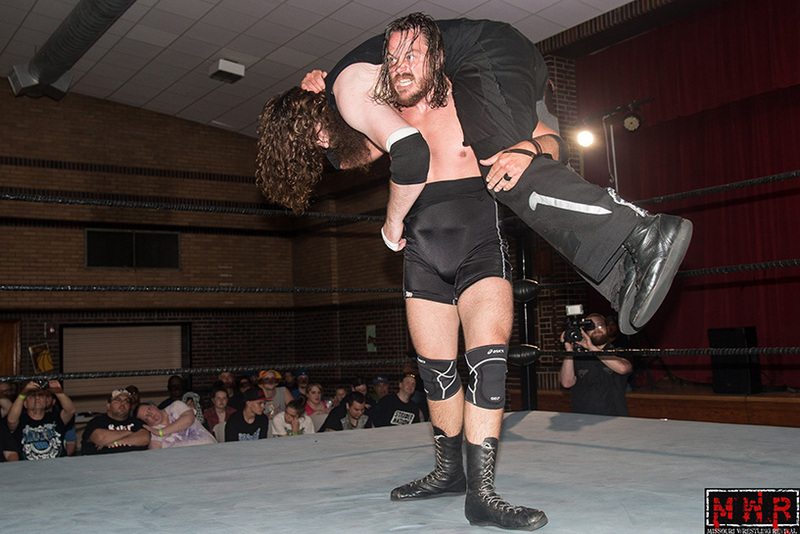 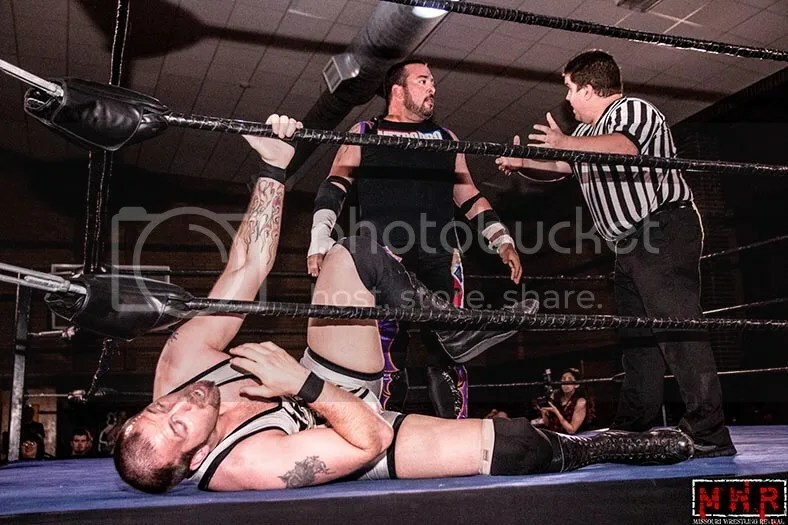 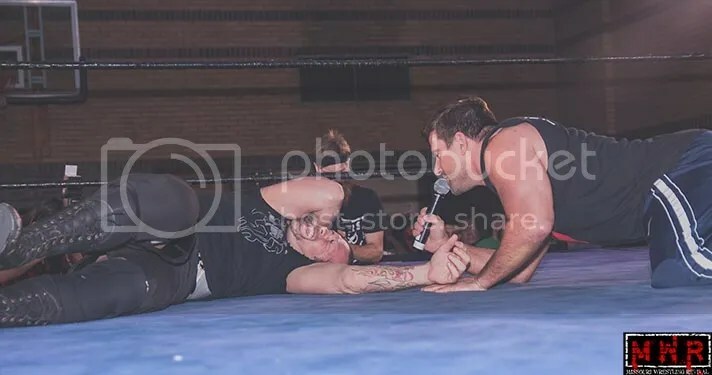 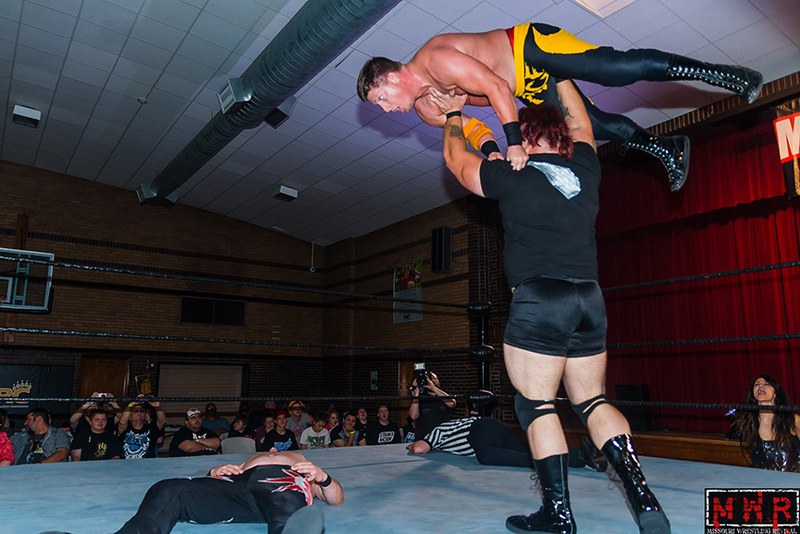 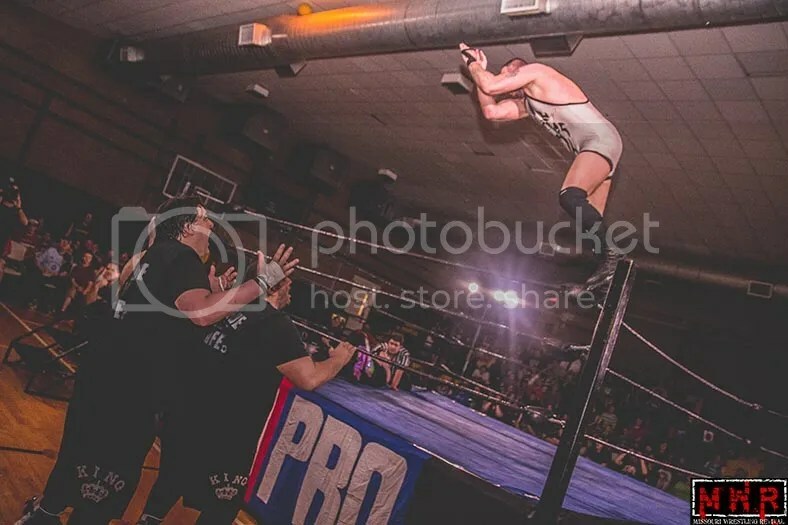 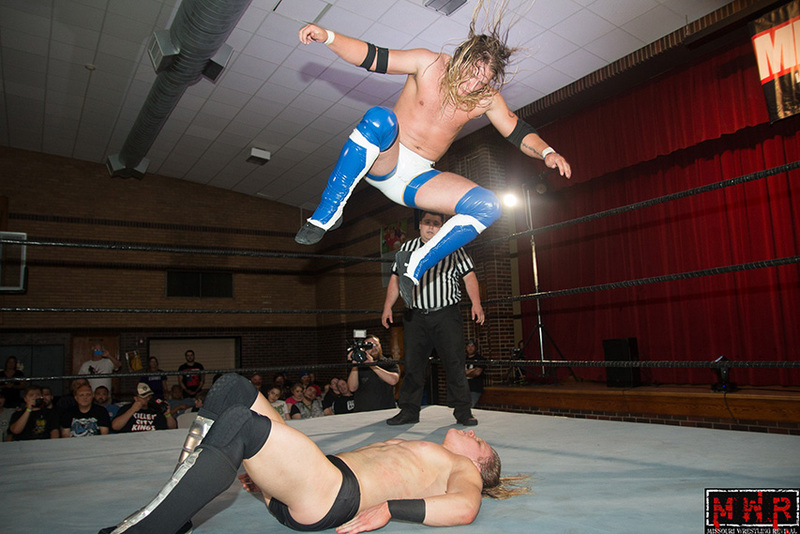 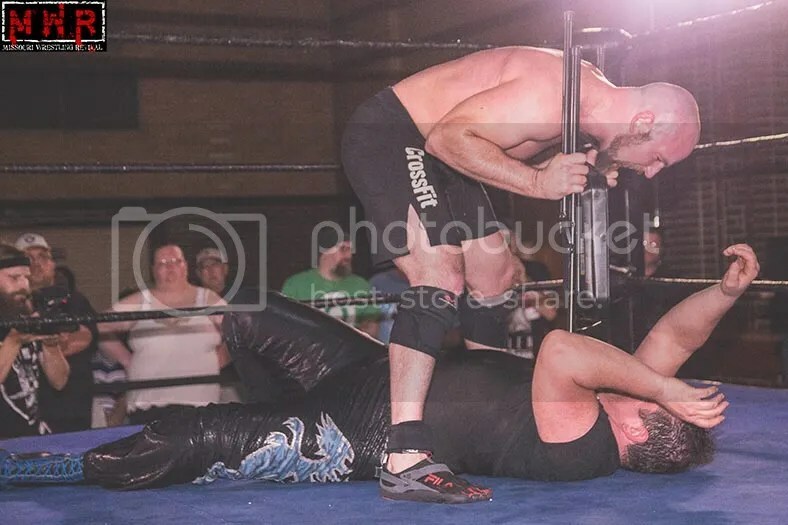 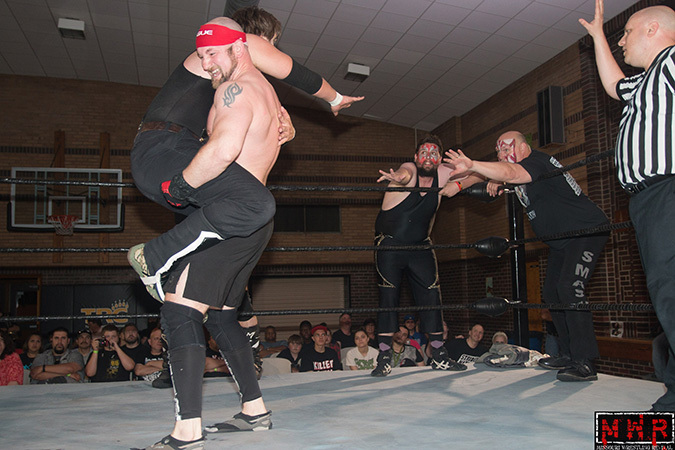 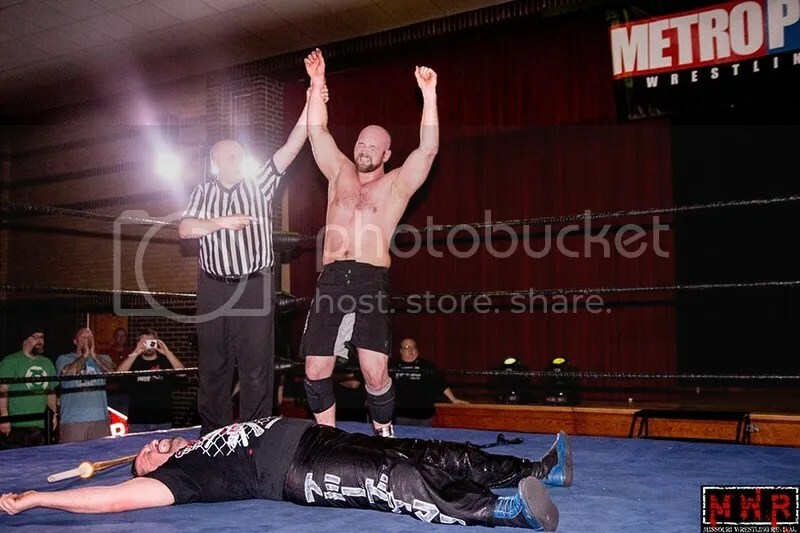 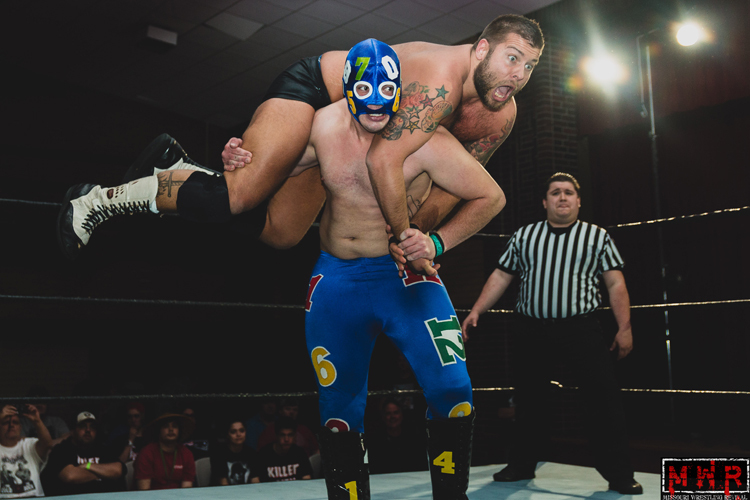 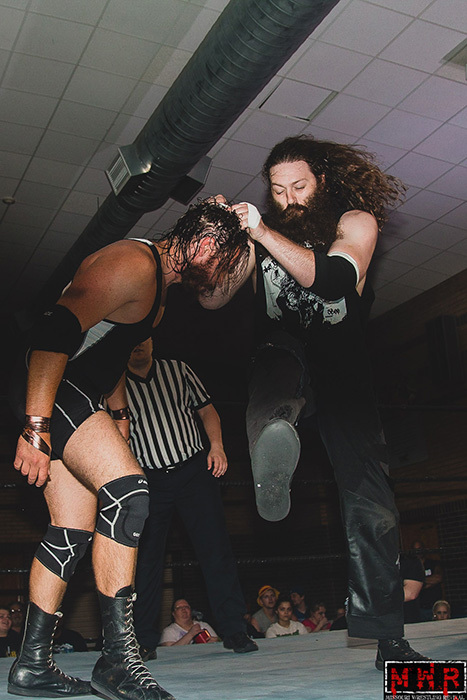 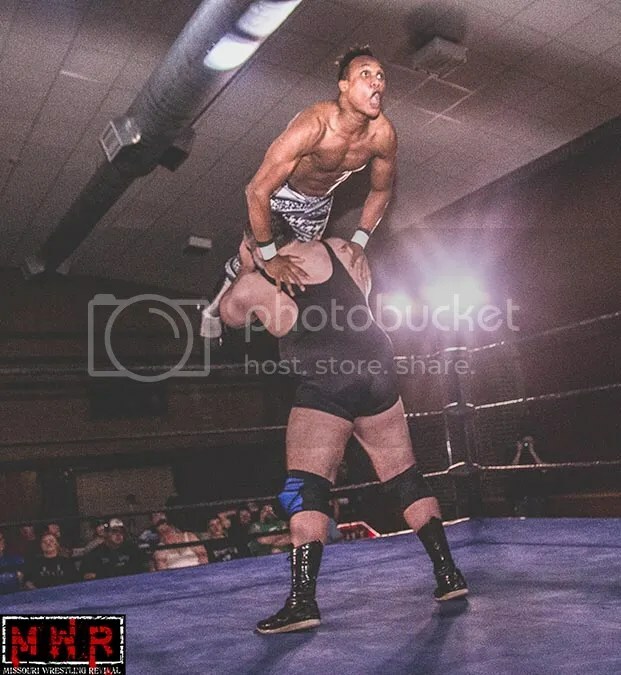 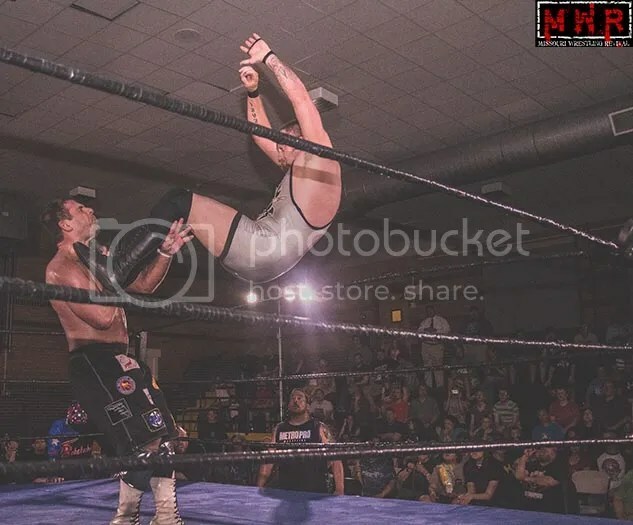 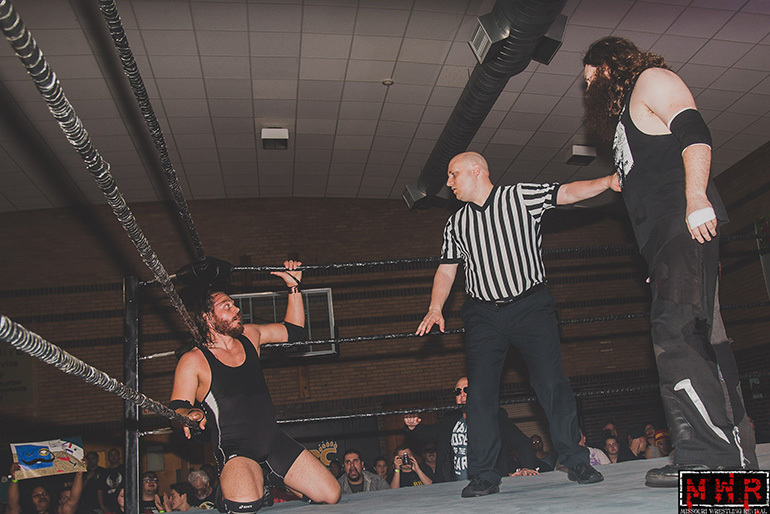 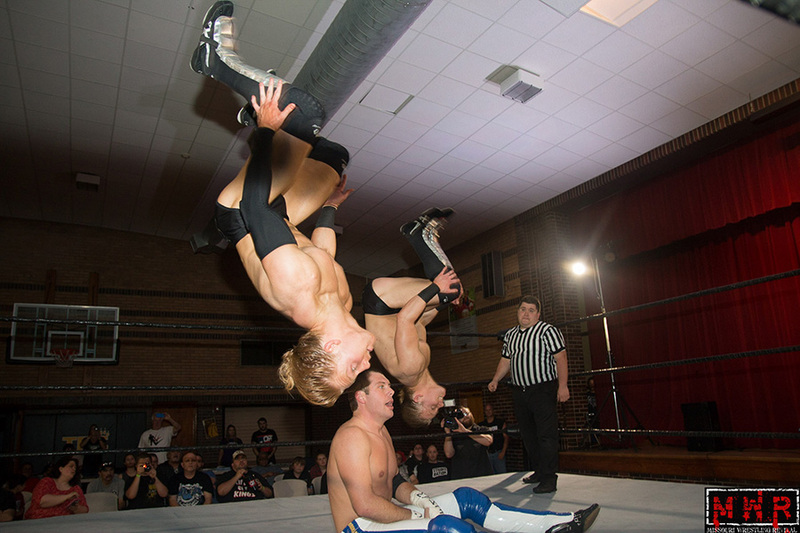 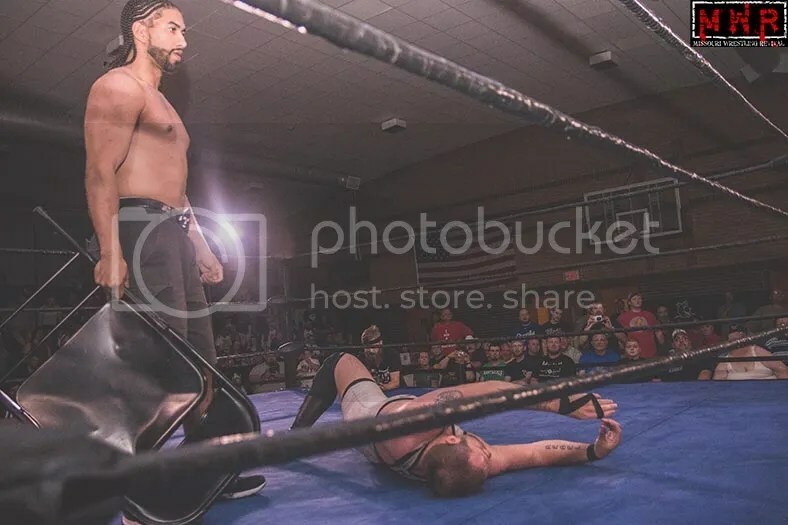 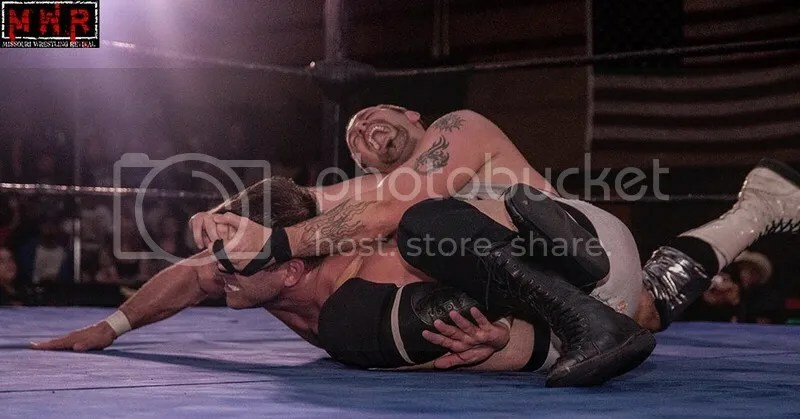 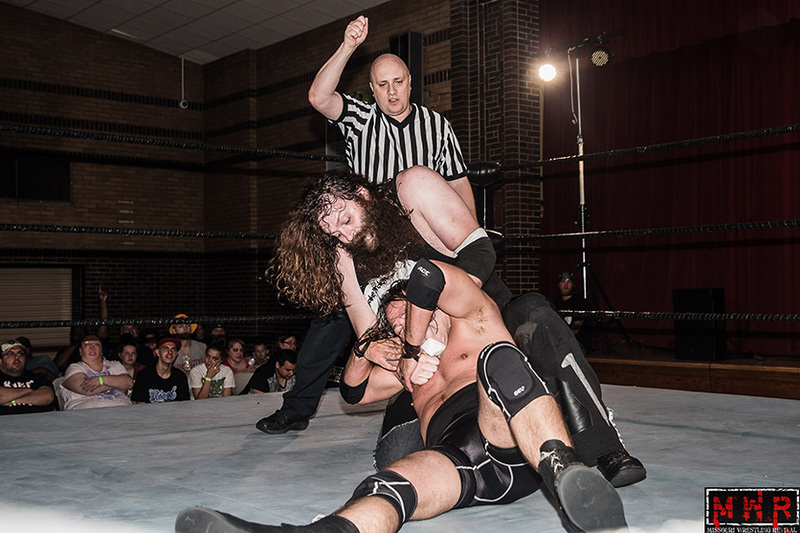 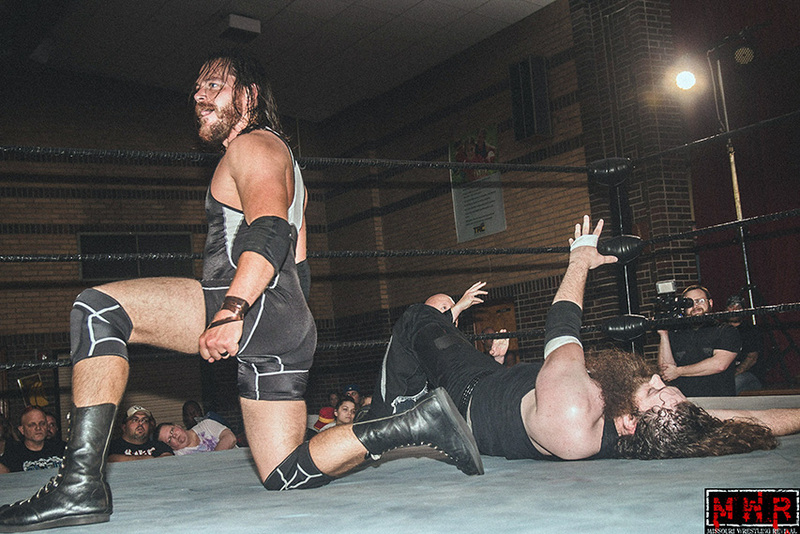 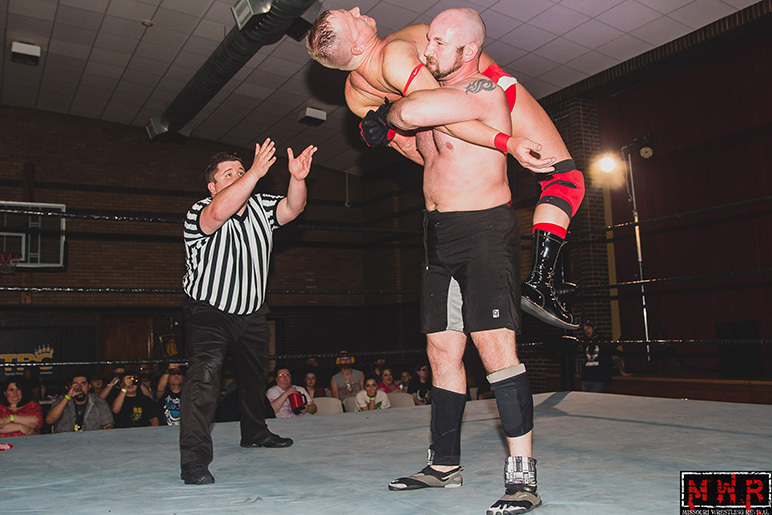 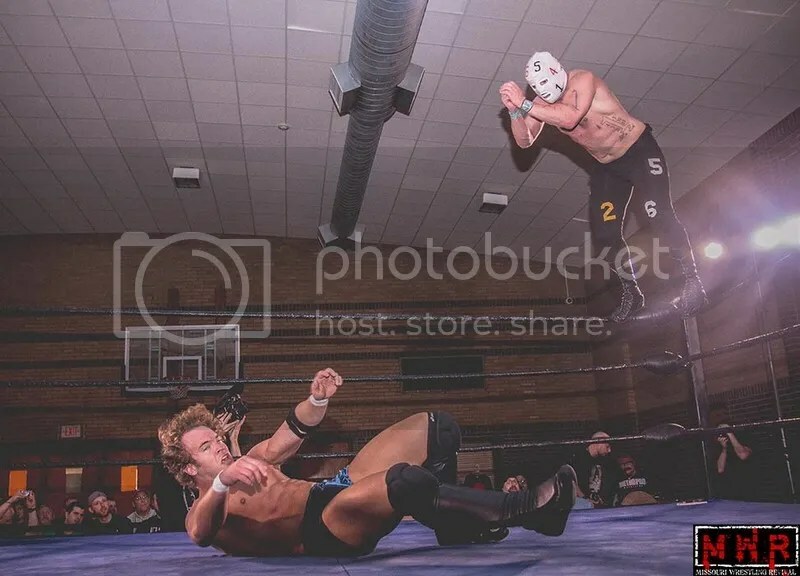 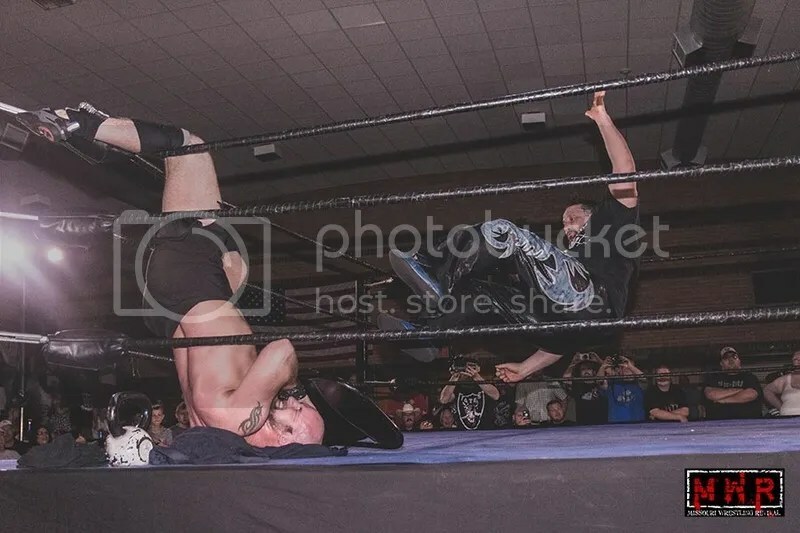 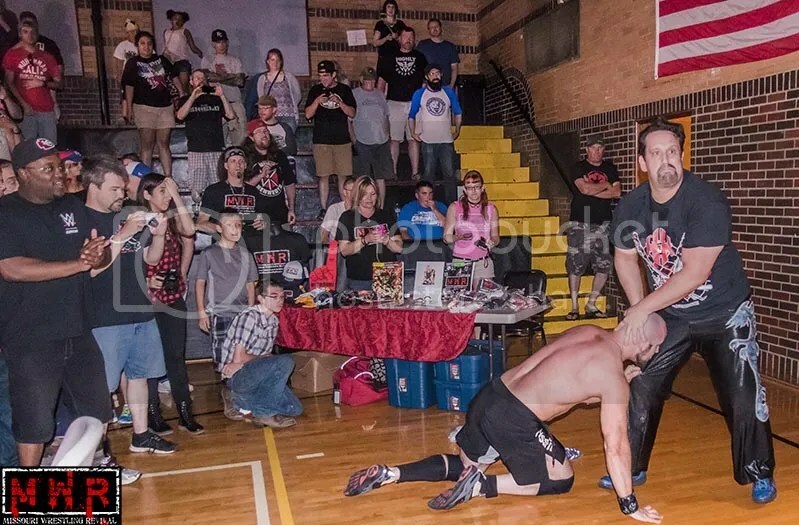 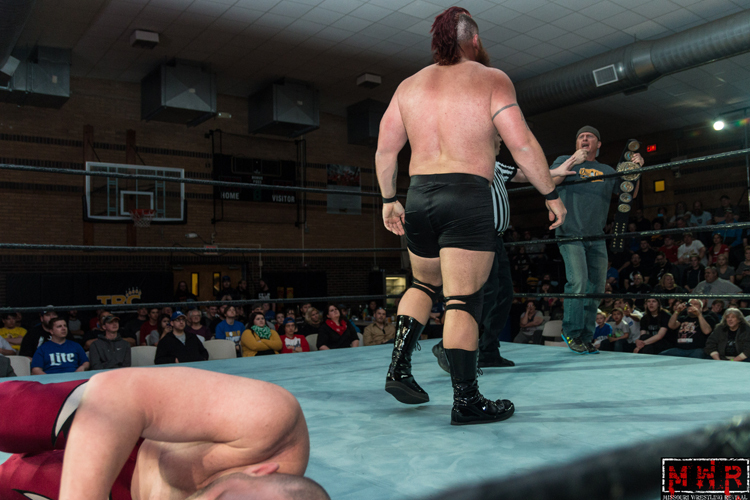 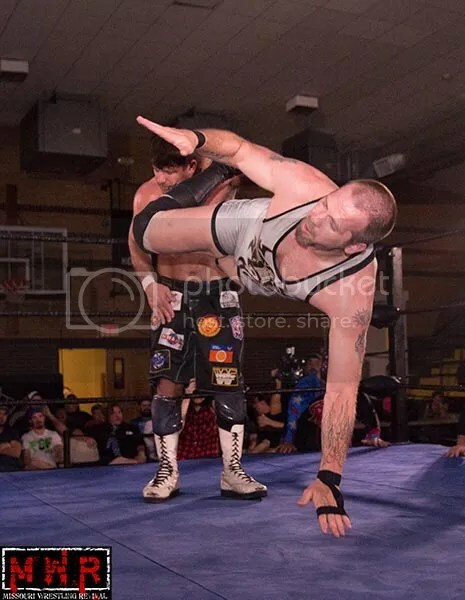 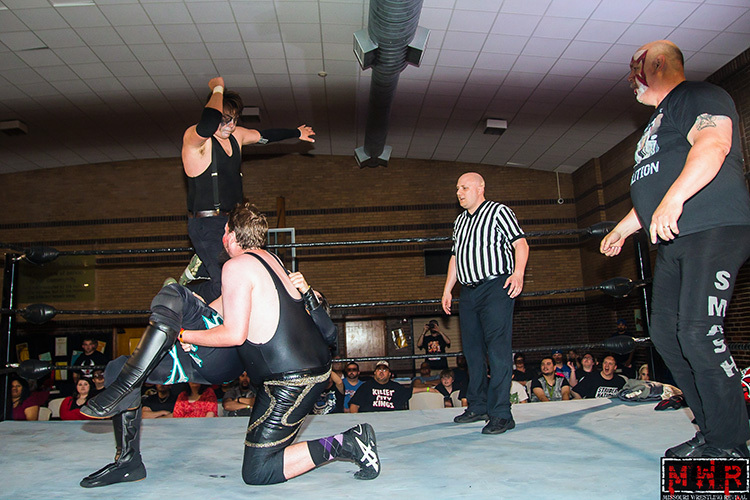 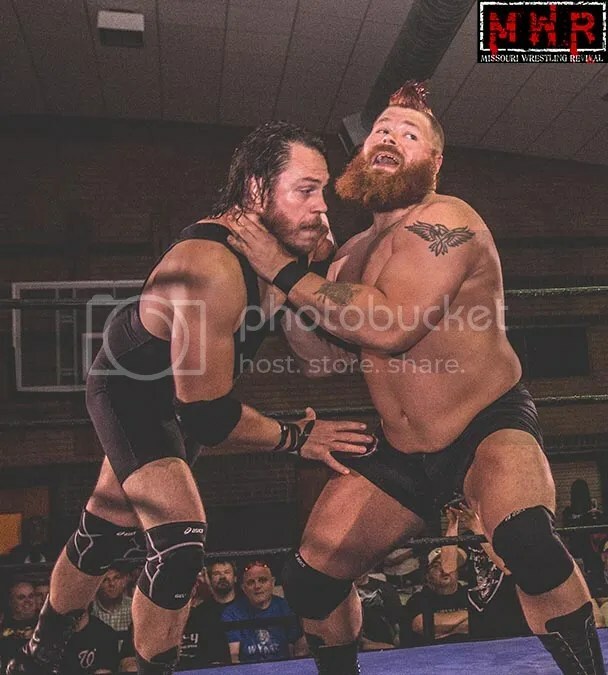 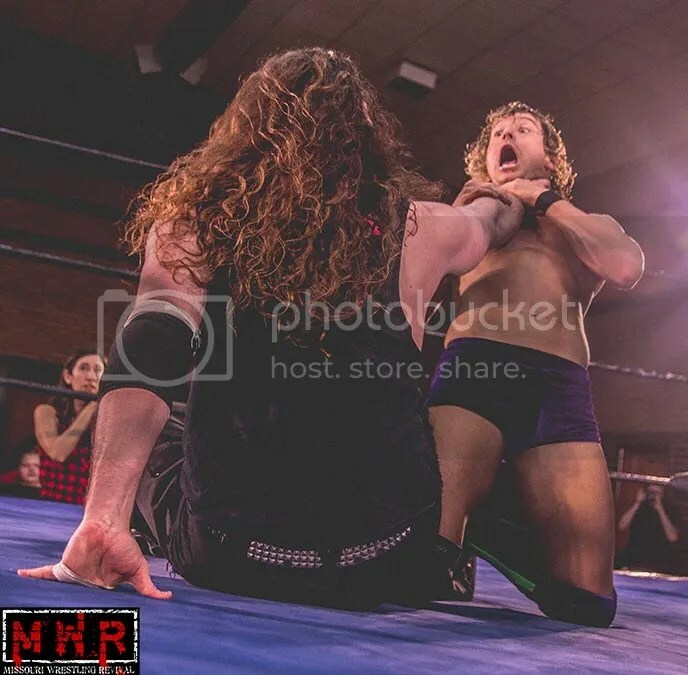 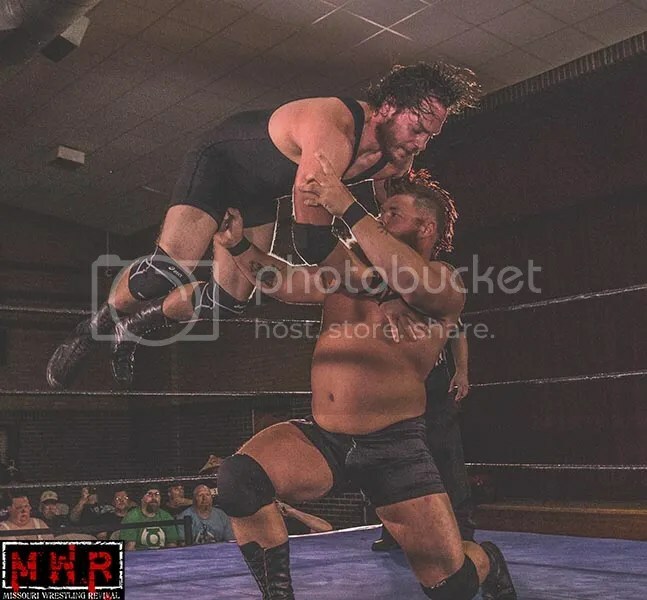 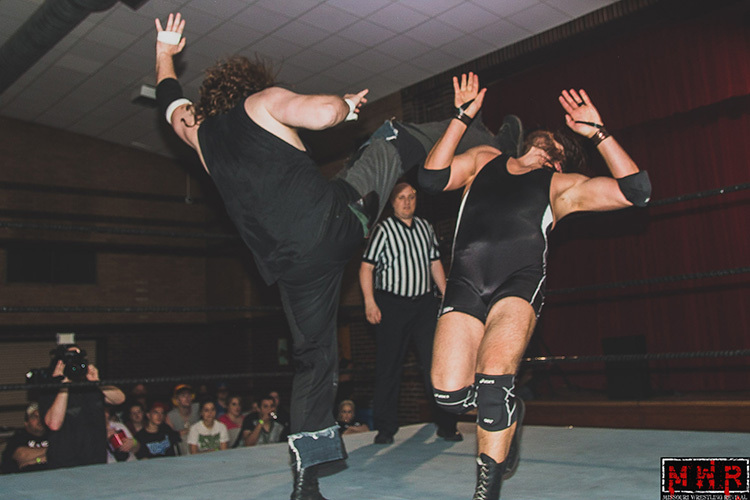 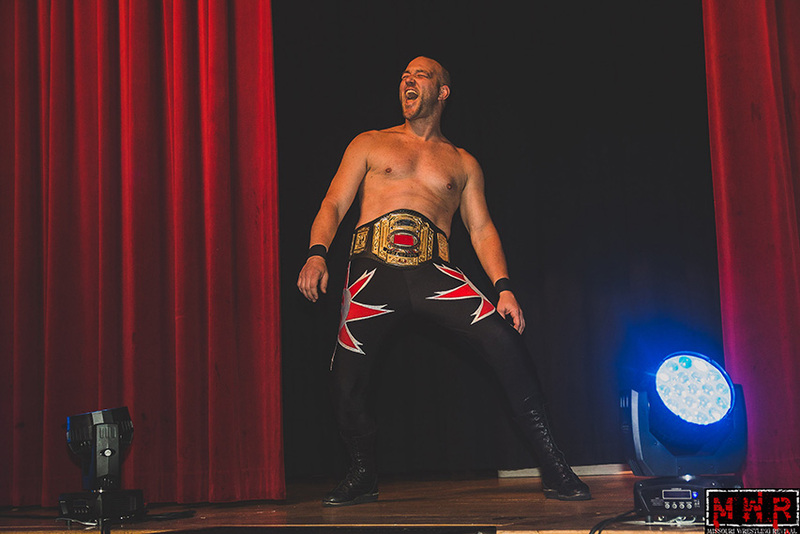 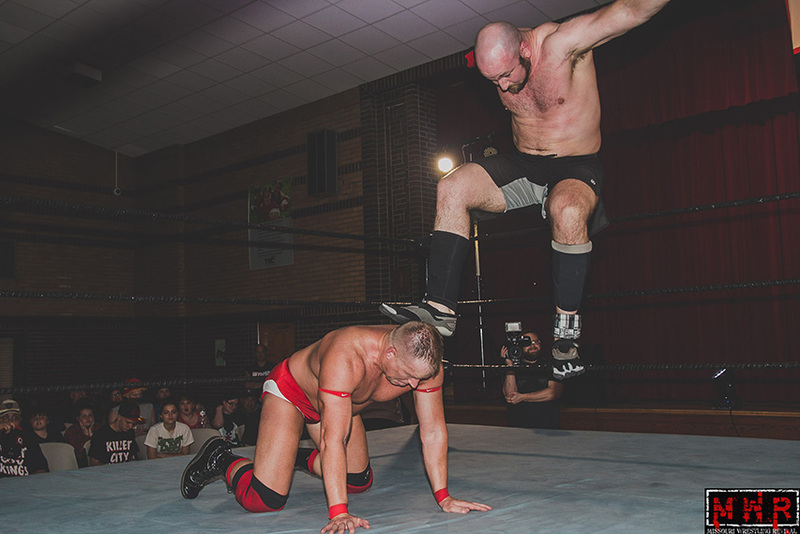 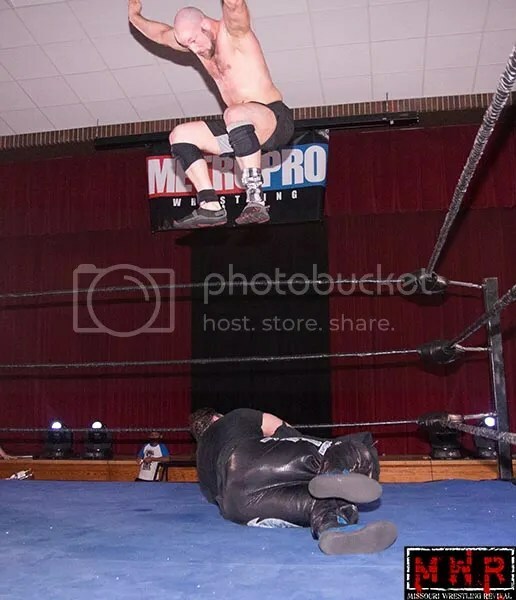 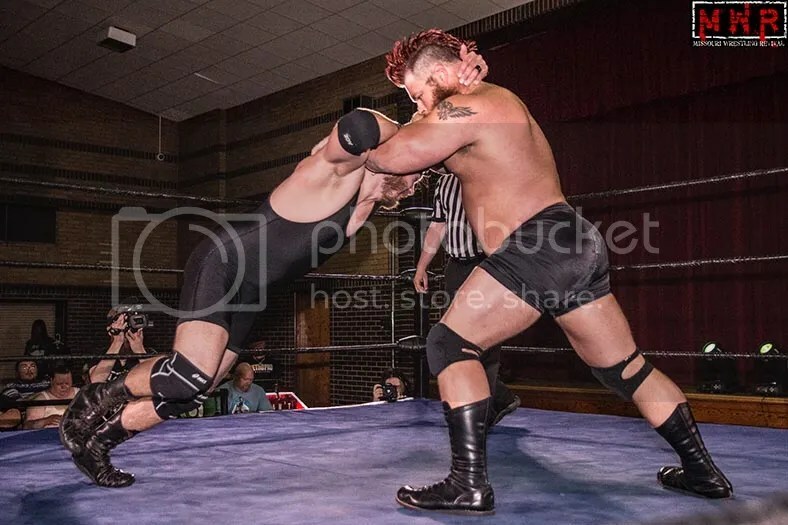 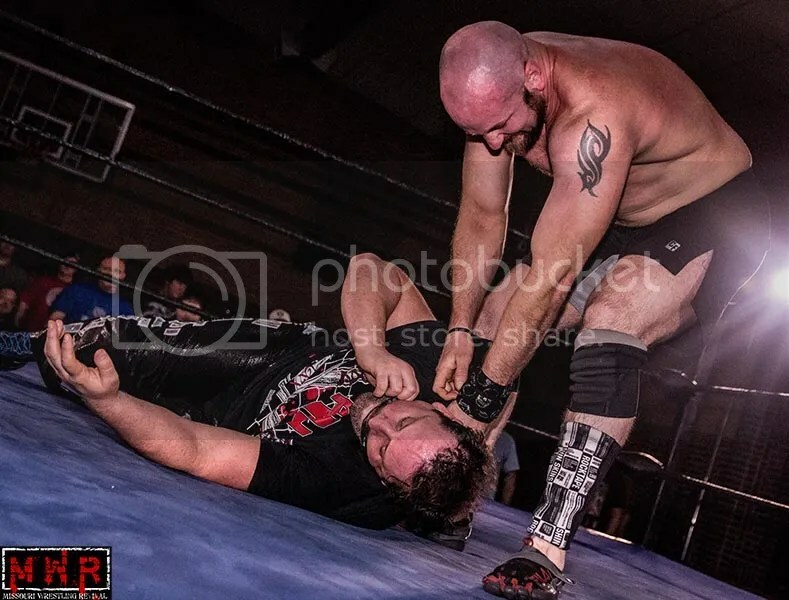 Homegrown talent and former WWE Superstar Trevor Murdoch lead the way at the start by defeating Michael Strider for the TV title at Memorial Hall. 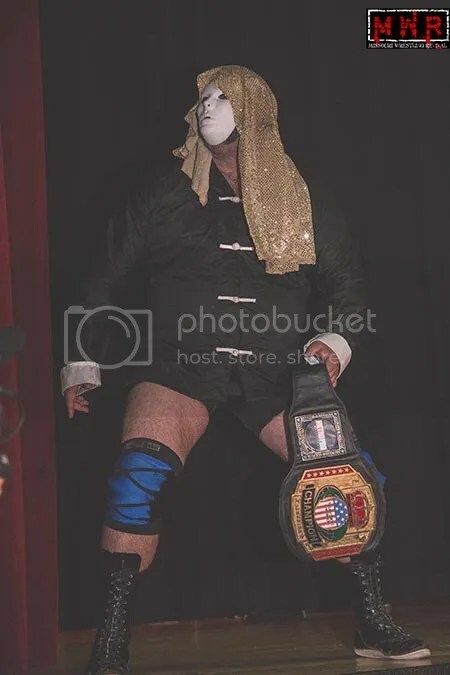 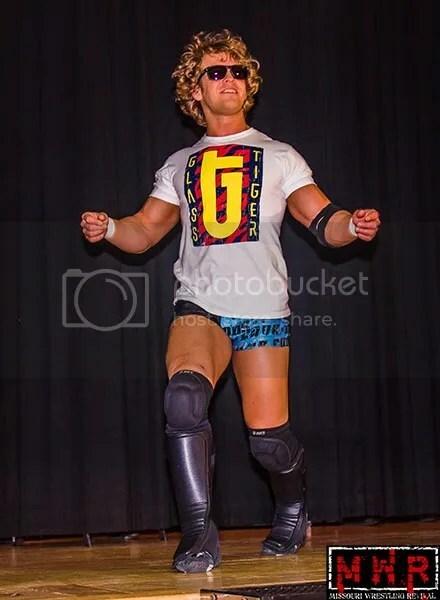 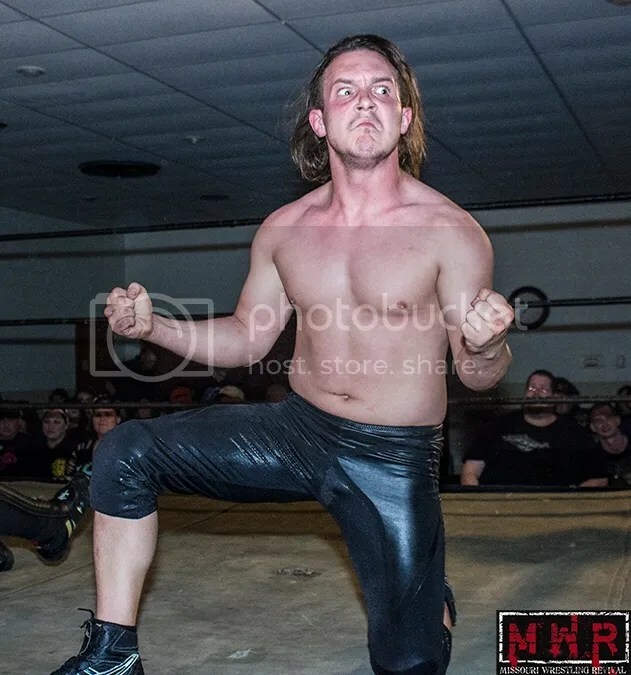 Striders historic road to the championship, as well as his feud with Derek Stone that led to a Ric Flair eques retirement that told a story that touch the hearts of the MPW faithful. 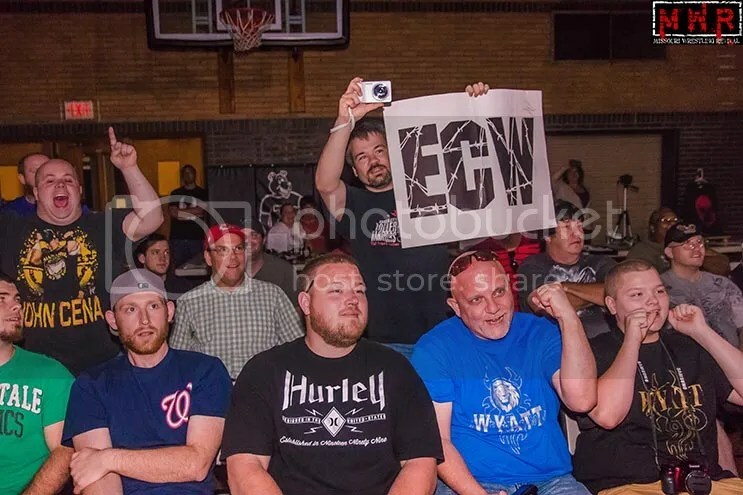 In the past, Kansas City grew to love Race, Bob Geigle, Bulldog Bob Brown, Rufus R Jones, but todays fans will tell their kids about the great matches of Jeremy Wyatt, Bull Schmitt, Mark Sterling, Mike Sydal, the Iceman, Kobra Kai Dojo, ACH, and Showtime Bradly Charles that they saw live in action at the Turner Rec Center . 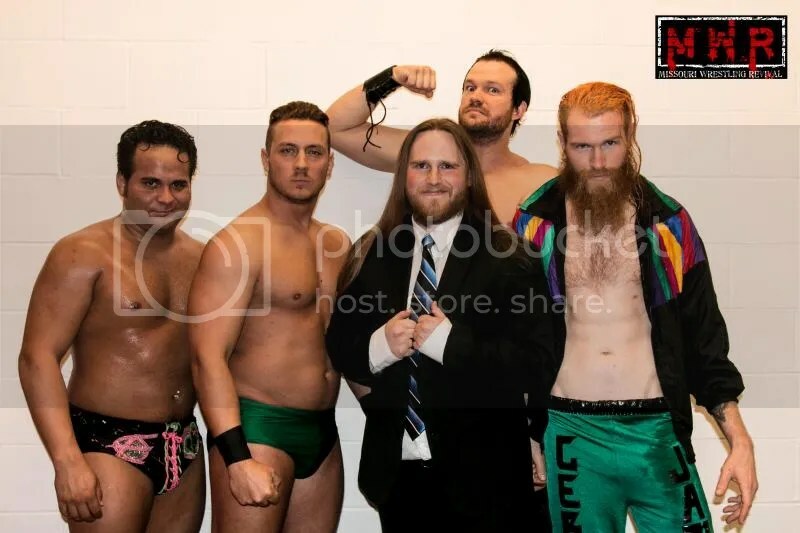 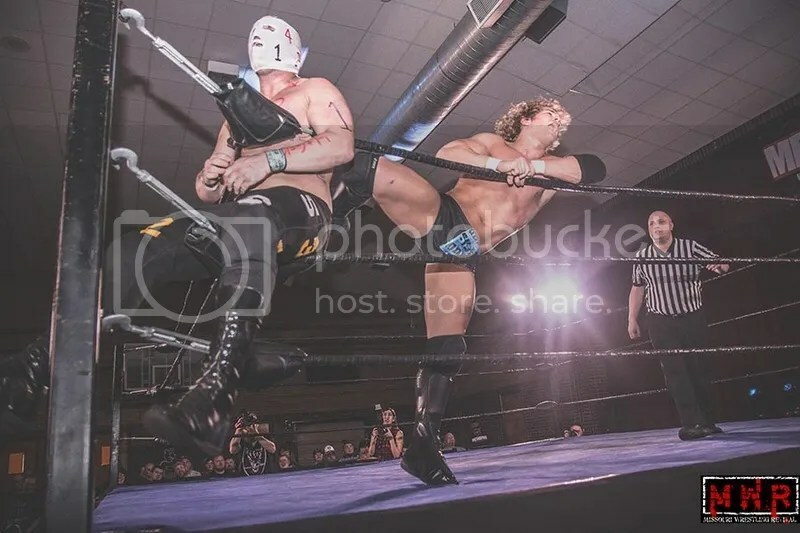 Though the promotion celebrated their five year existence on June 6th, there is no doubt that the future of MPW promises to bring even more thrills and memories for years to come. 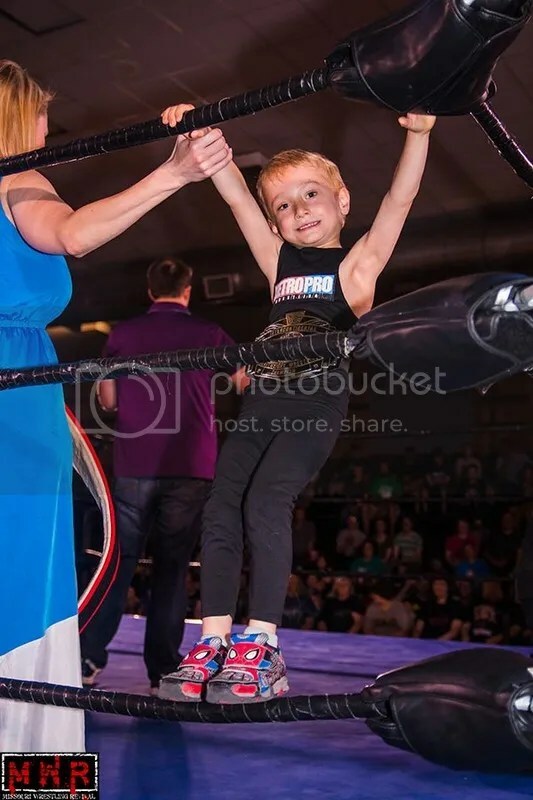 Strider runs for cover with Lucy Mendez. 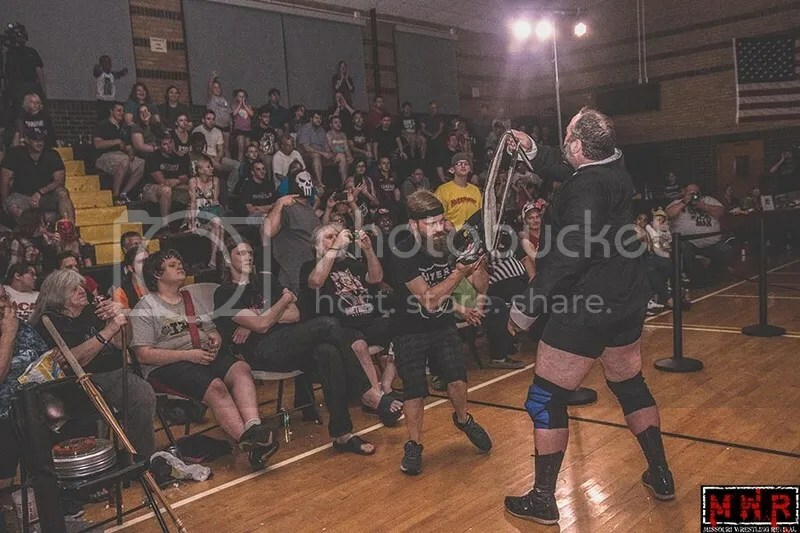 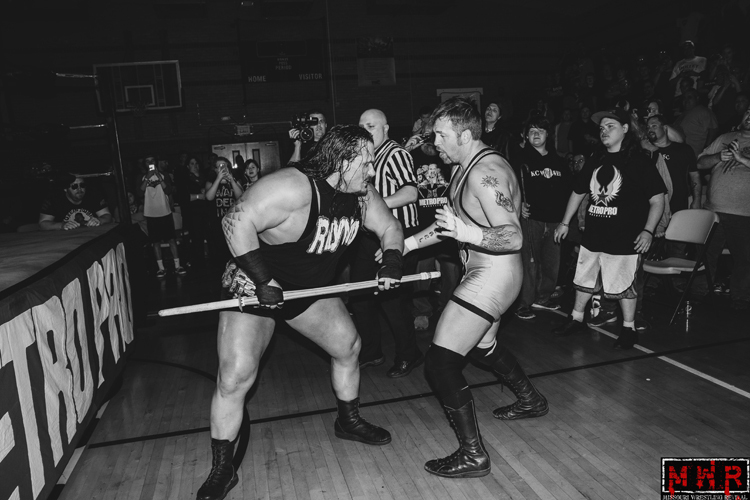 Fans never know what to expect at a Metro Pro Wrestling event, so with the announcement of a special guest formally from WWE hinted on their website, the fans flocked the Turner Rec Center early. 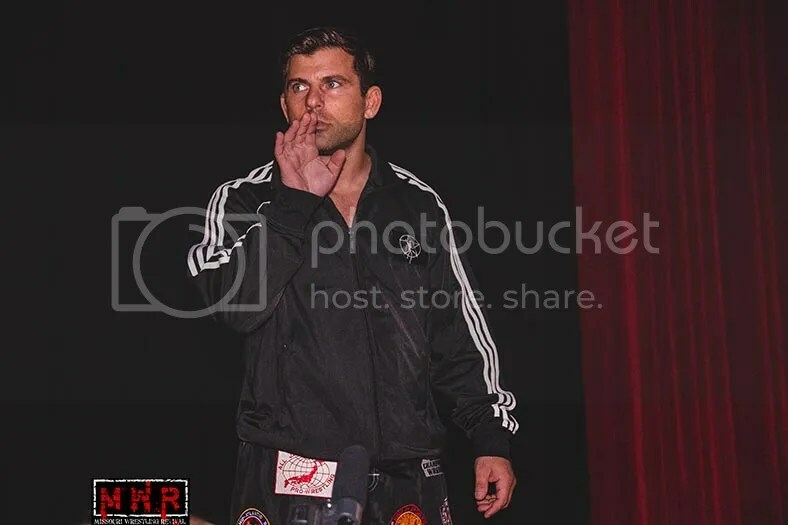 With a buzz in the air it was announced that the special guest interviewer formally of WWE was Lucha Underground’s Michael Striker. 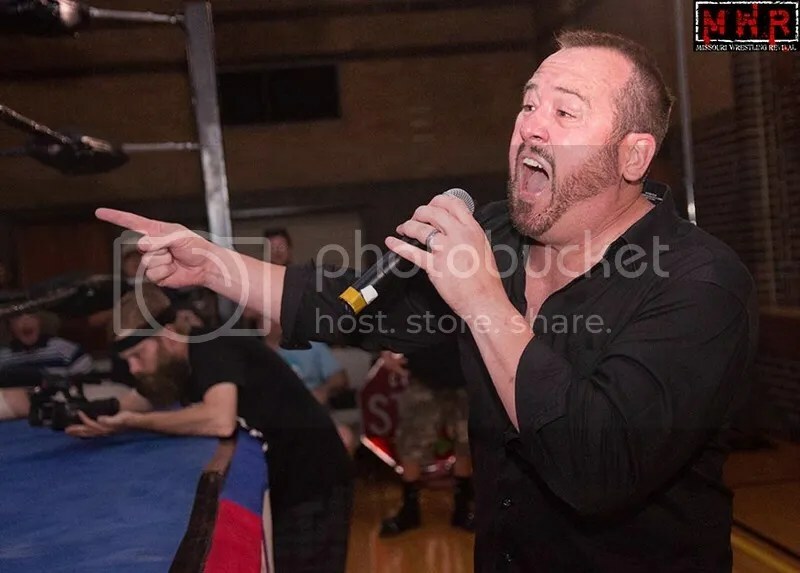 Fans can catch wrestler, now color commentator Michael Striker each and every week on the El Ray Network along side wrestling legend Vampiro. 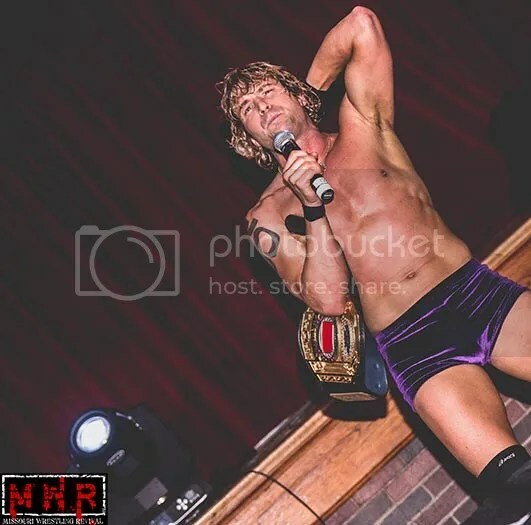 It could have been an easy payday for Striker to come to MPW and sign some autographs as he is a wrestling star seen on TV every week. 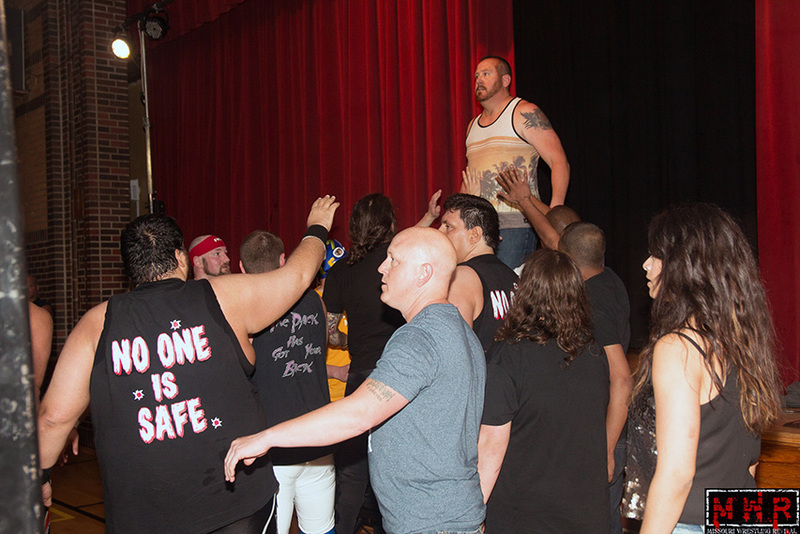 But Michael Strider, who is now the MPW commissioner, has been on a quest to remove Jeremy Wyatt by proclaiming the next match that Wyatt loses will be his last at MPW shocked everyone in attendance when he enlisted Striker to challenge Wyatt if he was able to defeat Ricky Cruz at the beginning of the night. 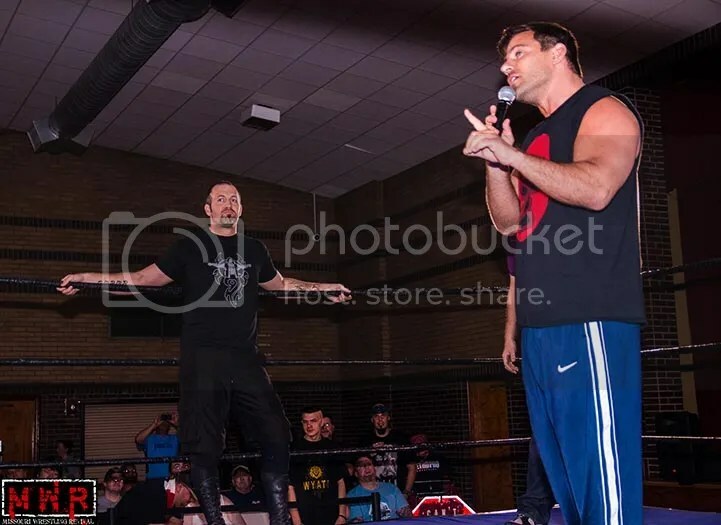 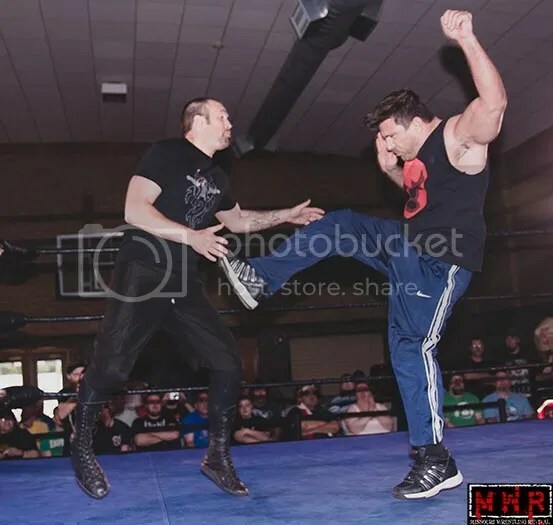 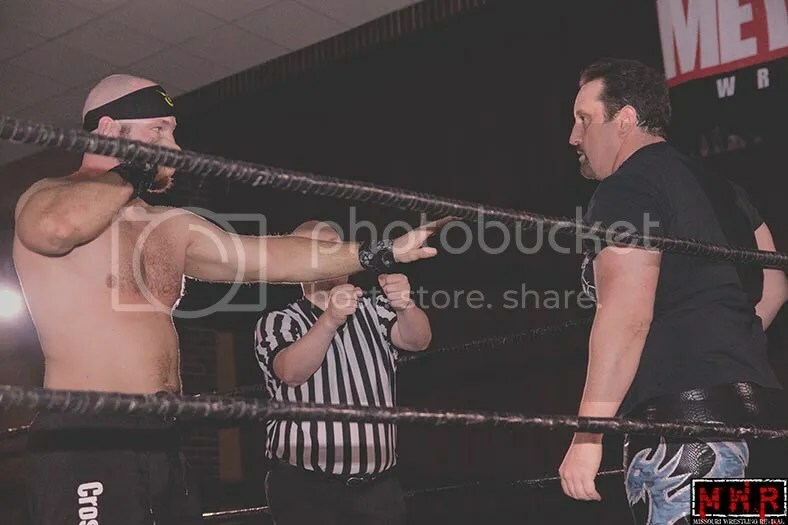 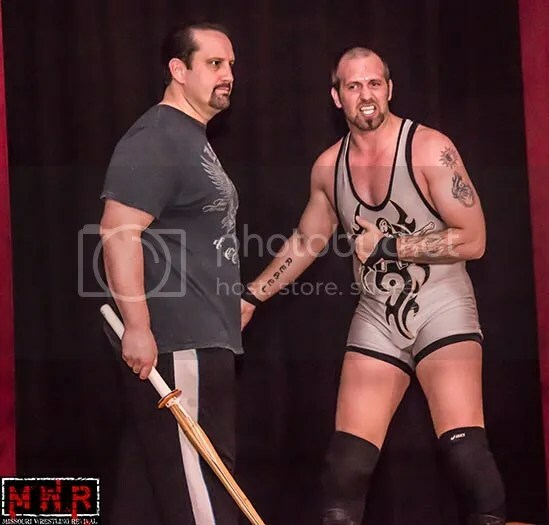 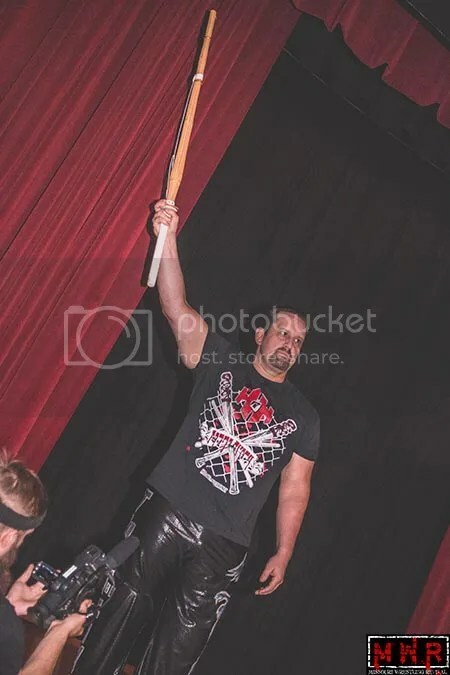 The evenings main event would also be the return of ECW Legend Tommy Dreamer going to war in a NO-DQ match with the Worlds Fittest Wrestler, Mark Sterling. 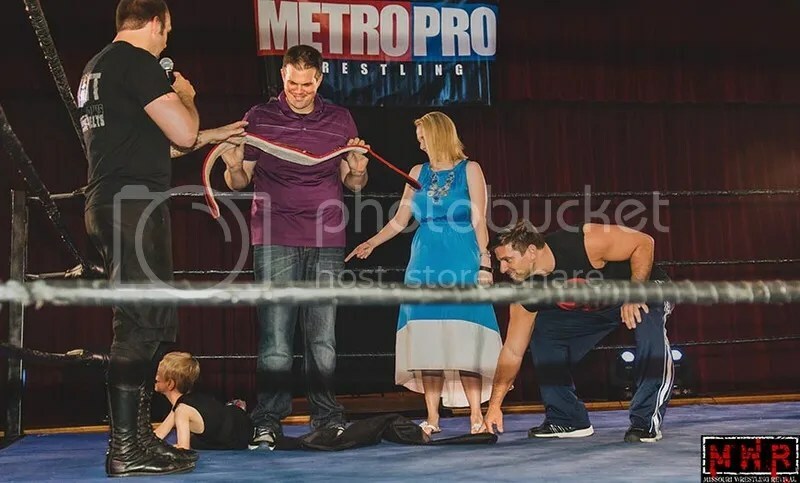 Before we take a moment to check out the highlights of another exciting night of action of Metro Pro Wrestling, let me extended an invitation to you to become part of the MPW family on August the 8TH when they begin their march for five more years of action that you will not want to miss. 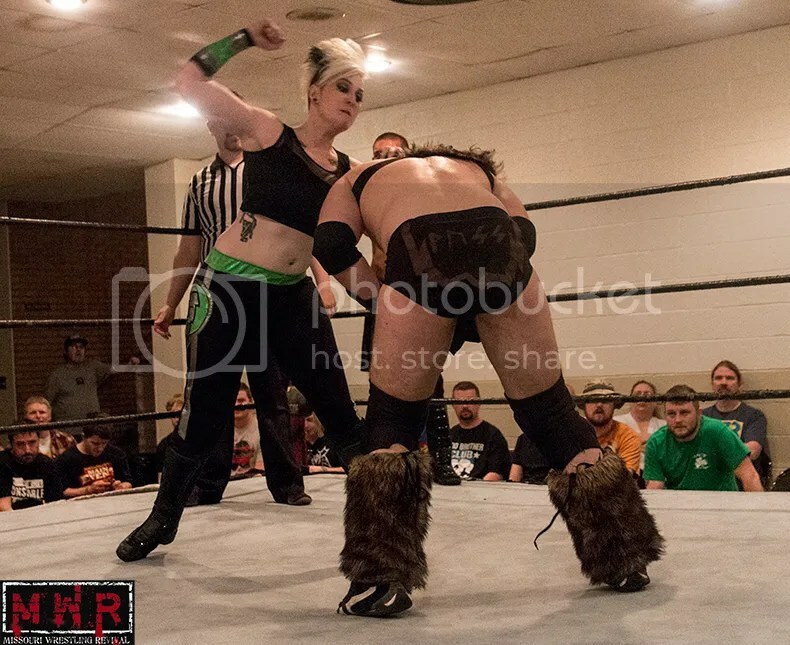 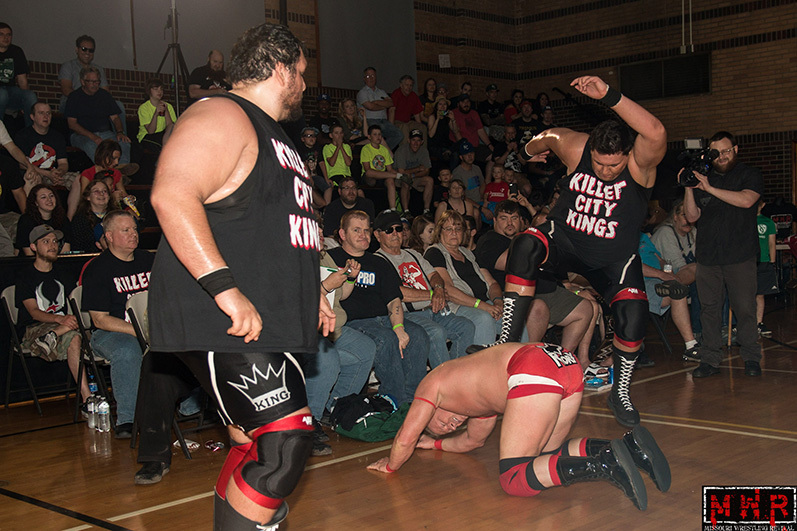 One mistake is all it took for the KC Wolves to get the win in the dark match. 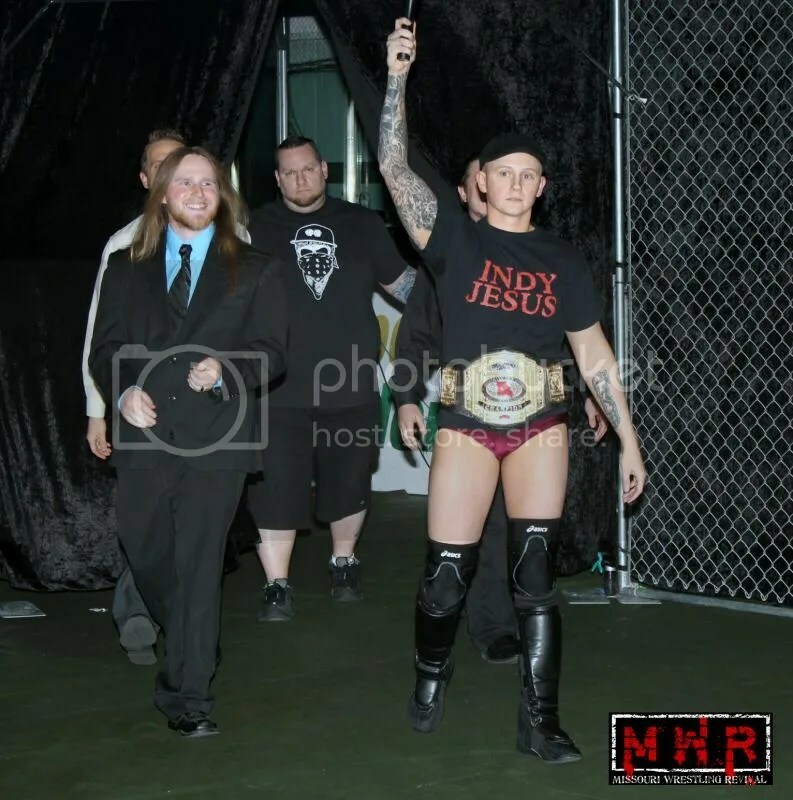 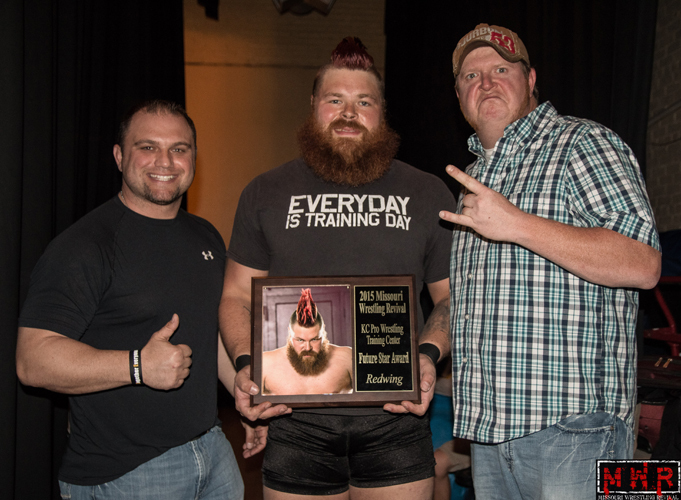 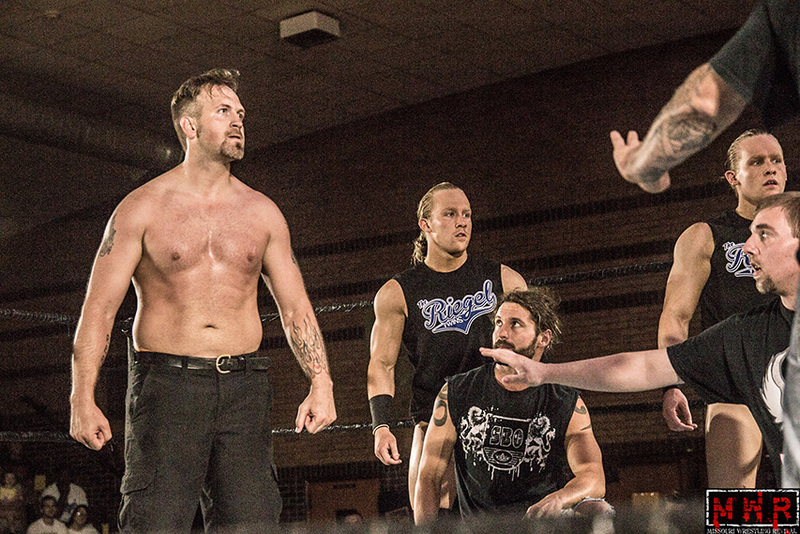 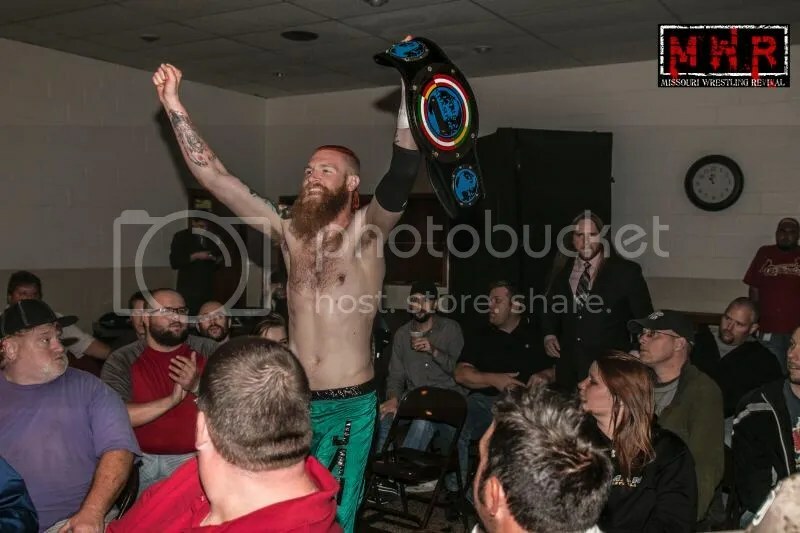 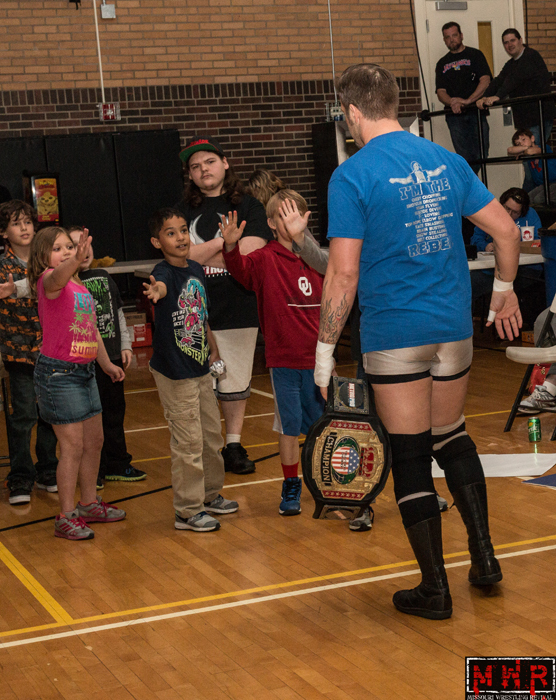 – Dark Match: KC Wolves defeated Mike Outlaw/Keith Smith Jr.
Chris Gough and his family was presented with a belt celebrating the past 5 years. 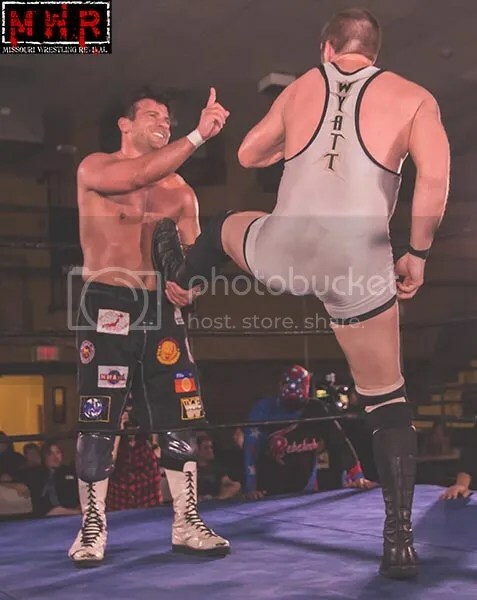 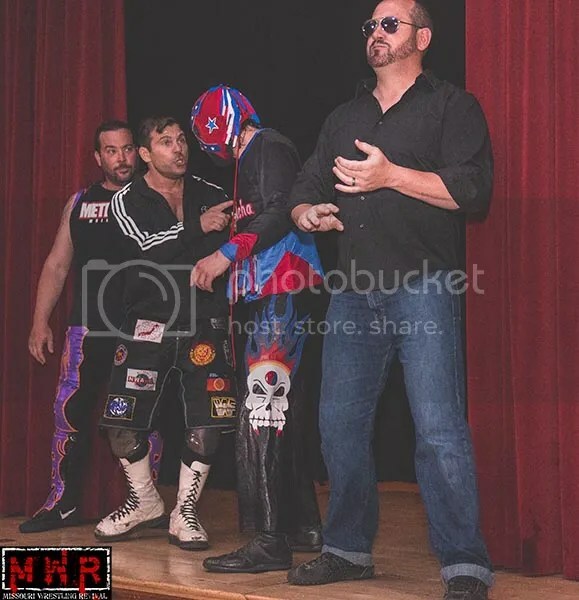 The calm before the storm as Matt Striker plays around with as Jeremy Wyatt thanks the MPW Promoter Chris Gough and his family for their hard work and sacrifices from the MPW Locker room. 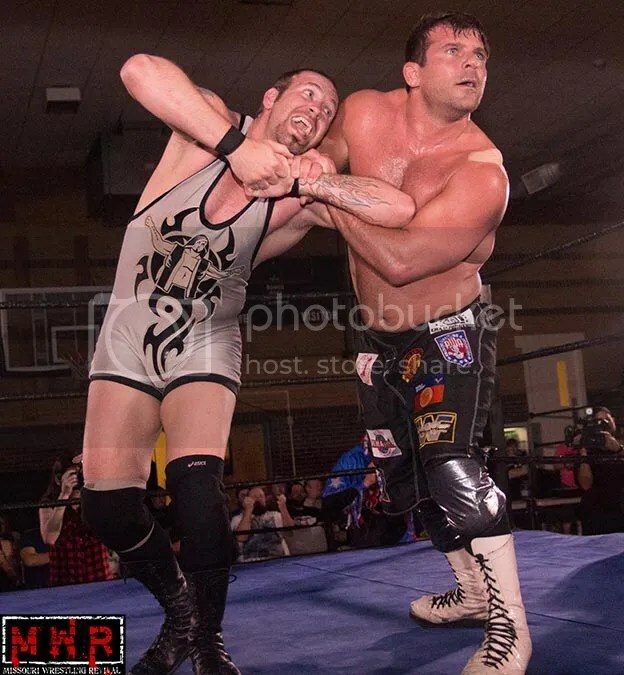 Matt Striker welcomes the MPW crowd to another exciting night of action. 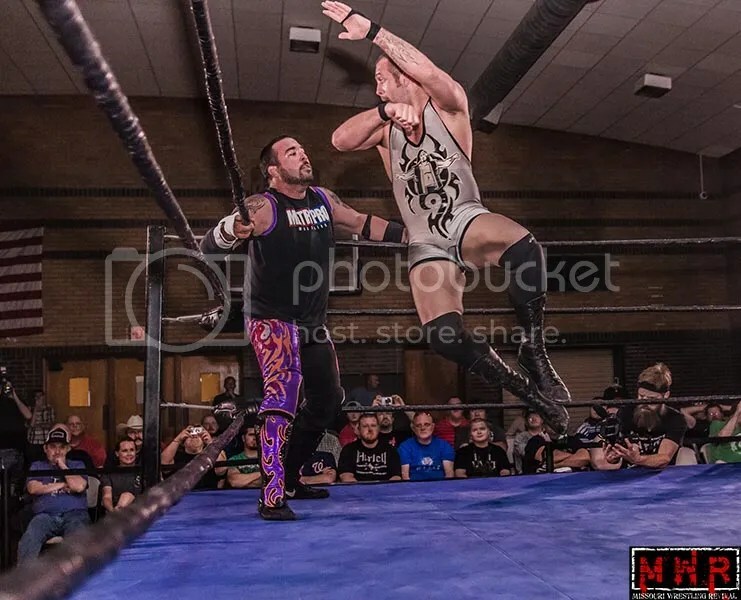 Striker sends a message that if Wyatt is able to get pass Ricky Cruz that same night then he will have to face the former WWE Superstar. 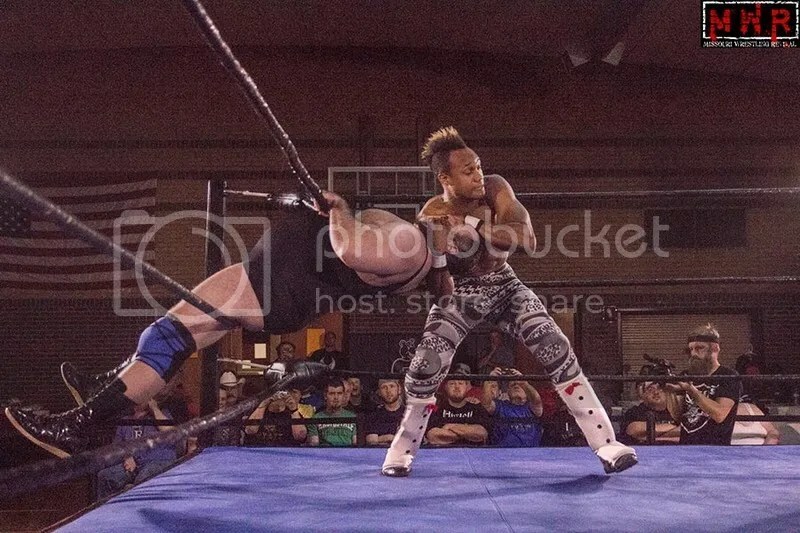 Out of the way just in time. 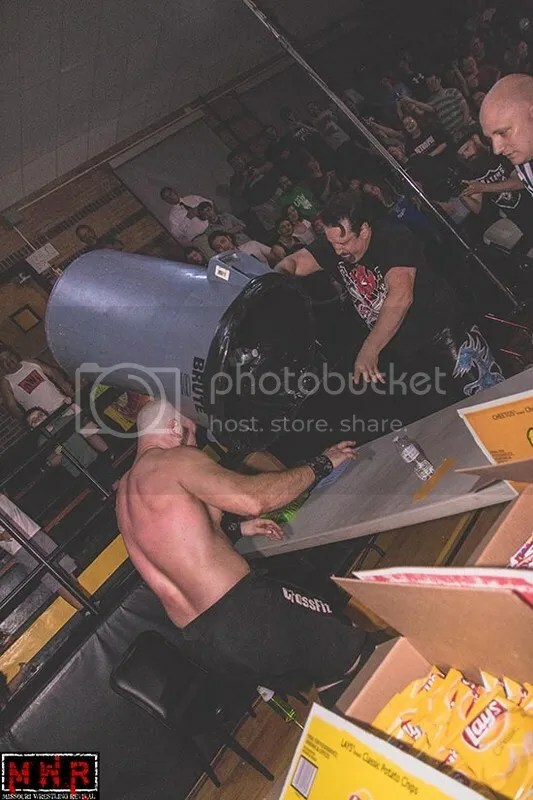 The Math Magician in deep trouble in the corner. 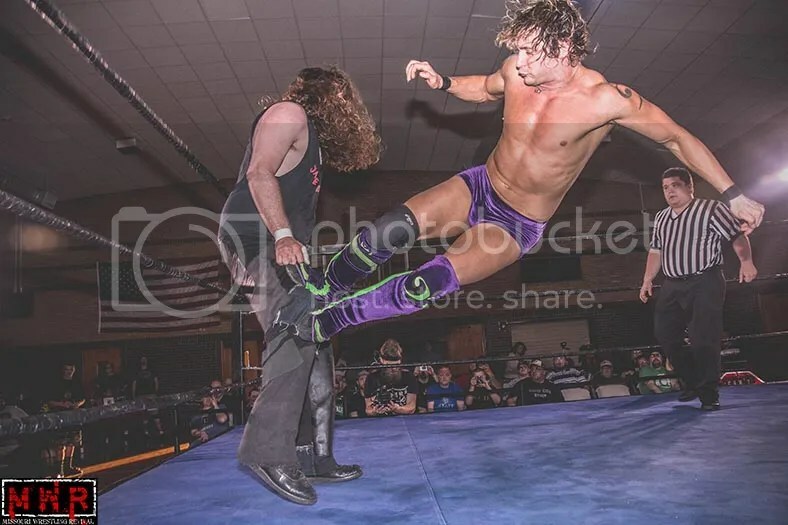 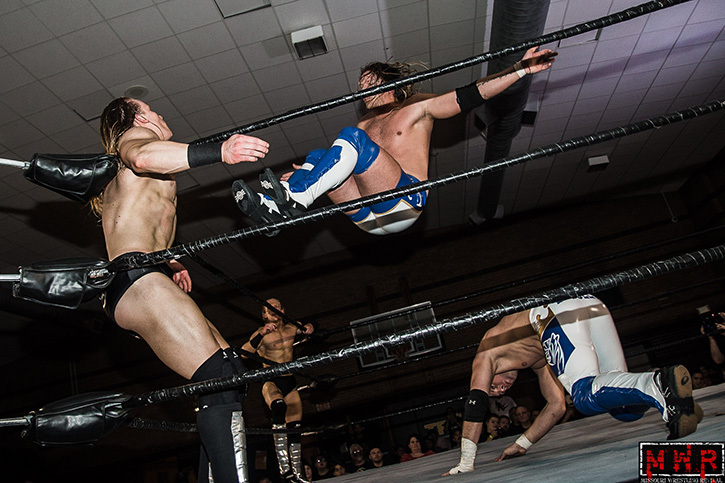 Sydal works the legs of Jake Dirden. 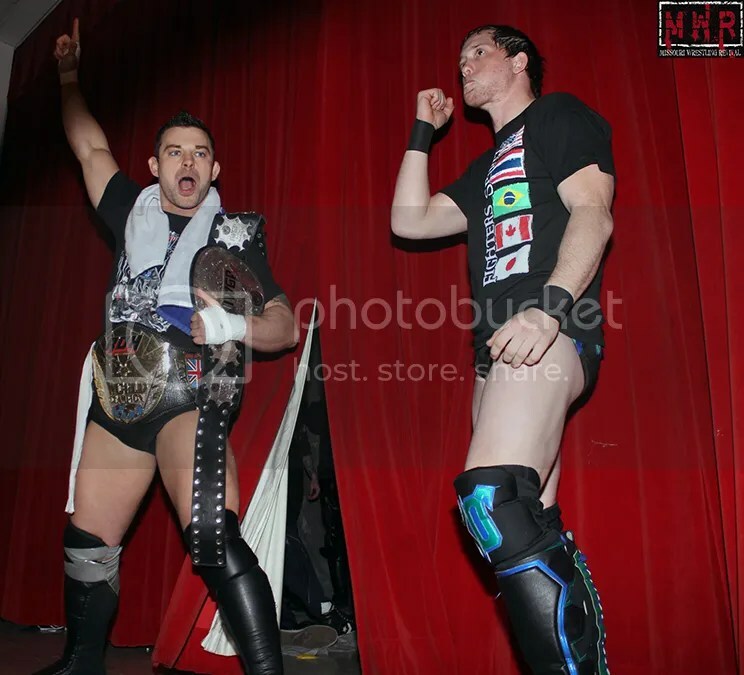 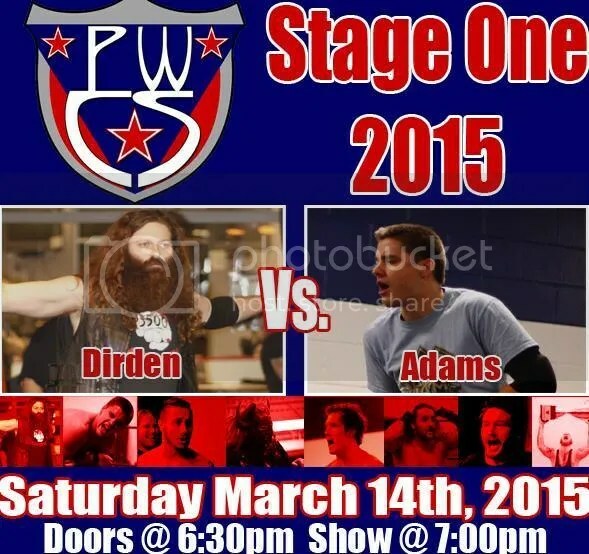 Sydal finds himself in the power gripe of Jake Dirden. 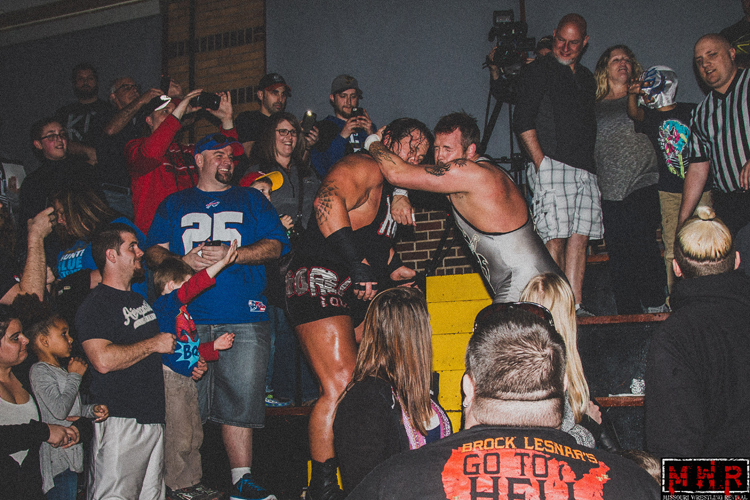 The good guys with a little help from the fans. 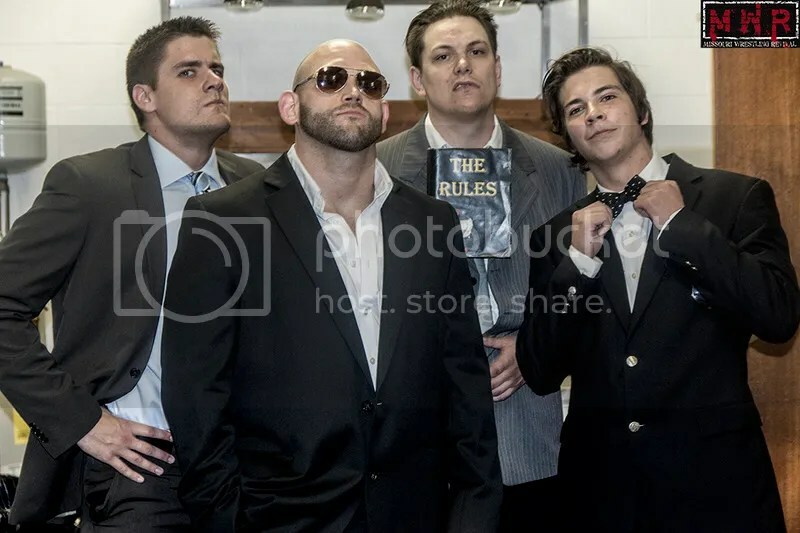 Davey Vega in the hands of the former MWR Tag Team of the Year, the American Bulldogs. 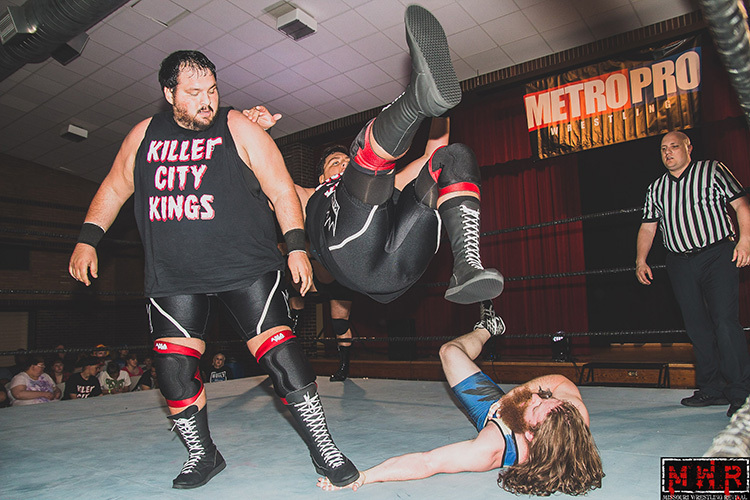 Gary Jay goes surfing on the Killer City Kings. 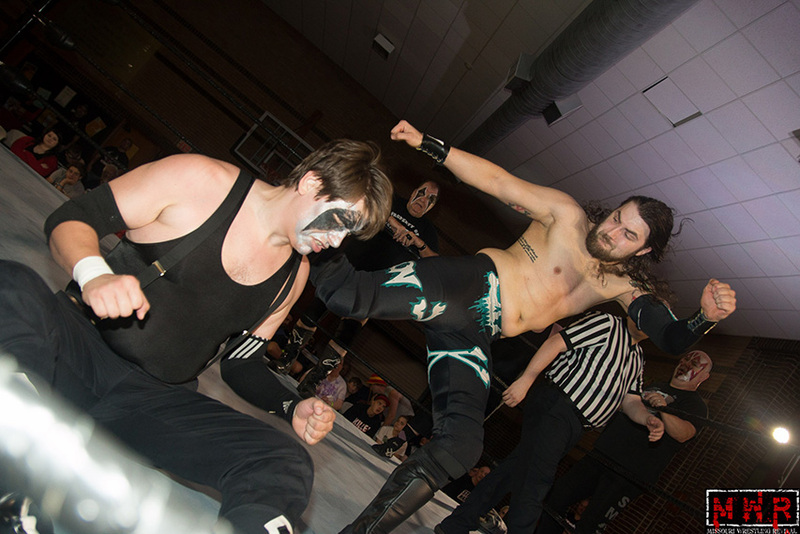 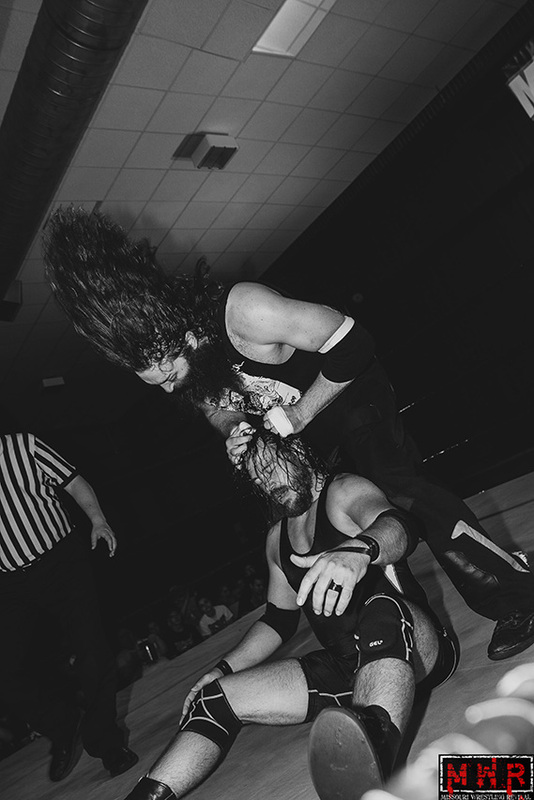 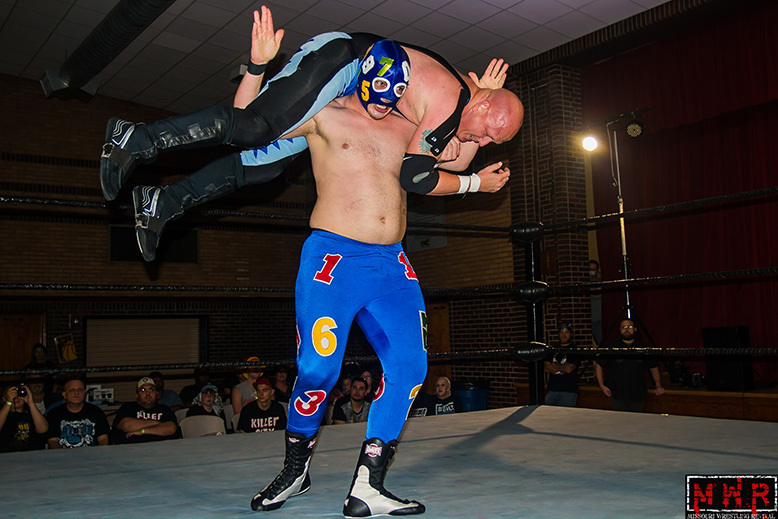 Jeremy Wyatt leans on the King of Chaos Ricky Cruz. 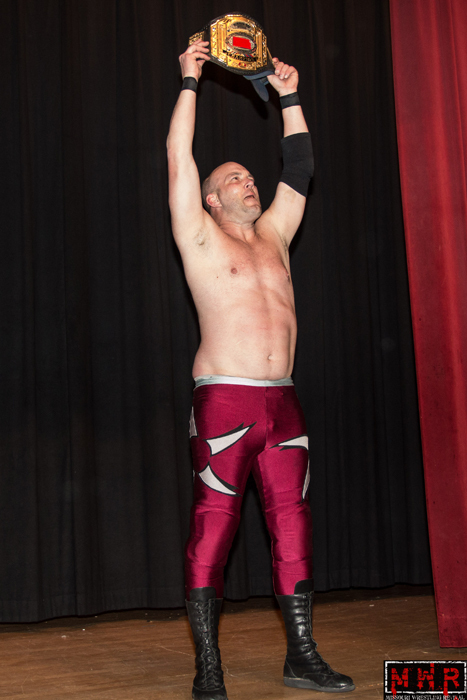 Metro Pro Wrestling Champion Derek Stone. 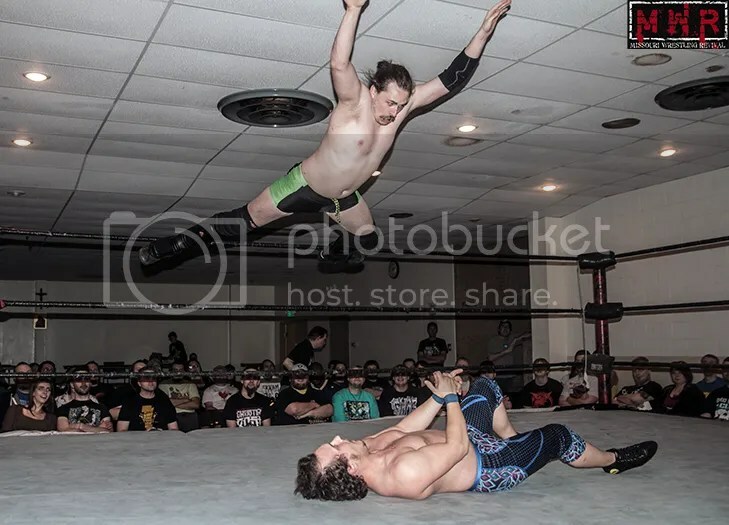 Bolt Brady goes for a ride. 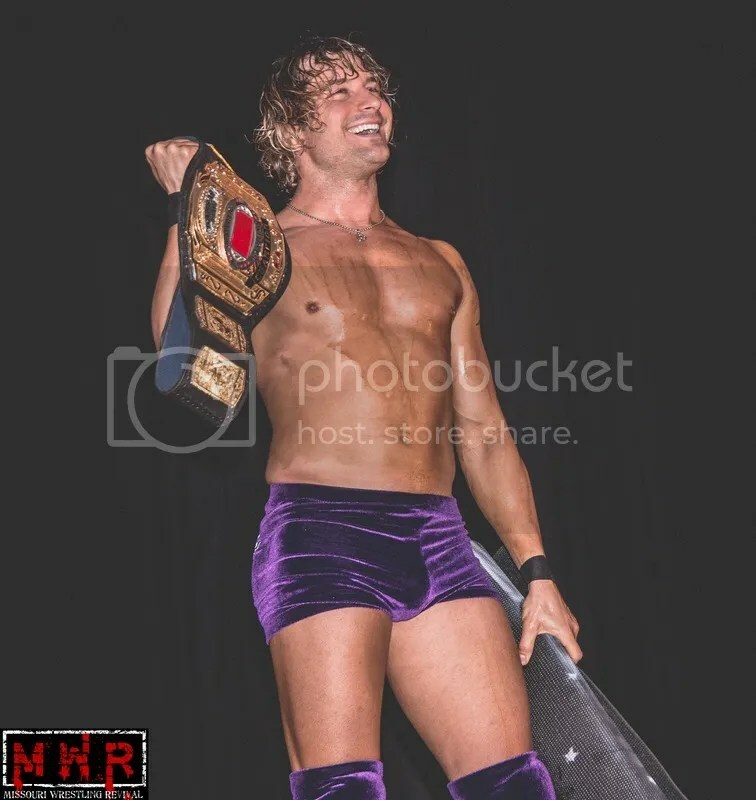 A huge win for the Worlds Fittest Wrestler under the bright lights at the Turner Rec Center. 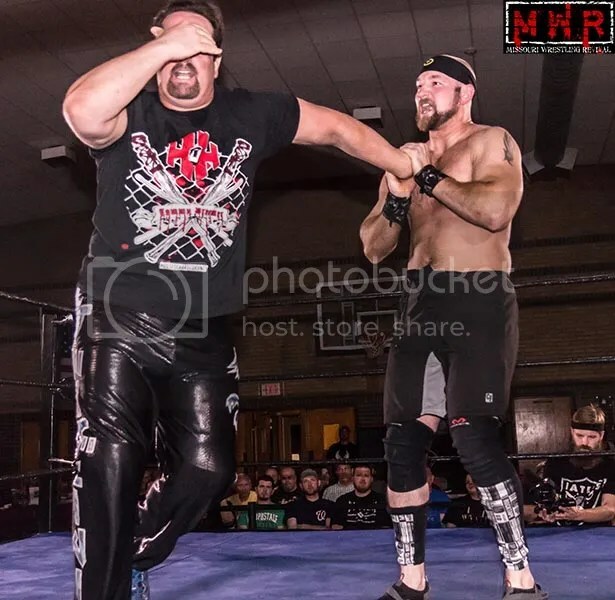 Tommy Dreamer lost to one of the best in the country Sterling on the fifth Anniversary, but thanks the MPW crowd for coming out for the historic night at the Turner Rec Center. 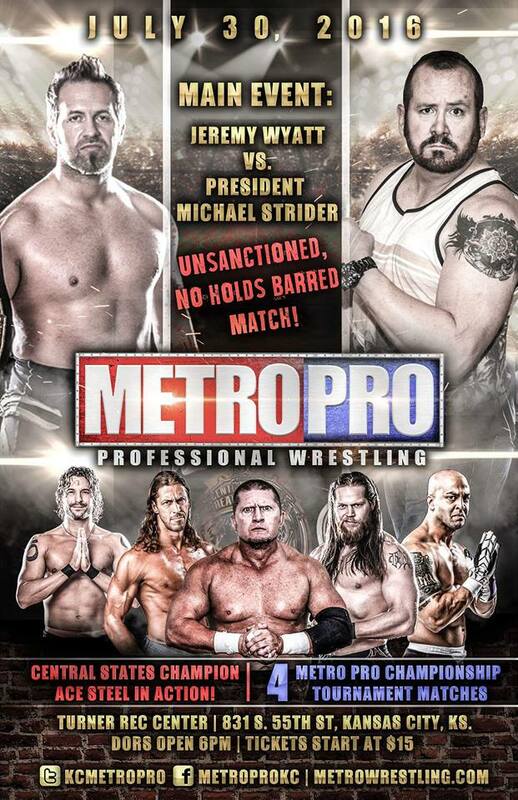 Metro Pro Wrestling returns to Turner Rec Center in Kansas City, KS, on Saturday, August 8, for our next event! 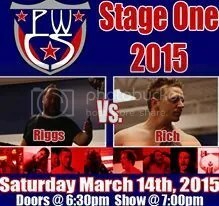 Doors open at 6:15 p.m. 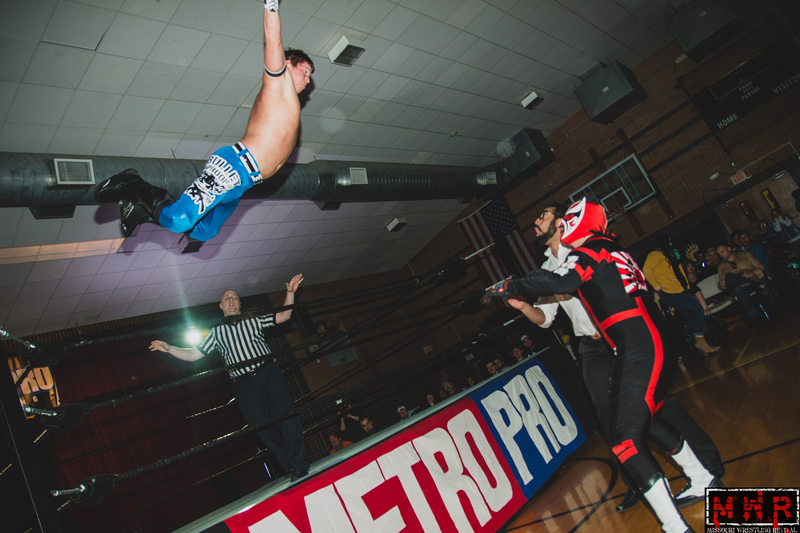 Event starts at 7 p.m.
– The 2015 Metro Proyale, which is a Royal Rumble-style match where the winner will get an immediate Metro Pro Championship match following his/her victory! 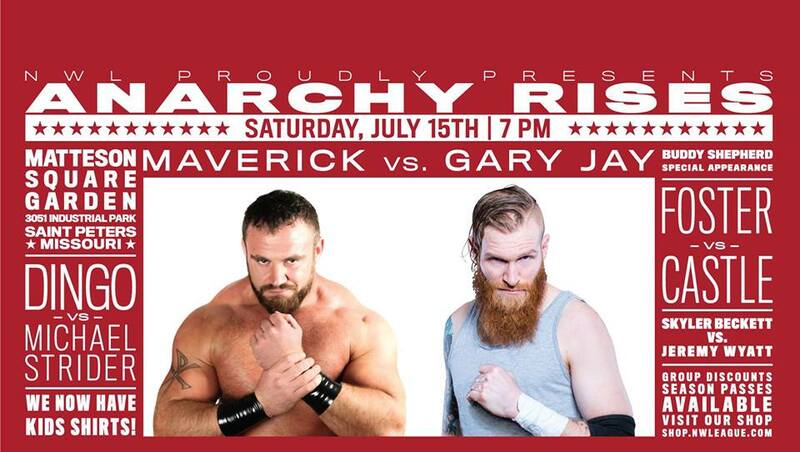 Purchase tickets now in our online store! 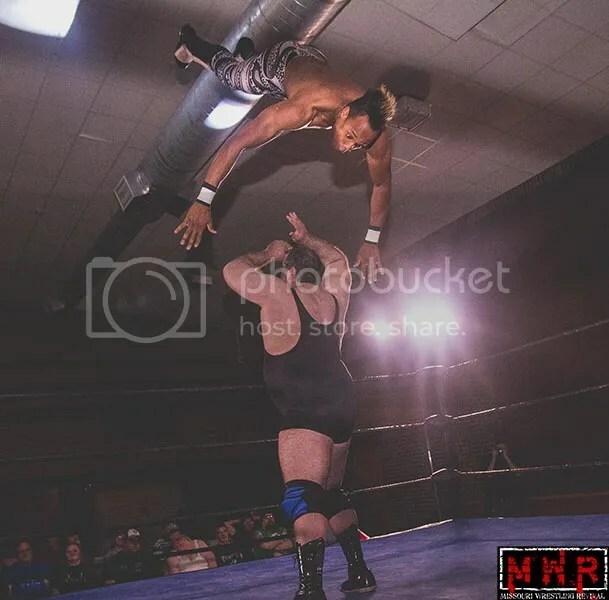 Missouri Wrestling Revival Trading Card #61 Tony Atlas! 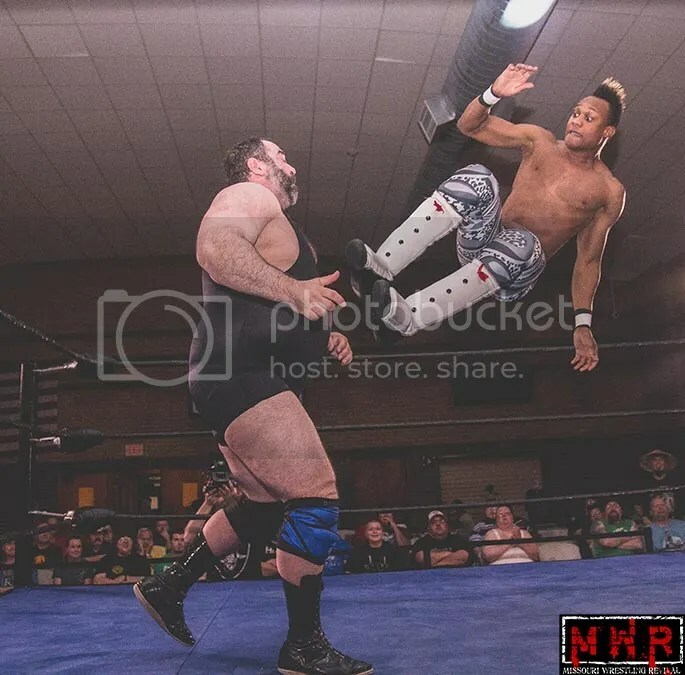 In the world of pro wrestling few men have ever had the physique like Missouri Wrestling Revival’s number sixty one in the MWR Trading Card set, MR USA Tony Atlas. 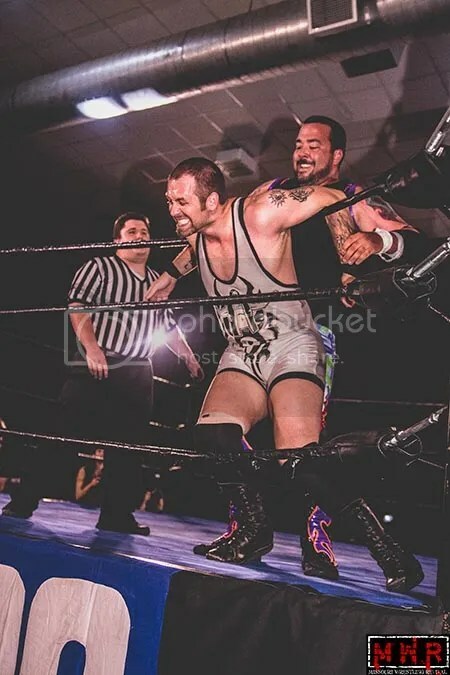 Throughout his career Atlas has enjoyed success and failures that has been documented in his great autobiography Atlas: Too Much… Too Soon released by Crowbar Press, co-authored with Scott Teal. 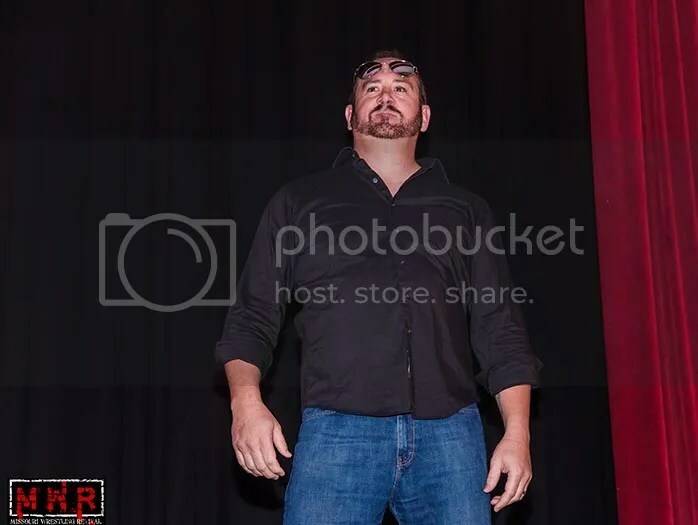 A member of both the WBBG Hall of Fame and the WWE Hall of Fame he has wrestled around the world the along with the biggest stars. 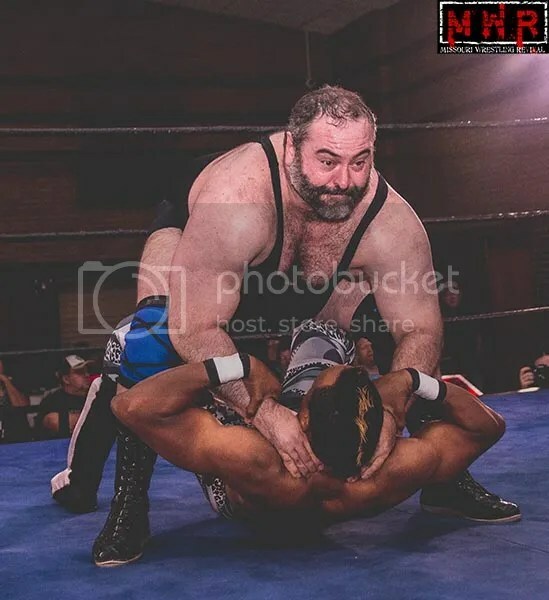 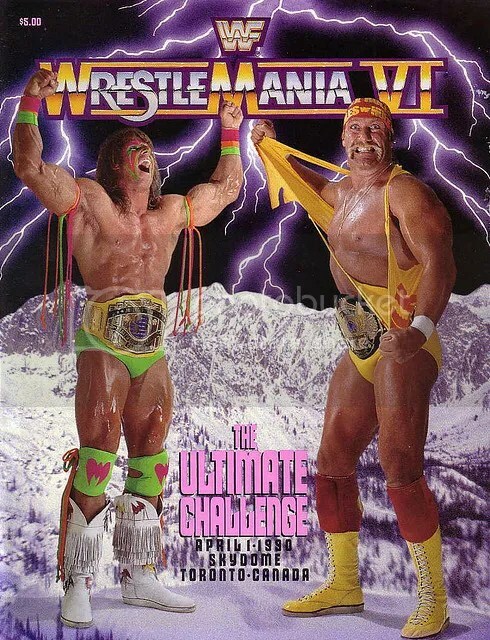 Matches with Hulk Hogan, Harley Race and King Kong Bundy thrilled fans as he tested his power that won him the title MR USA among many other bodybuilding titles. 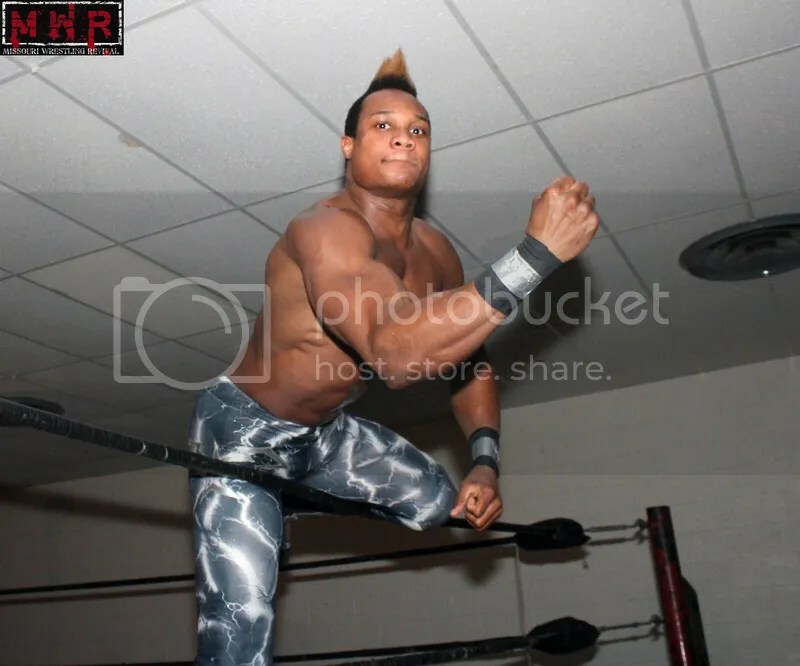 He would make history when he teamed with Rocky Johnson to defeat The Wild Samoans to win the Tag Team Title thus becoming the first ever African-American team to hold the belts. 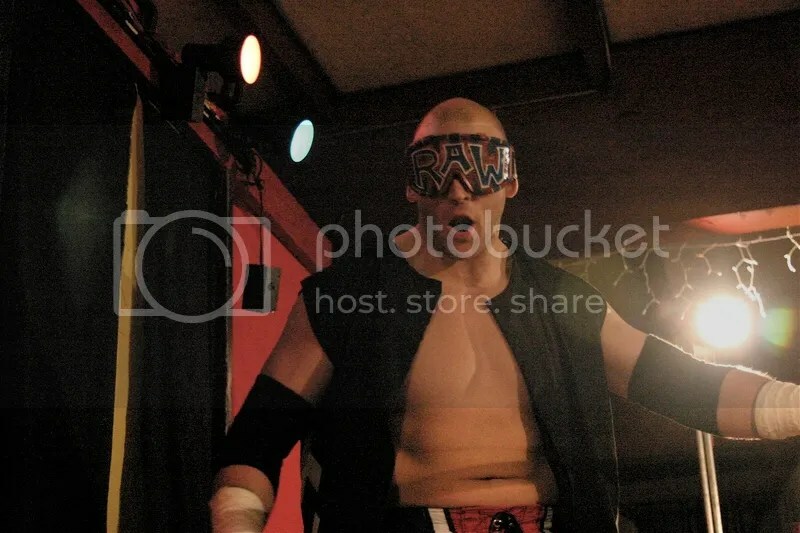 During his time in the sport he would hold also hold titles in the NWA and AWA. 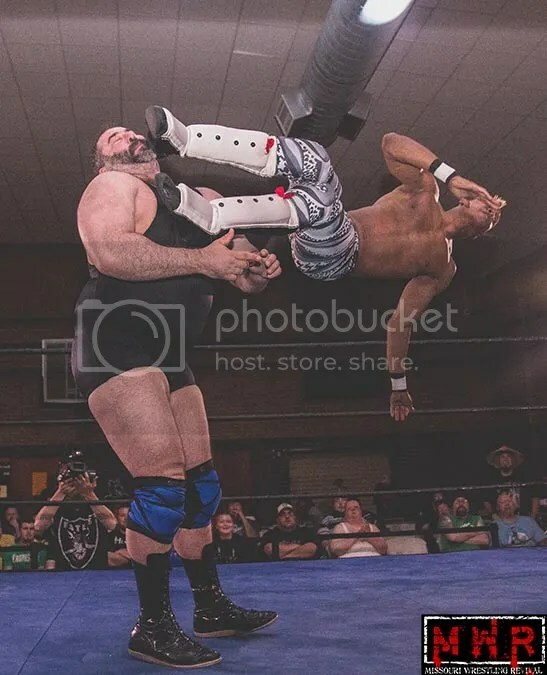 Fans recently will remember Tony Atlas as he worked with “ The World’s Strongest Man” Mark Henry as he held the ECW Title. 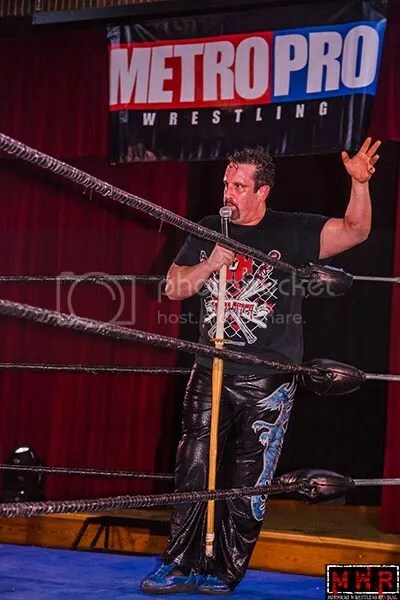 Later on ECW he was featured as the announcer for “The Abraham Washington Show” segment each week. 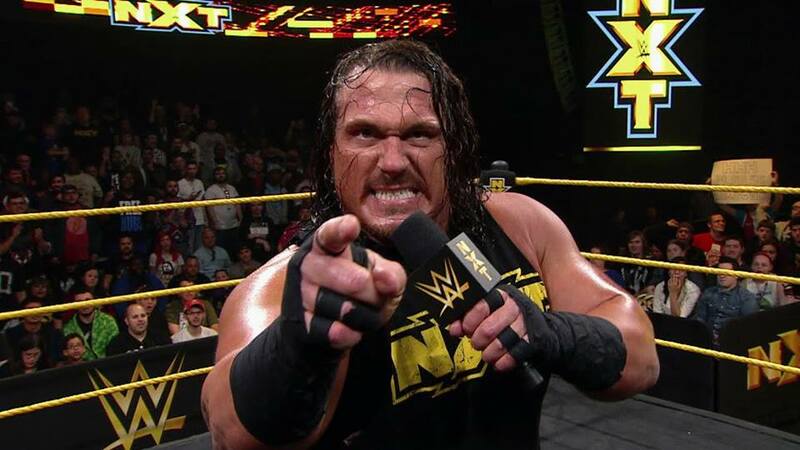 On December 12, 2011, he made a brief appearance to co-present the Slammy Award for “Trending Superstar of the Year” with David Otunga. 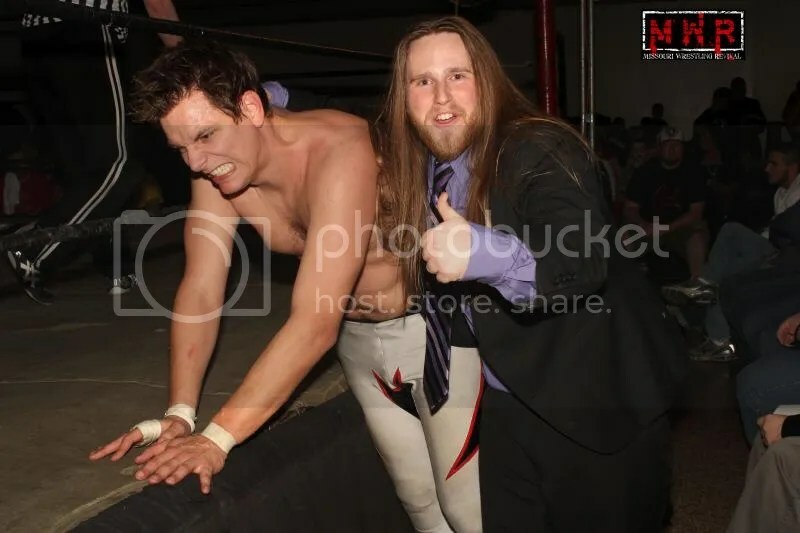 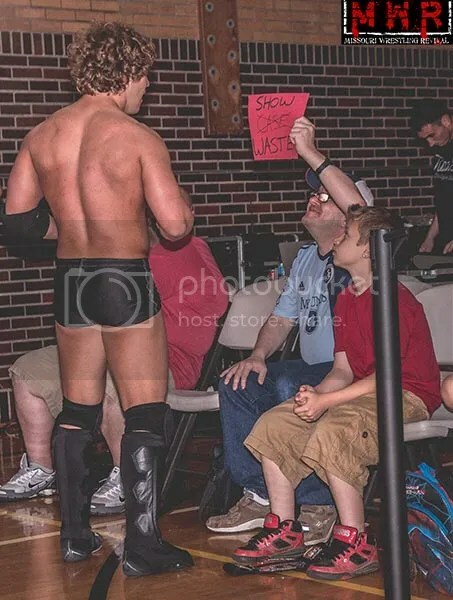 In 2011, he would make his way to Midwest meeting fans with Dinner with the Legends and wrestling two matches at Harley Race’s World League Wrestling against Farmer Billy Hills and WLW Champion “The Prince” Jason Jones. 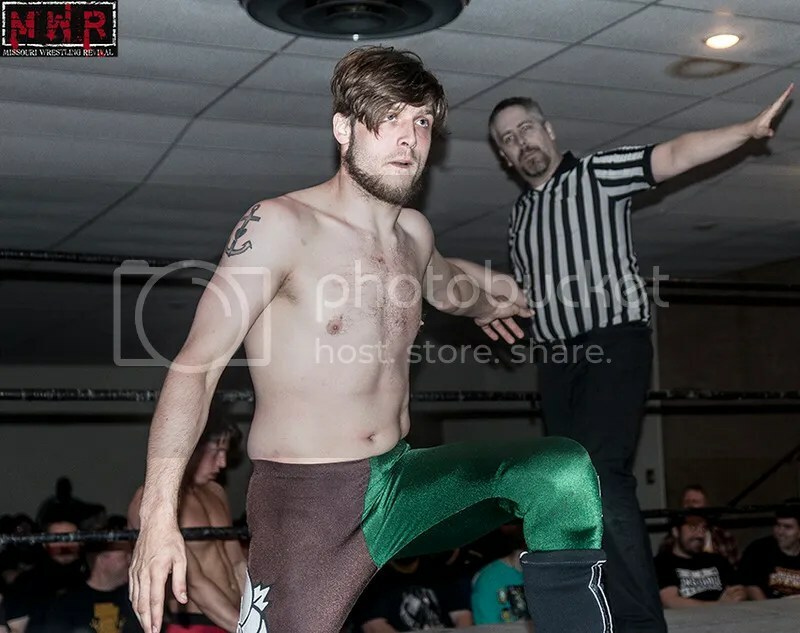 During the first night I had a chance to interview Atlas to discuss his match with Hills, his autobiography and the upcoming MWR Trading Card. 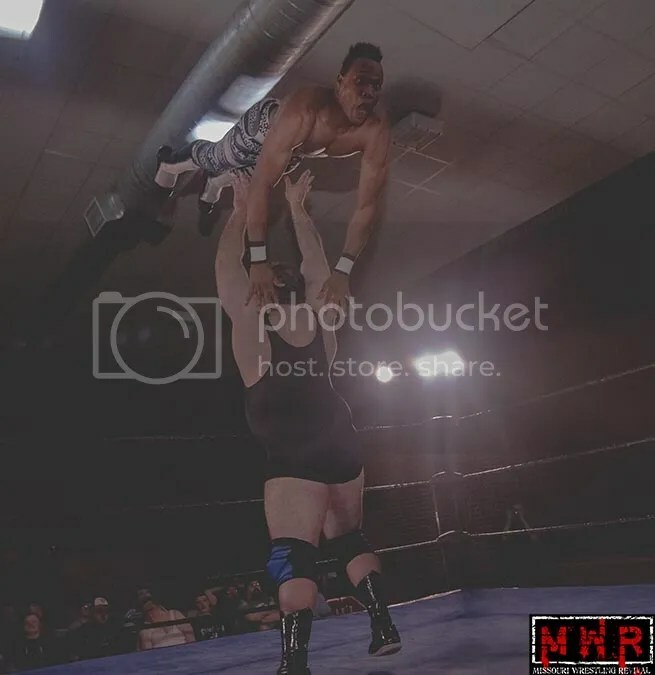 We are proud to announce the Tony Atlas as part of the MWR Trading card set. 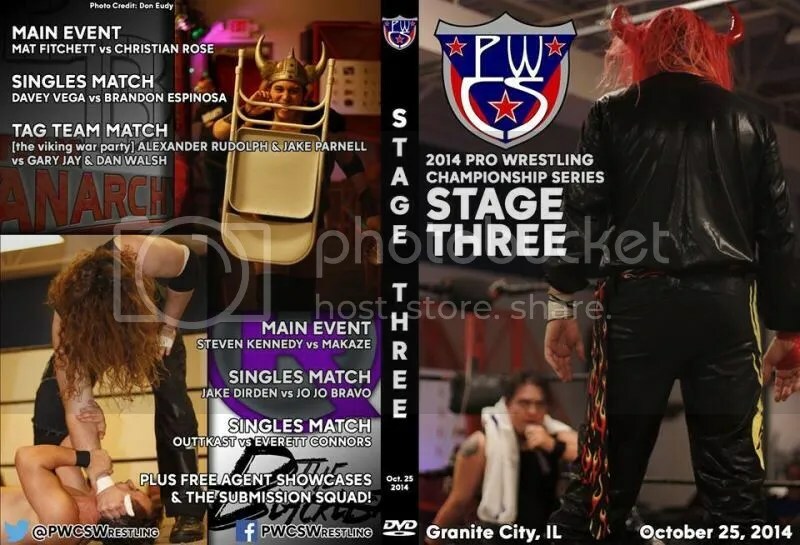 Missouri Wrestling Revival presents the card of one of the most underrated wrestlers in the Midwest, The Kingpin” Angel. 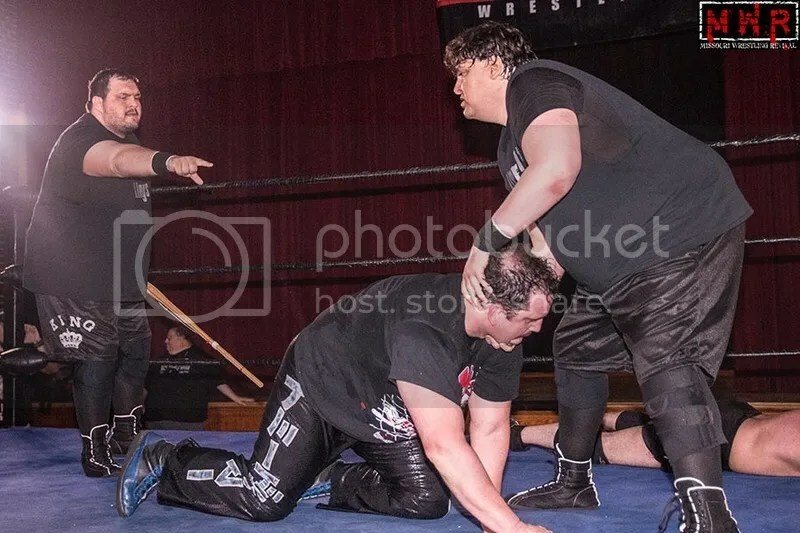 Angel went to a bloody war at the original ECW against the one and only New Jack over who was the King of the Streets. 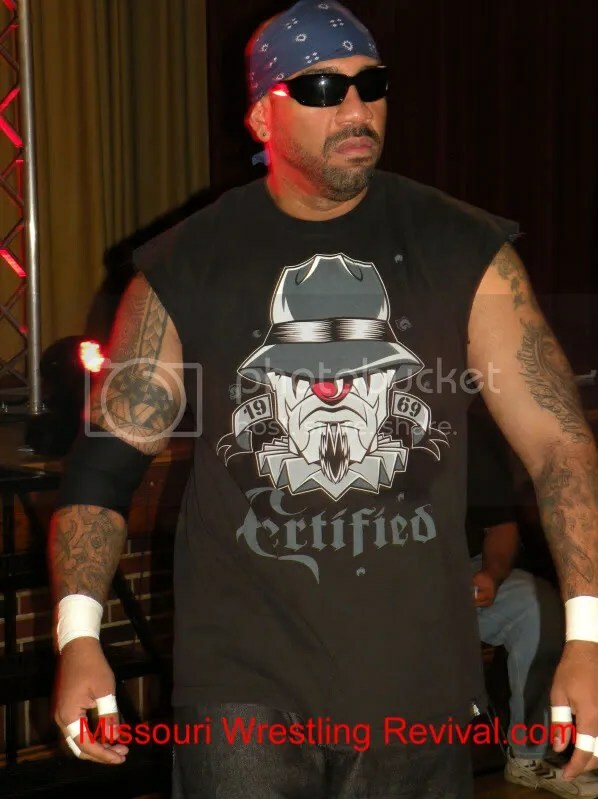 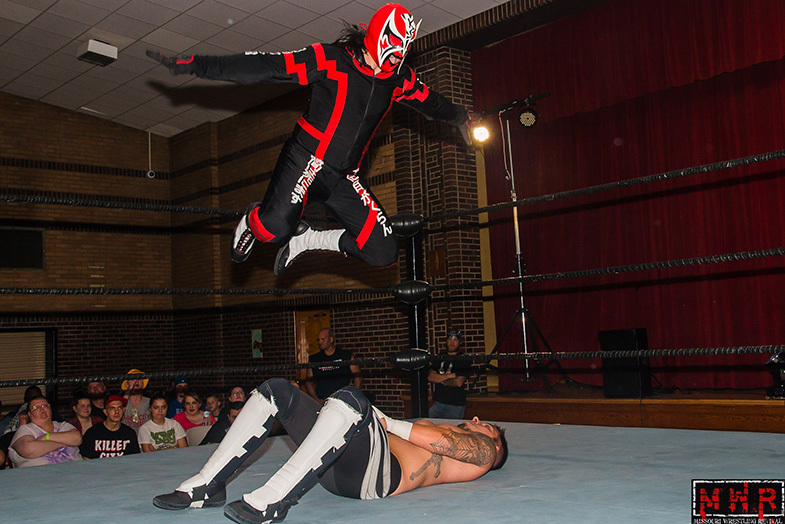 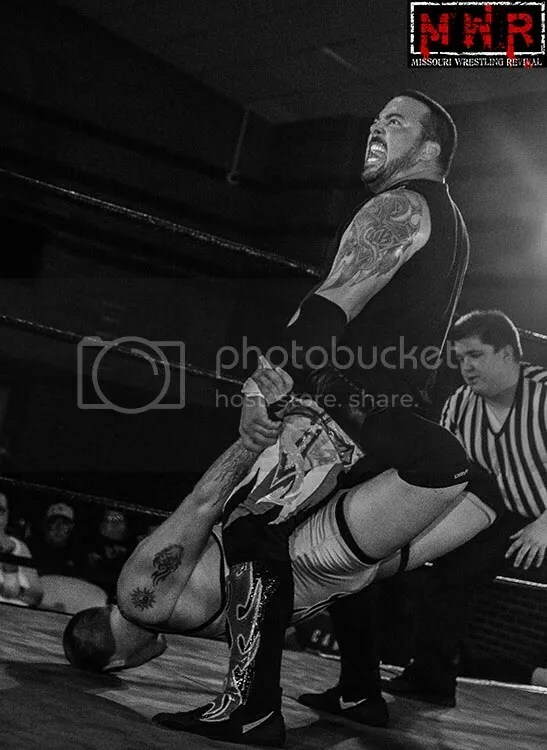 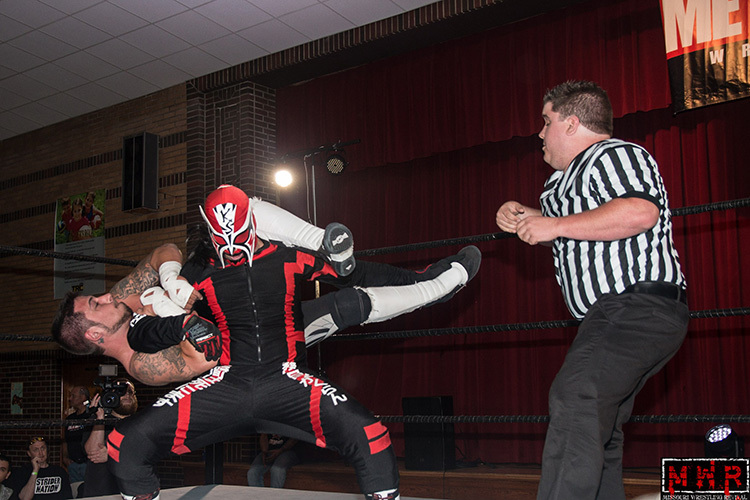 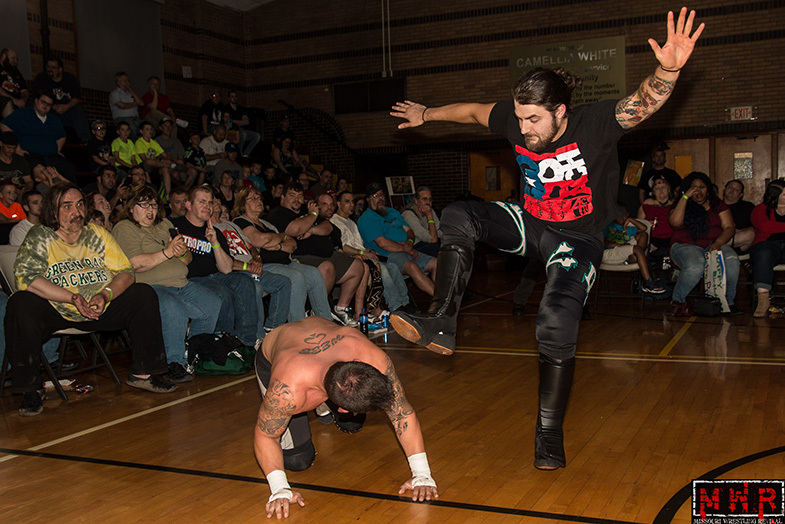 He has since made his home in the Midwest tagging with partner Domino Rivera as they are known as the Barrio Boyz. 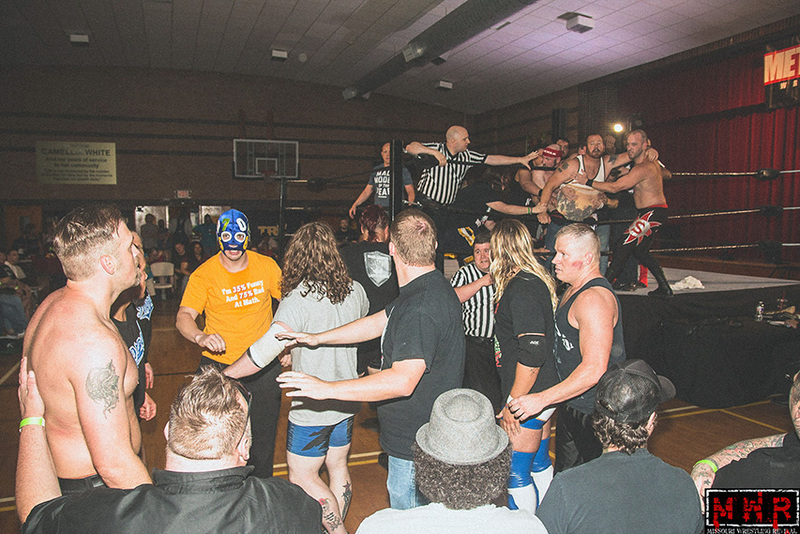 The team puts the scare in so many teams that most promotions are too scared to bring them in to take on their very best. 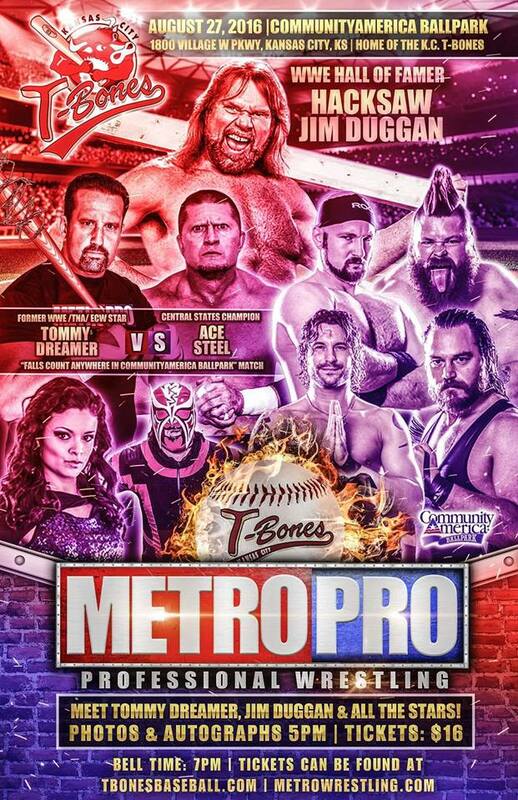 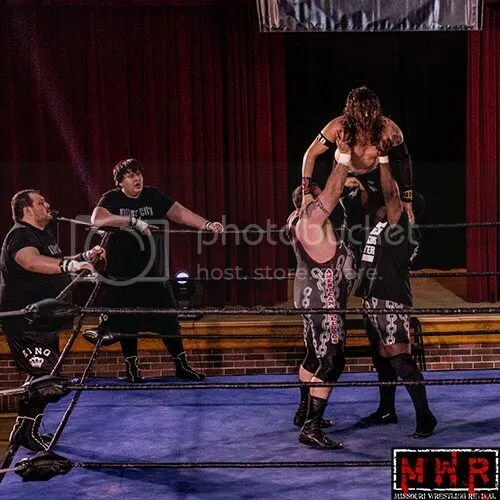 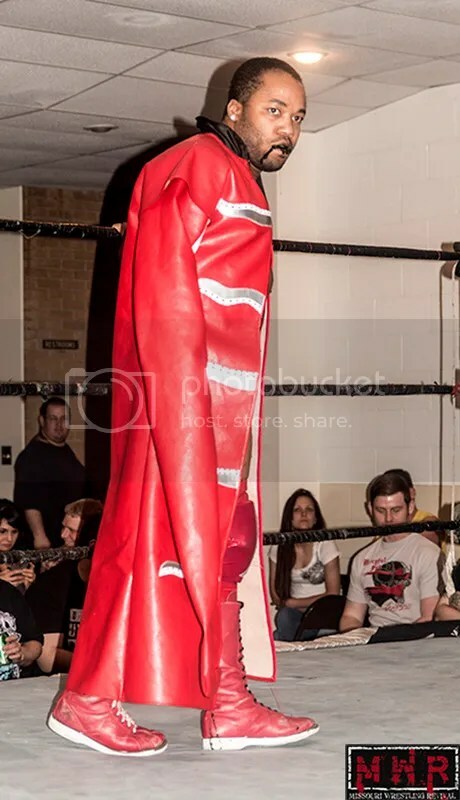 MWR fans have seen Angel at Metro Pro Wrestling along with Latino beauty Lucy Mendez terozing fan favorites and former ECW alumni Tommy Dreamer.